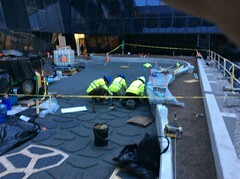 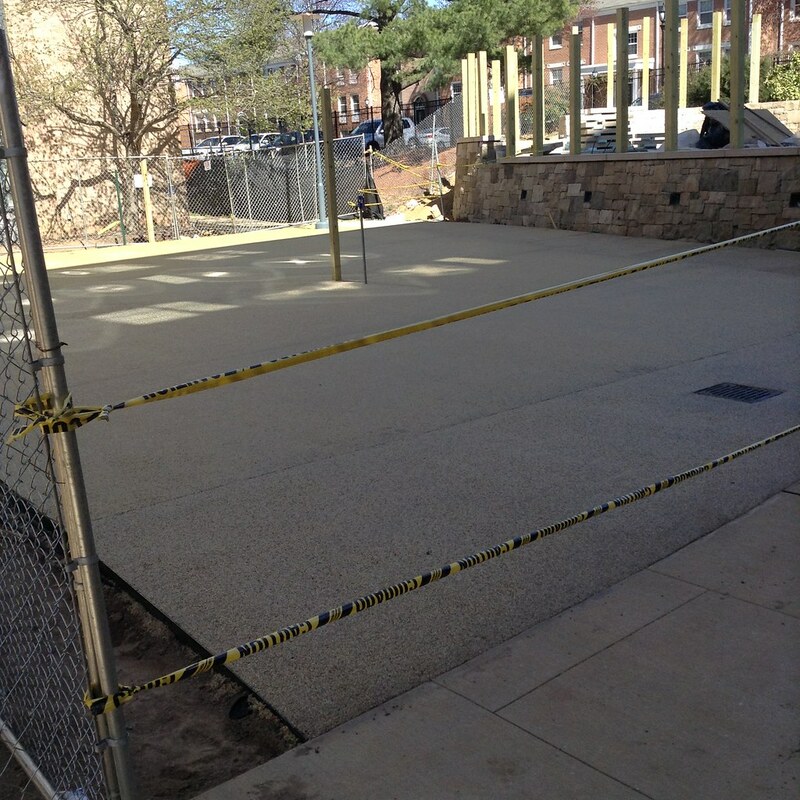 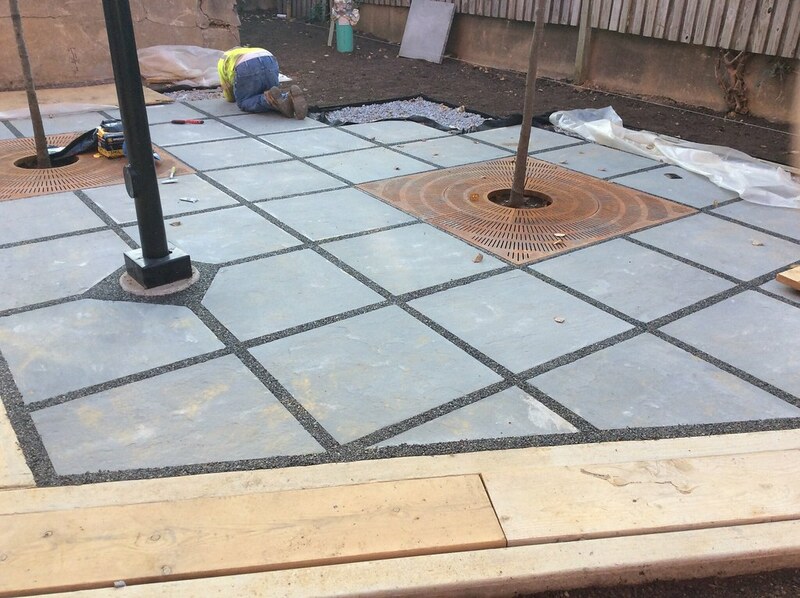 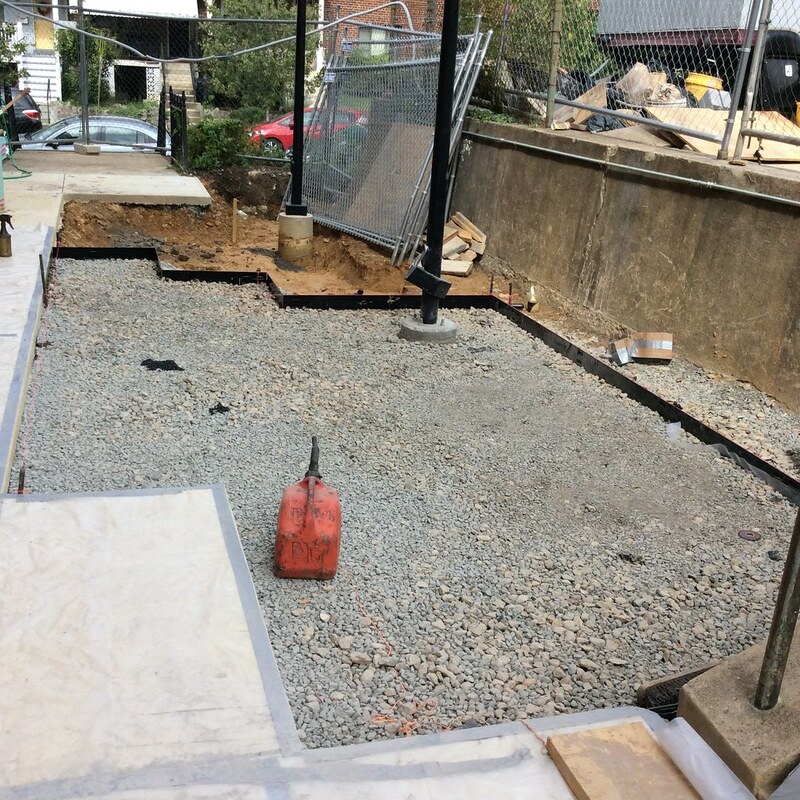 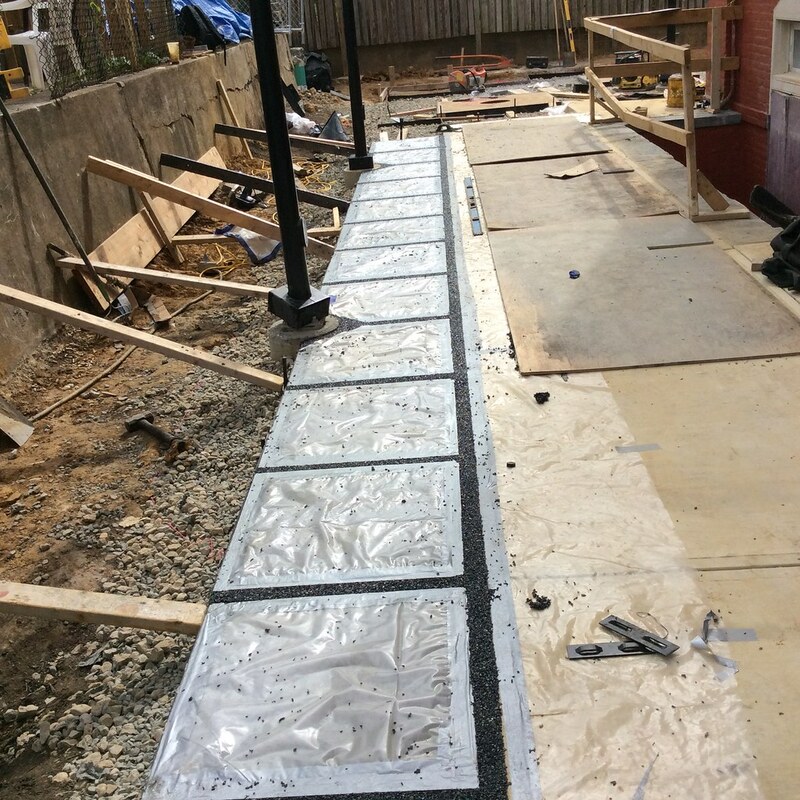 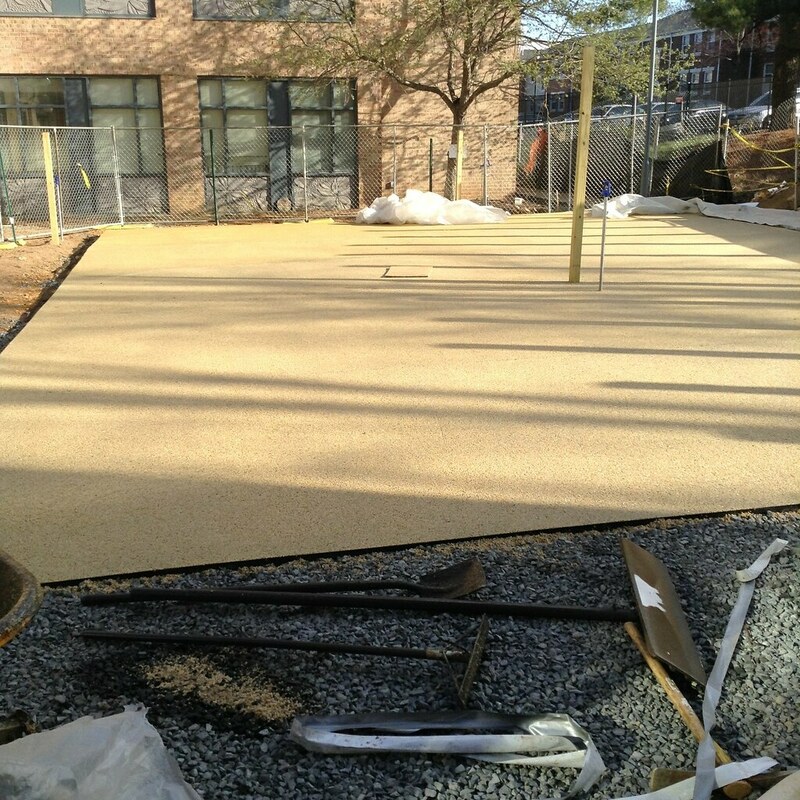 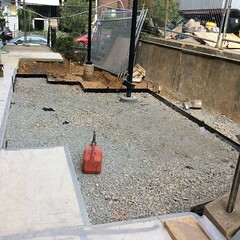 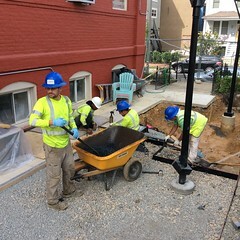 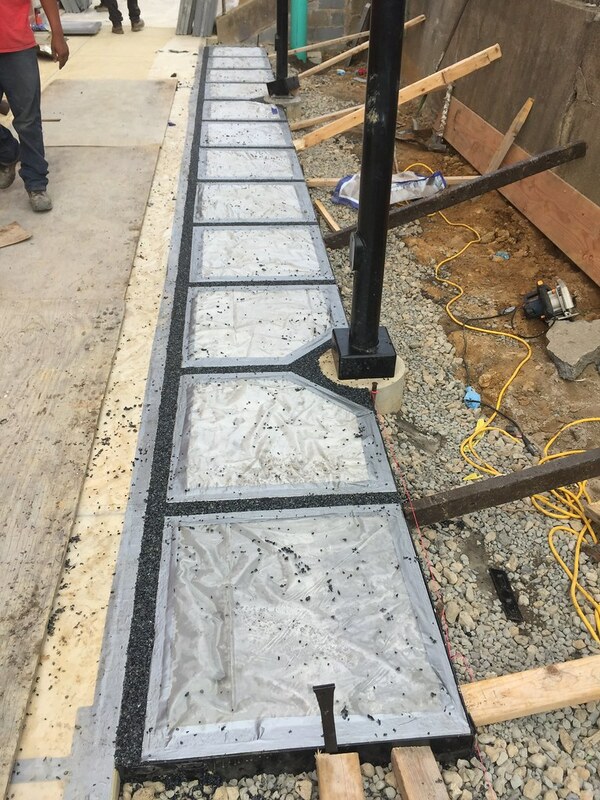 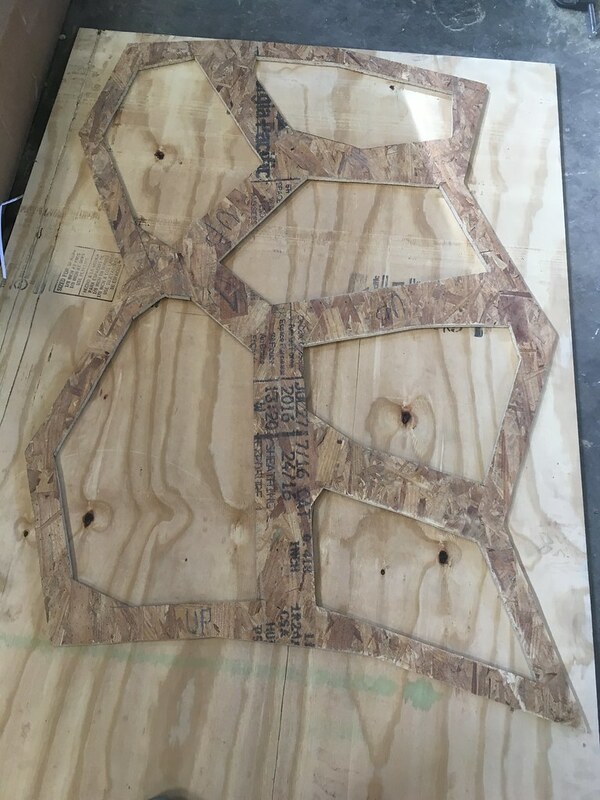 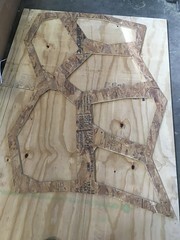 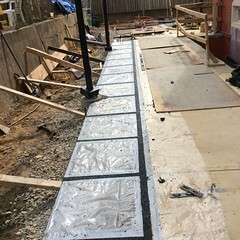 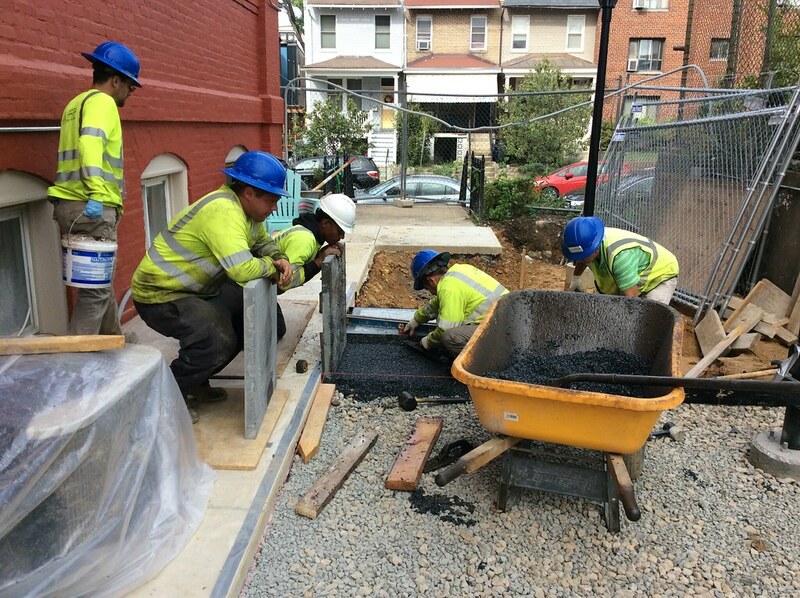 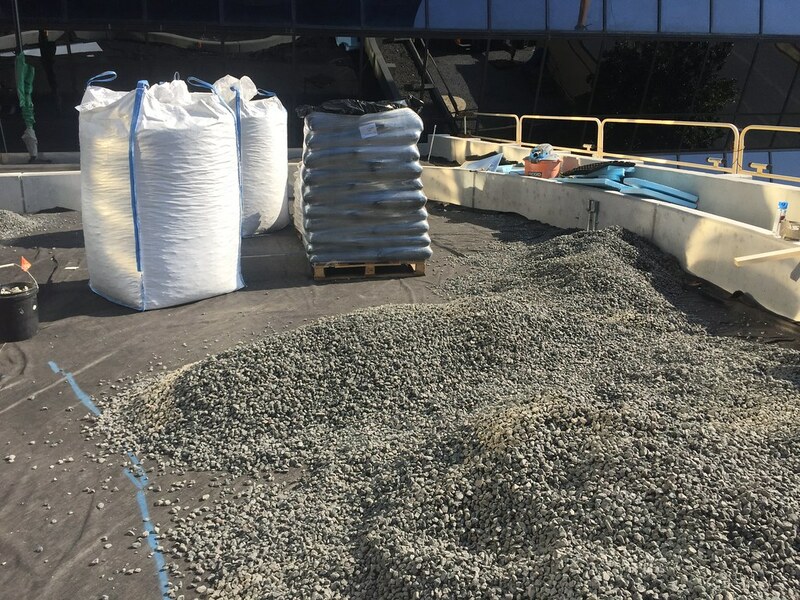 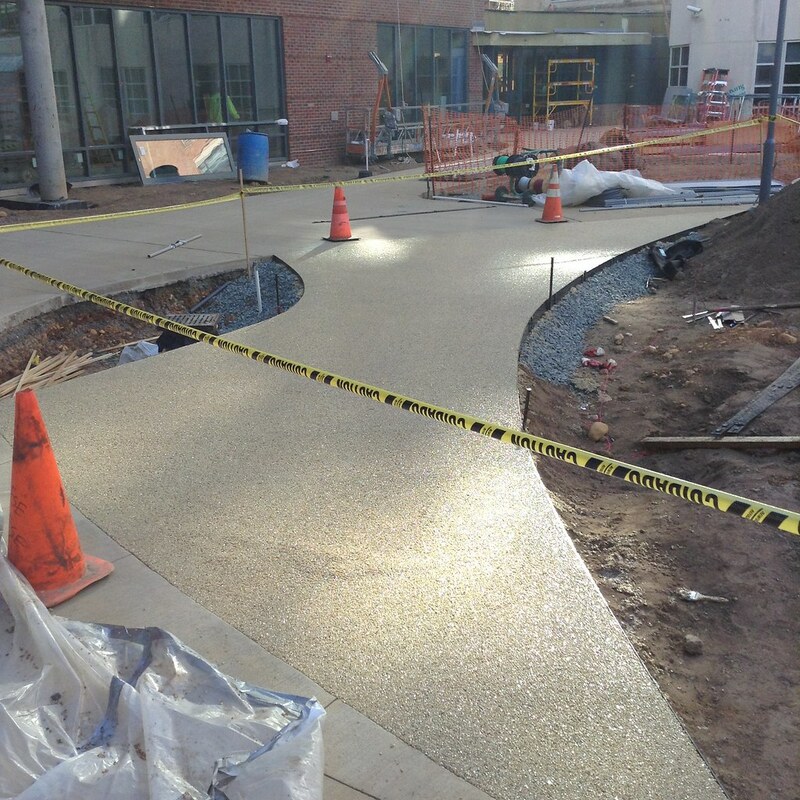 This Flexi-Pave courtyard, 2,297 SF total, was completed in early April 2017. 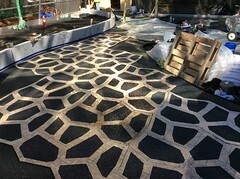 Flexi-Pave color chosen is Peppermill. 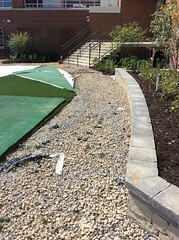 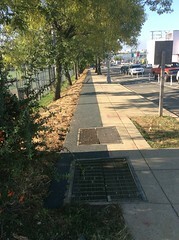 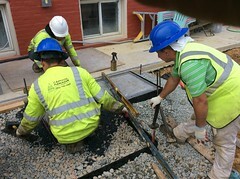 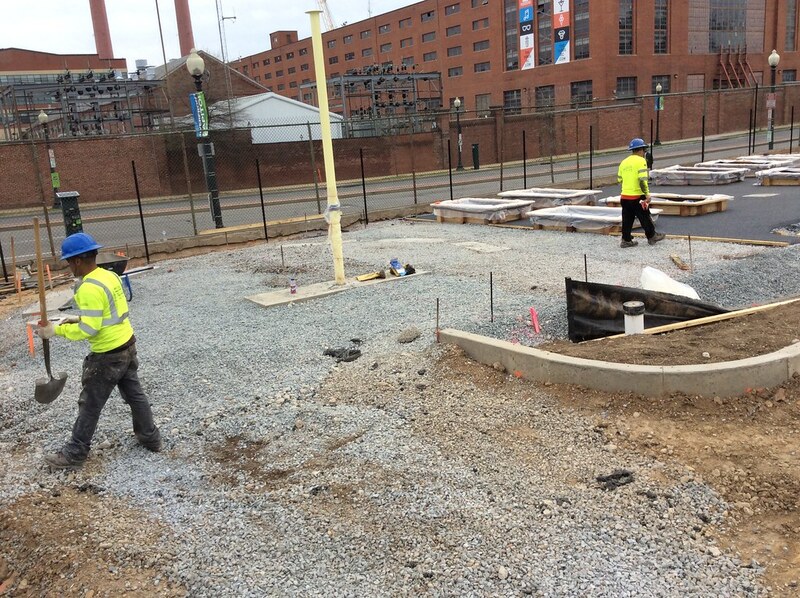 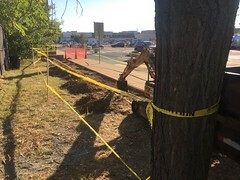 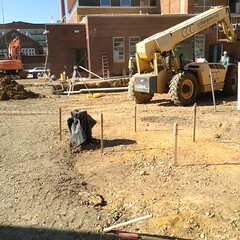 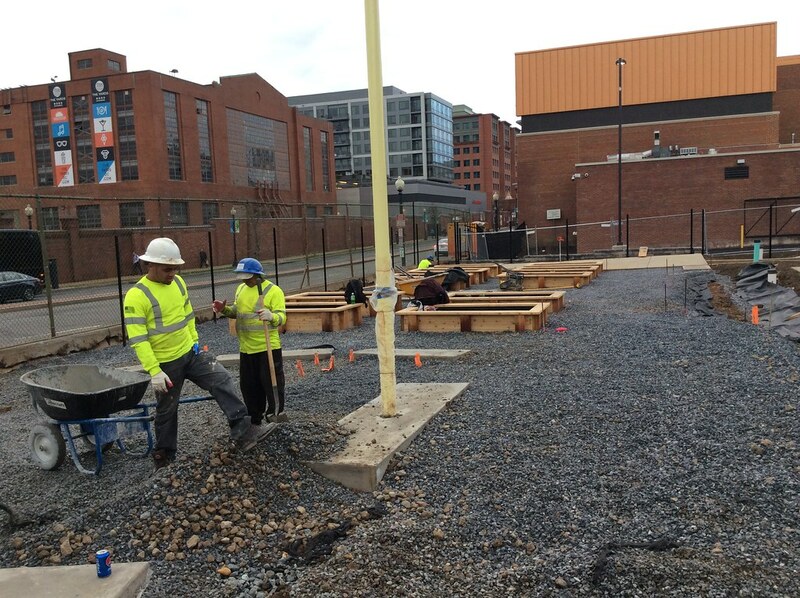 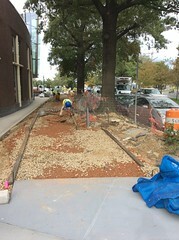 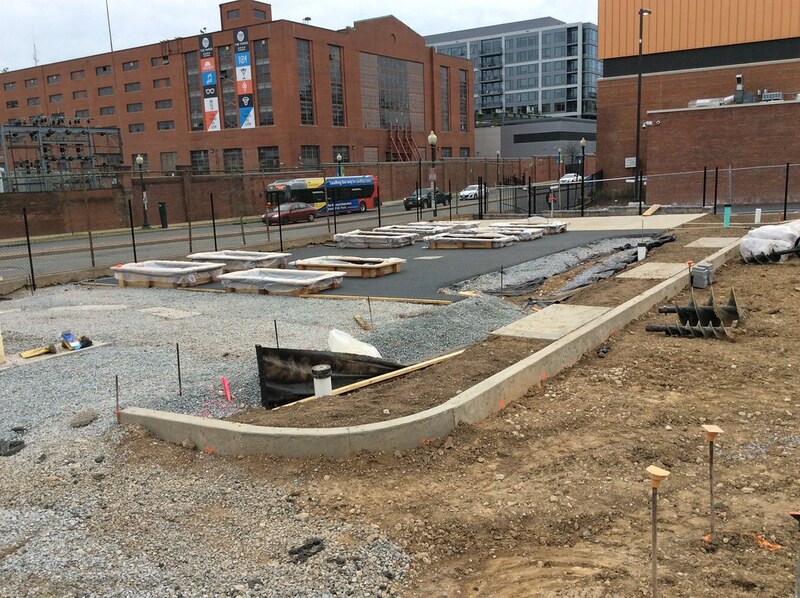 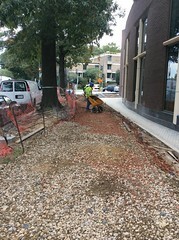 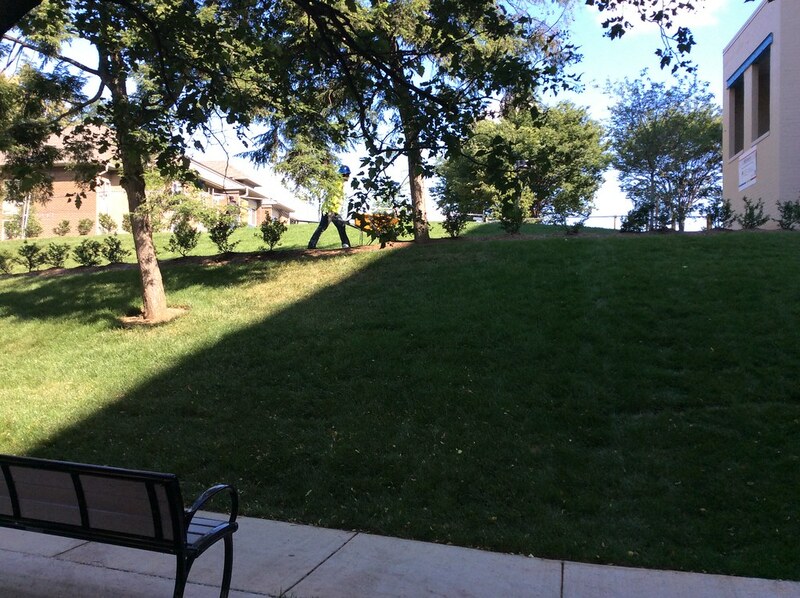 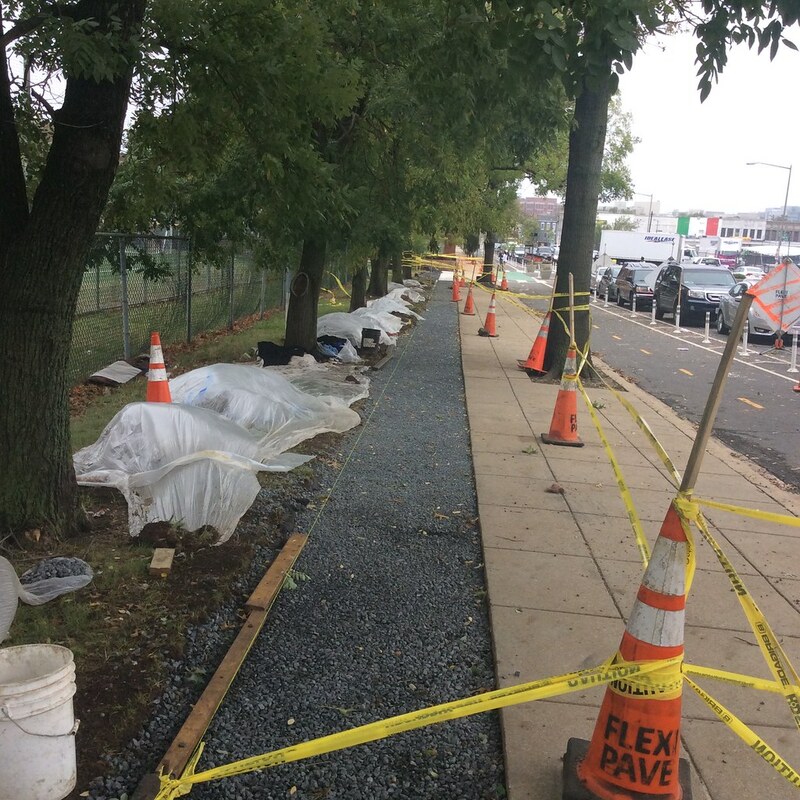 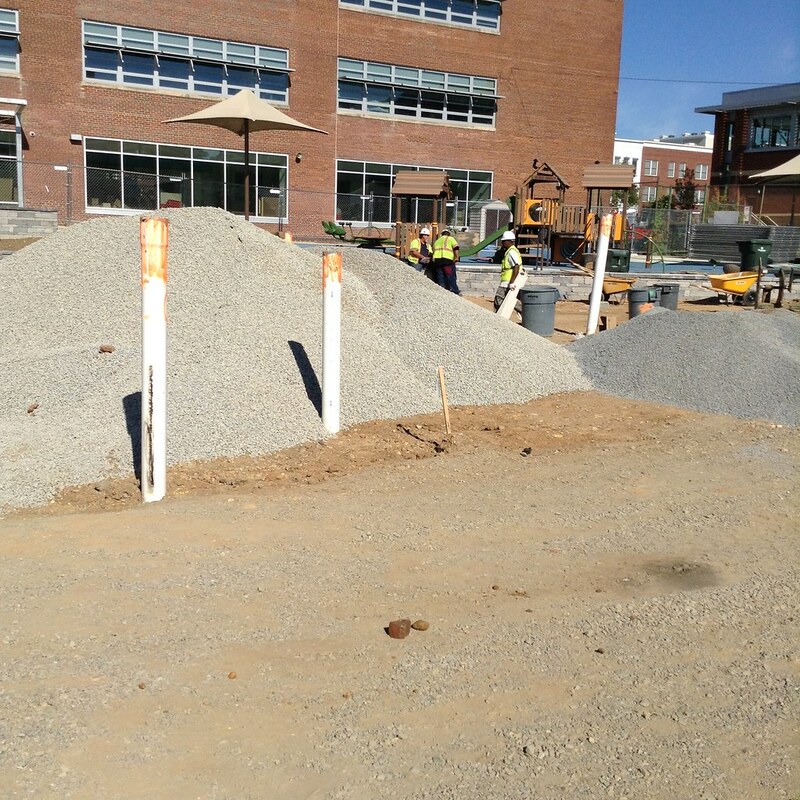 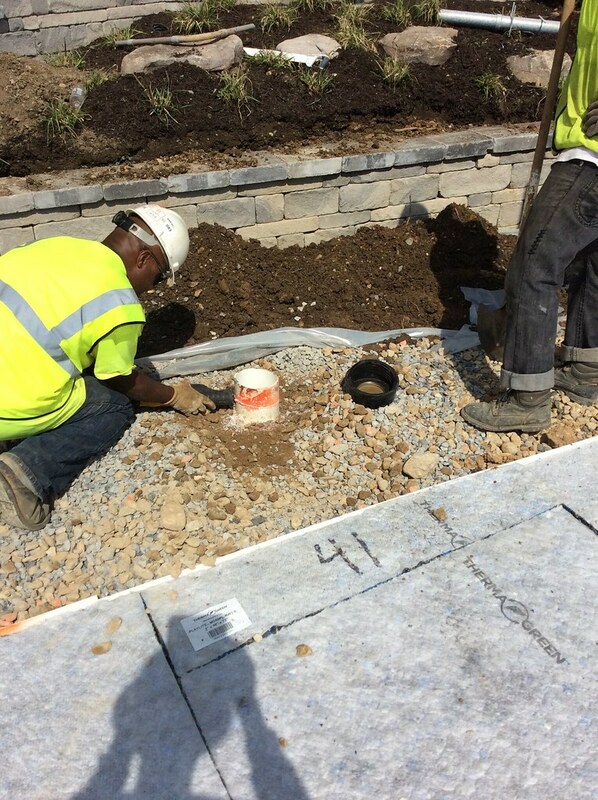 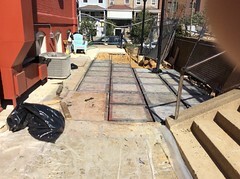 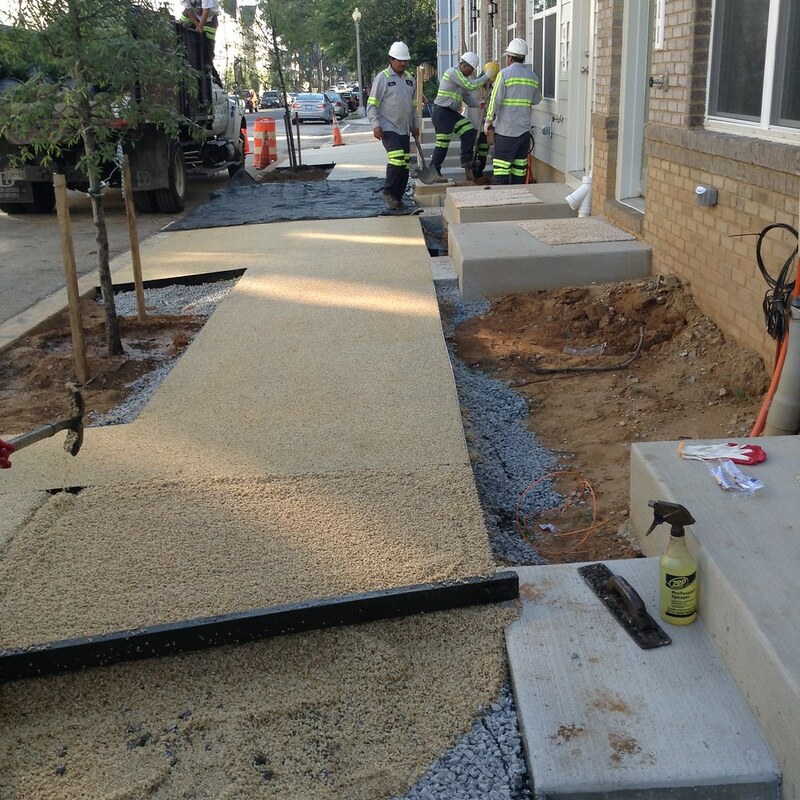 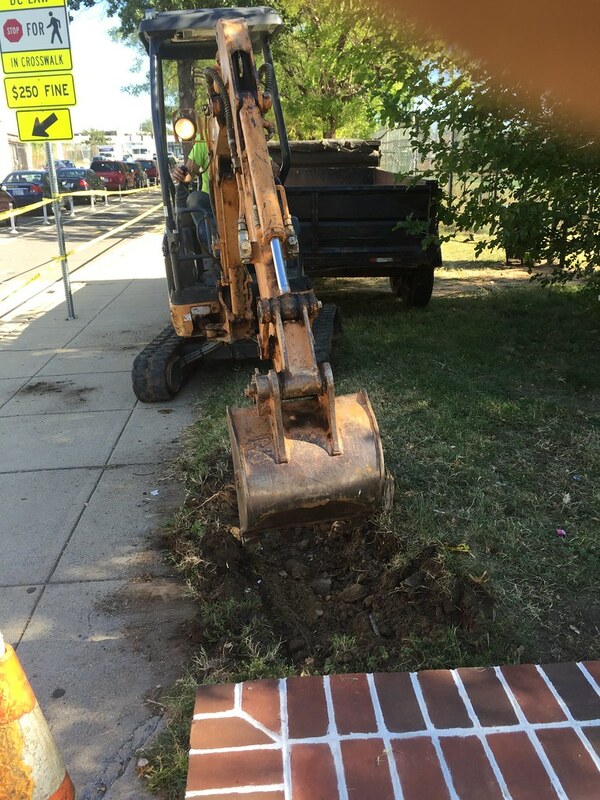 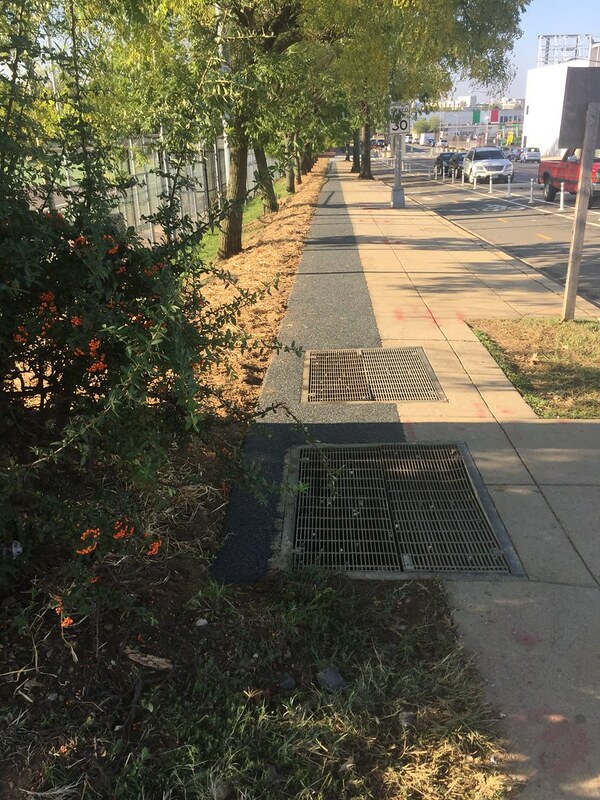 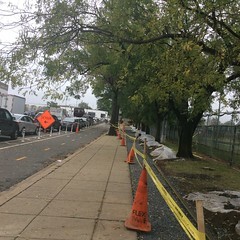 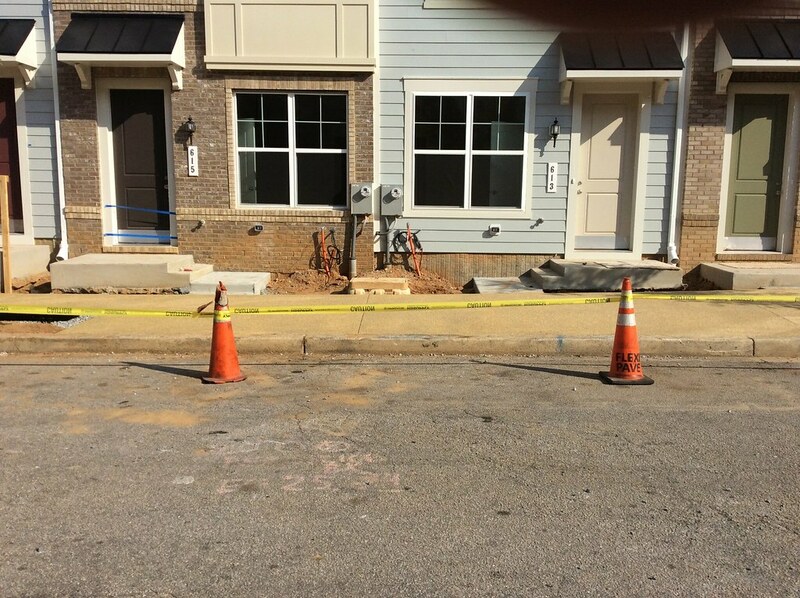 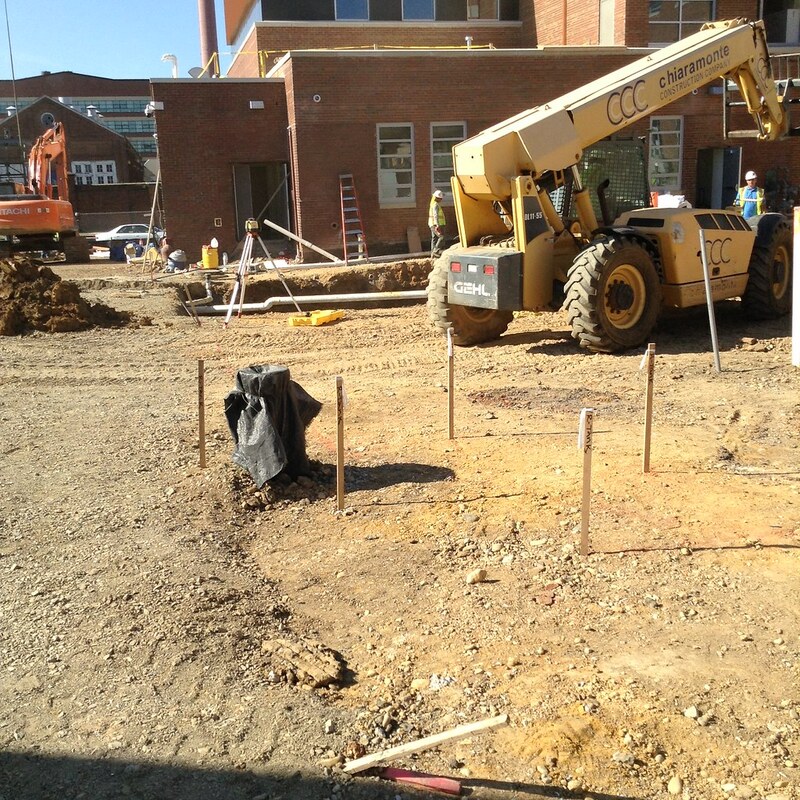 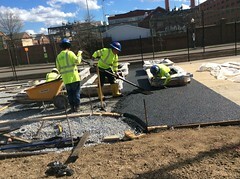 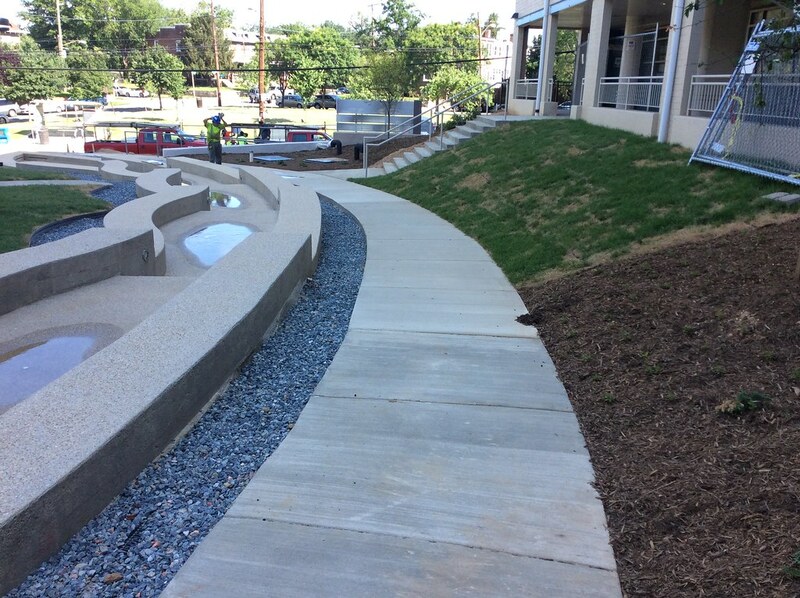 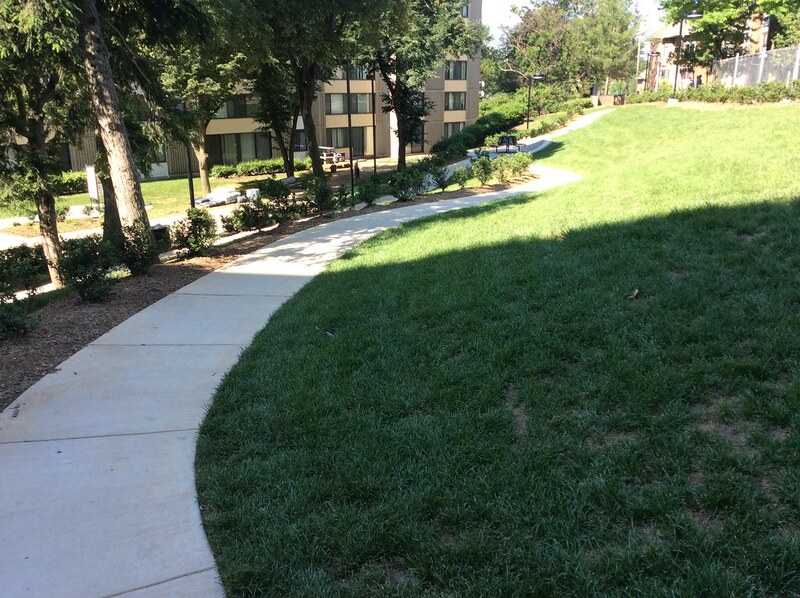 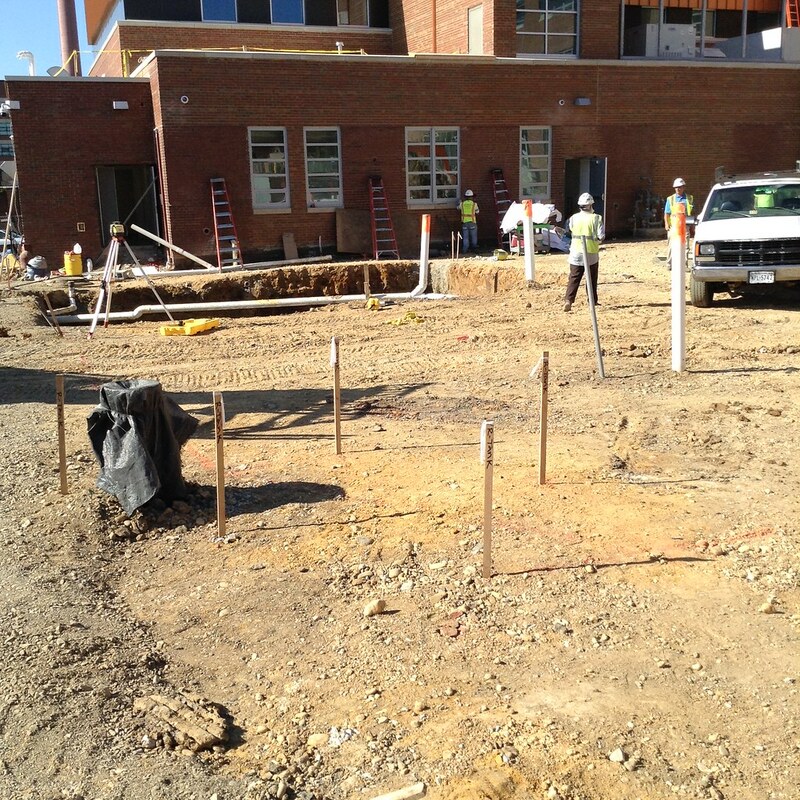 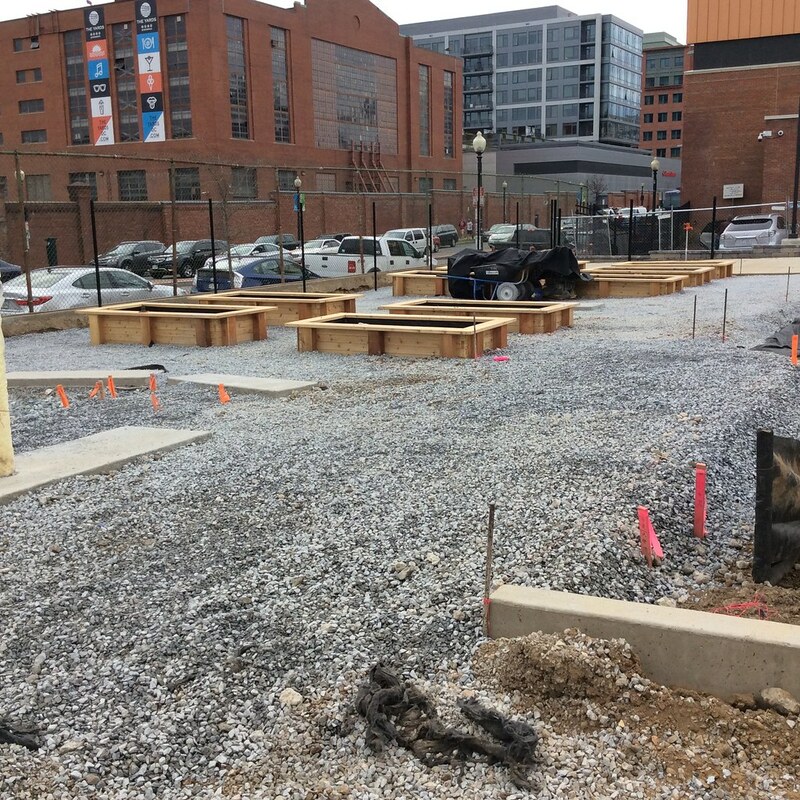 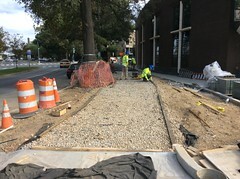 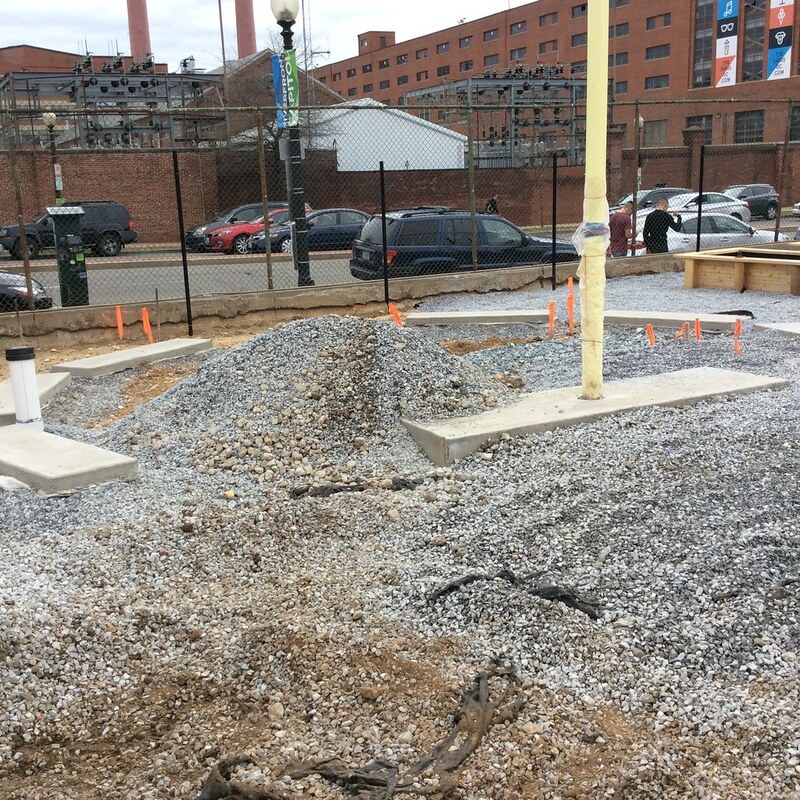 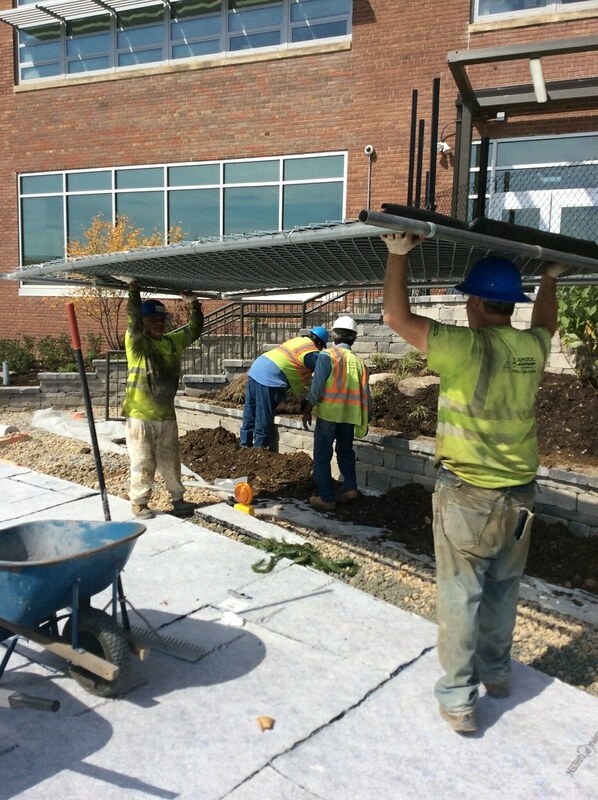 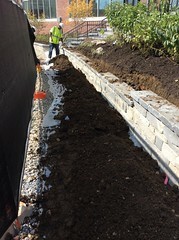 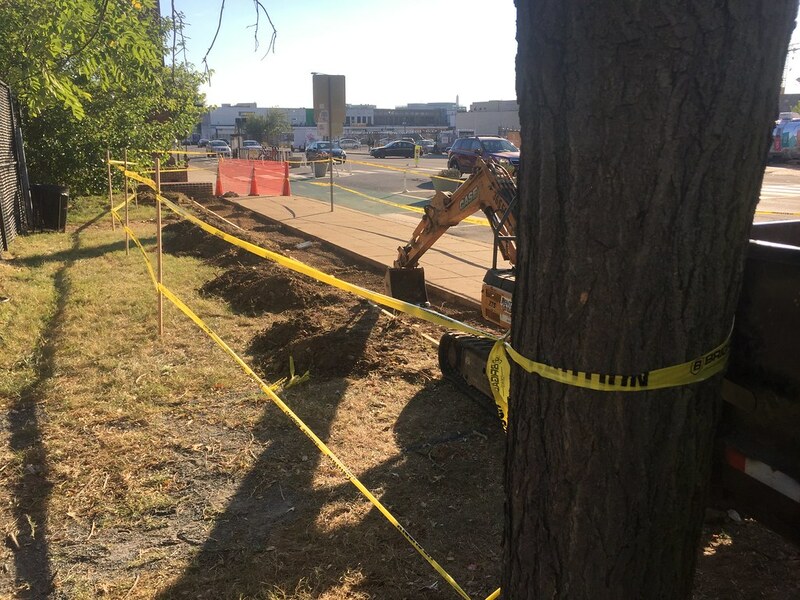 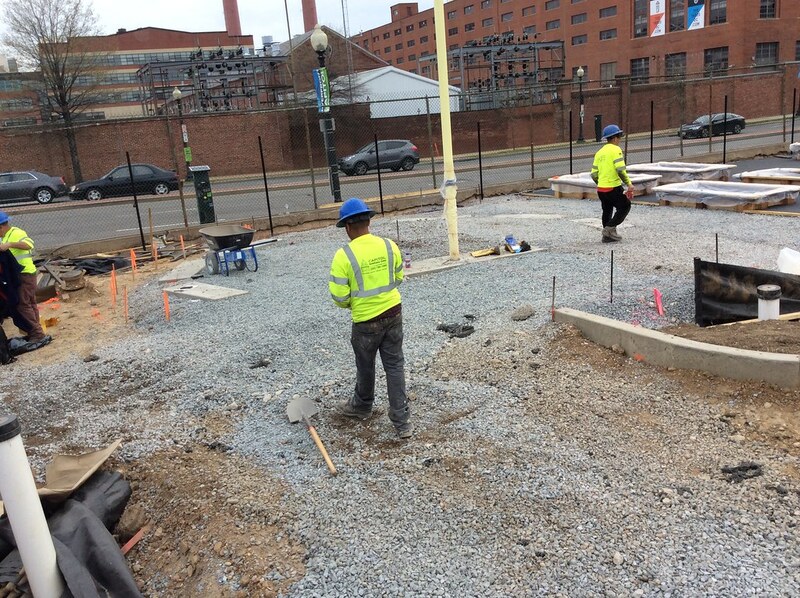 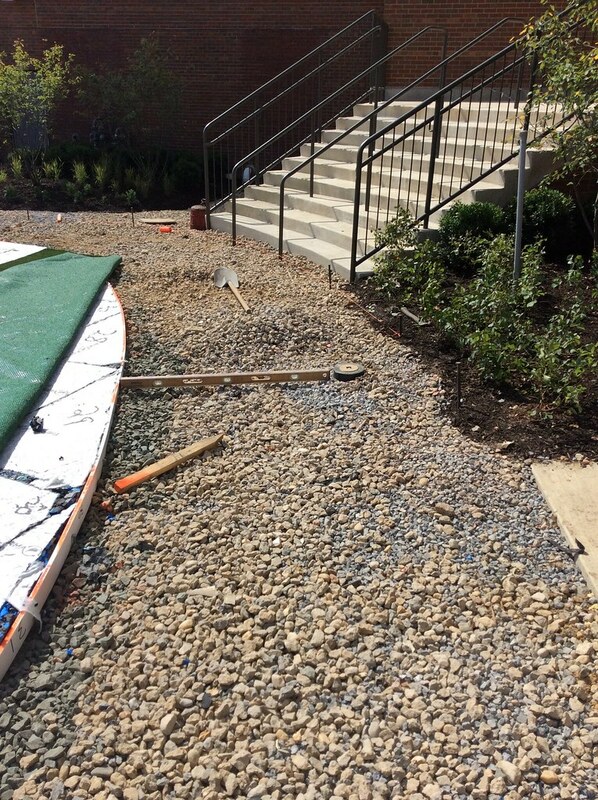 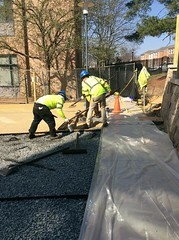 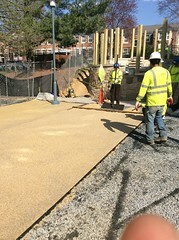 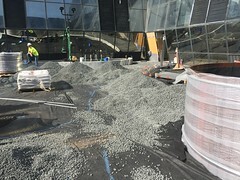 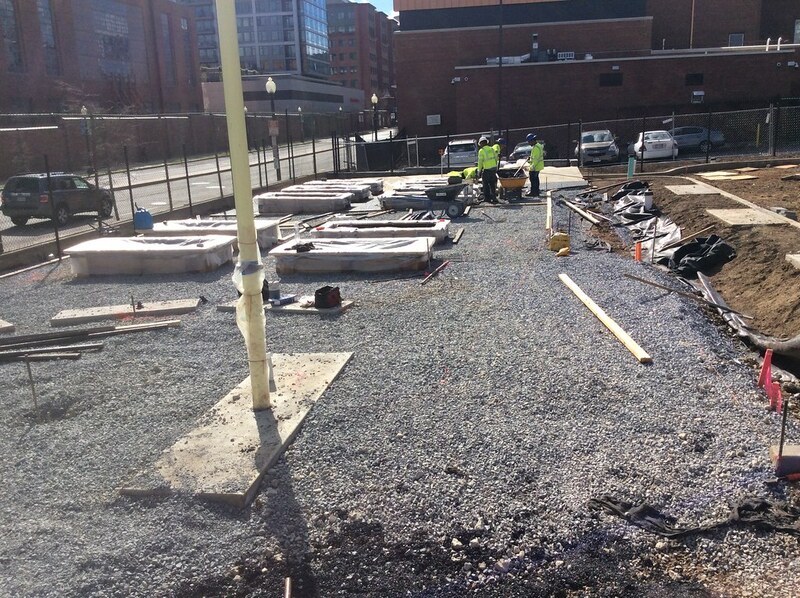 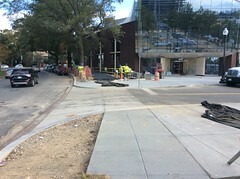 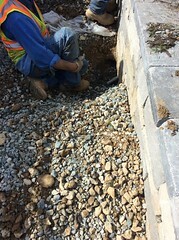 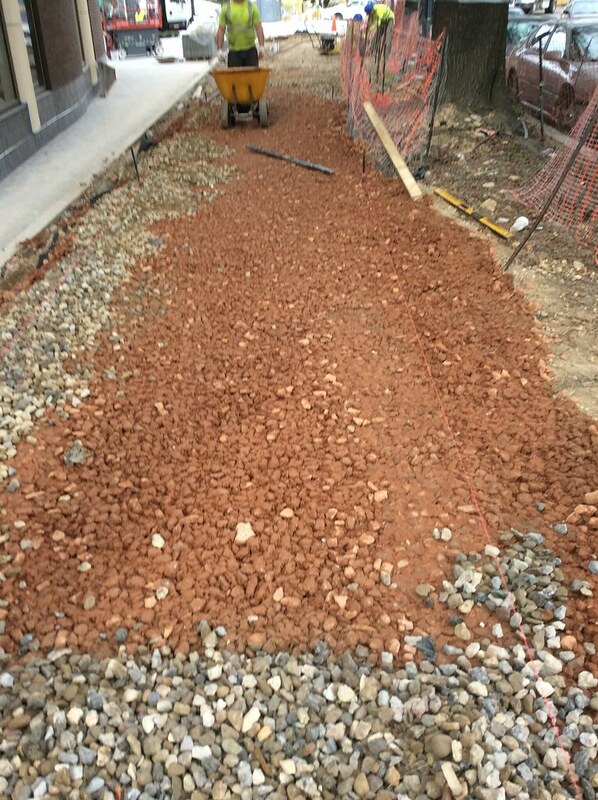 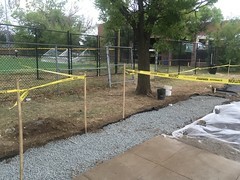 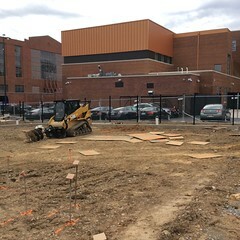 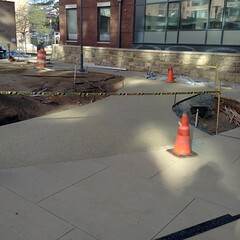 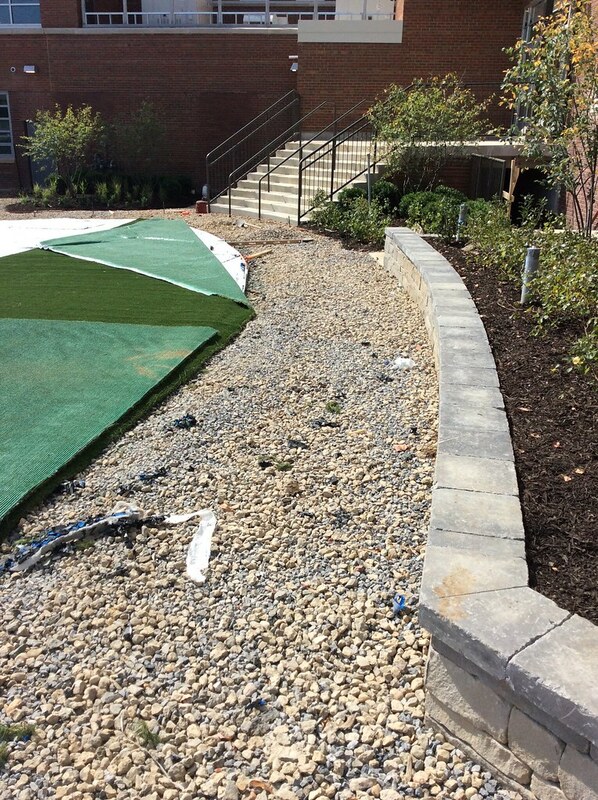 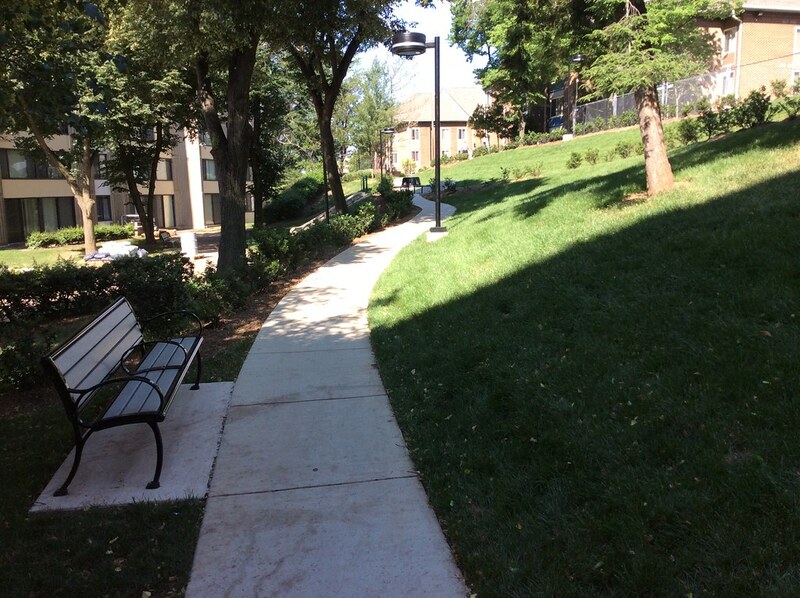 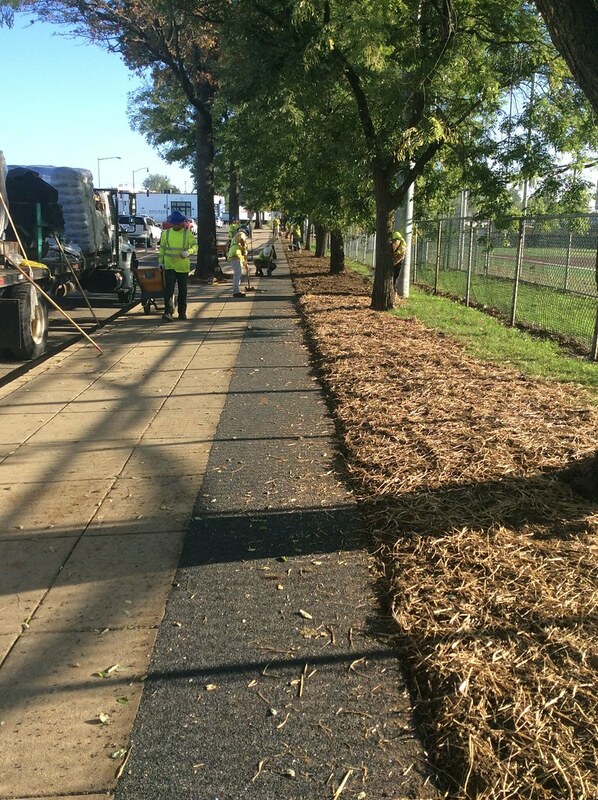 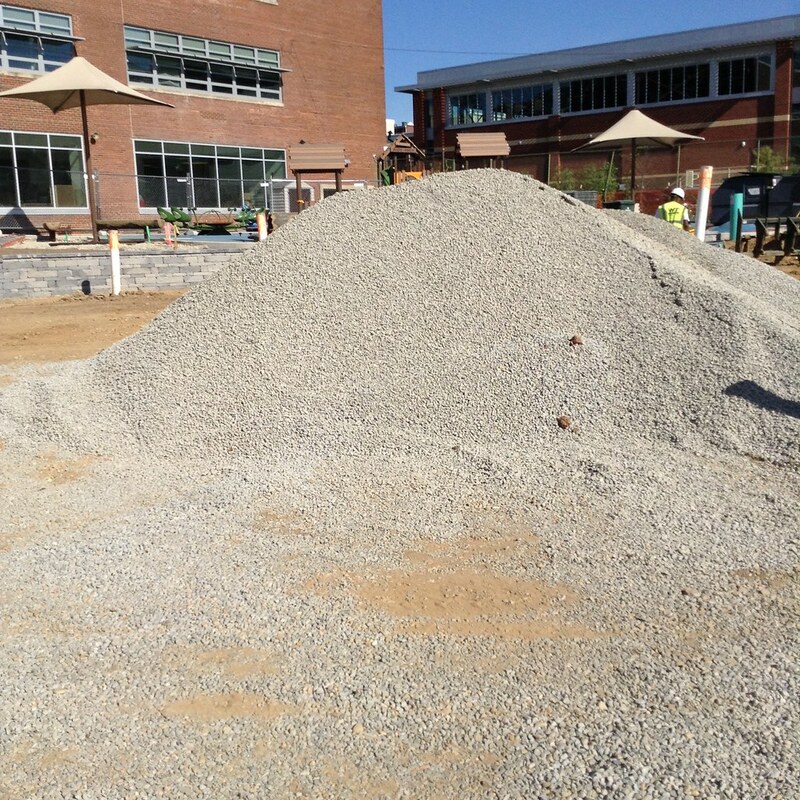 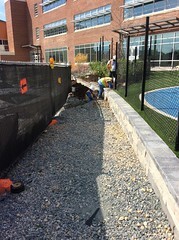 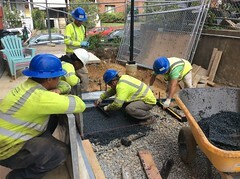 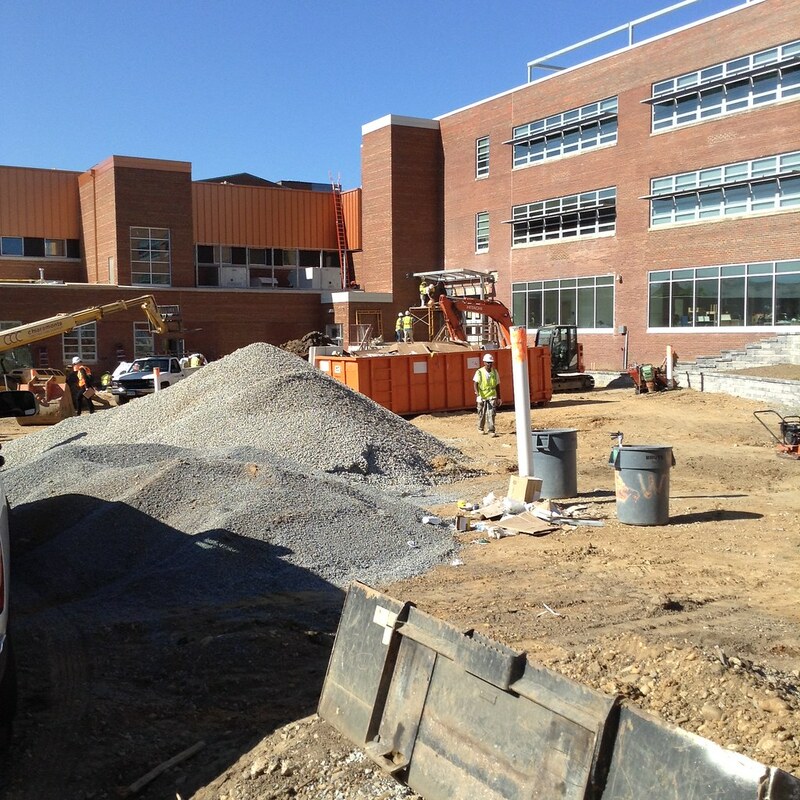 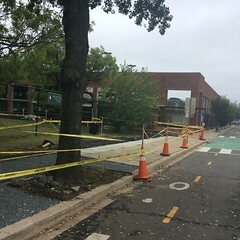 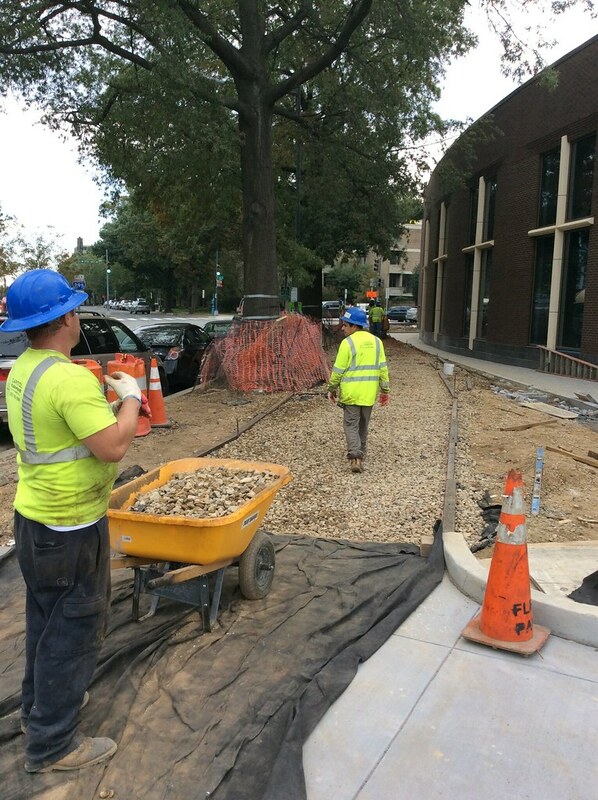 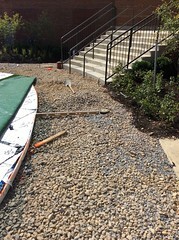 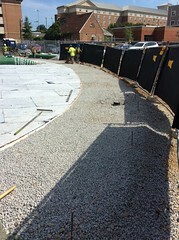 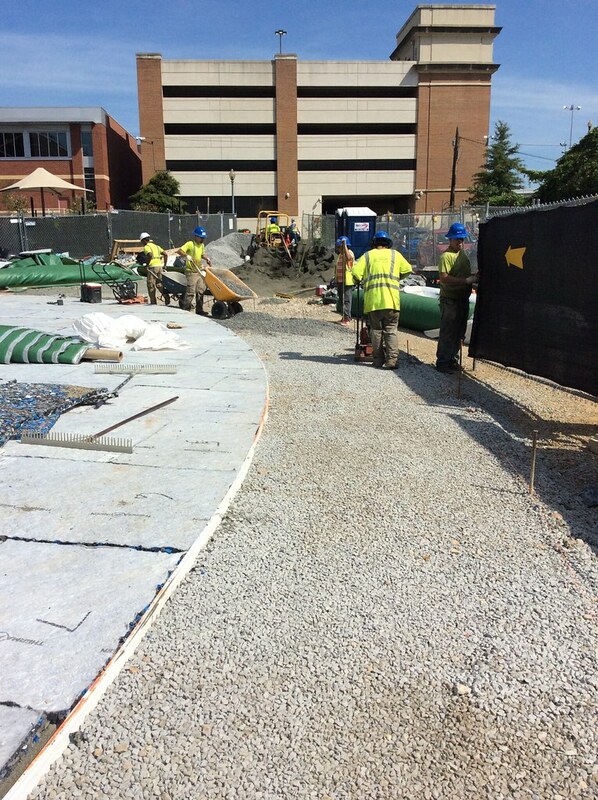 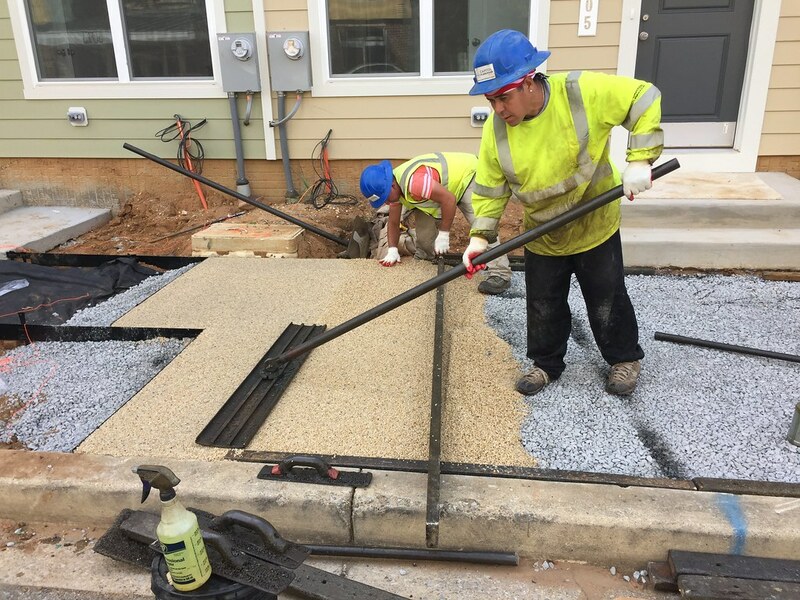 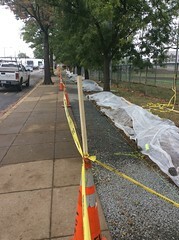 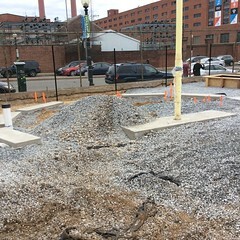 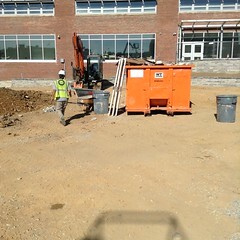 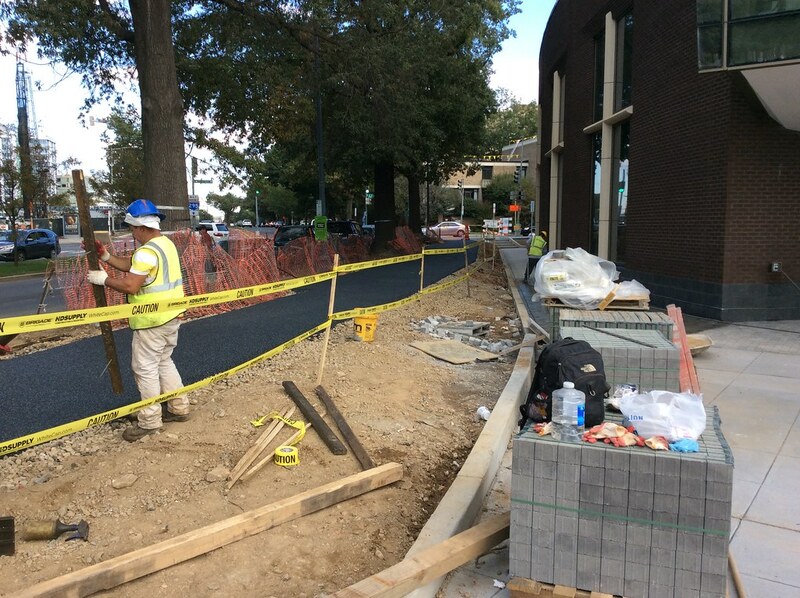 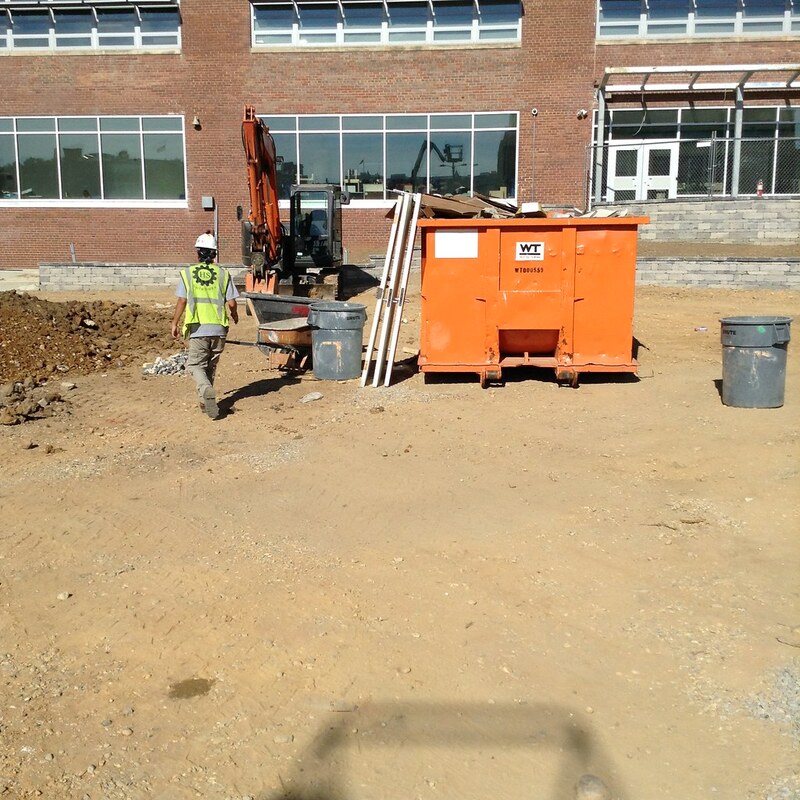 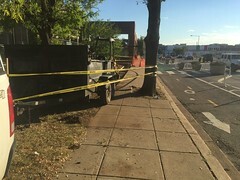 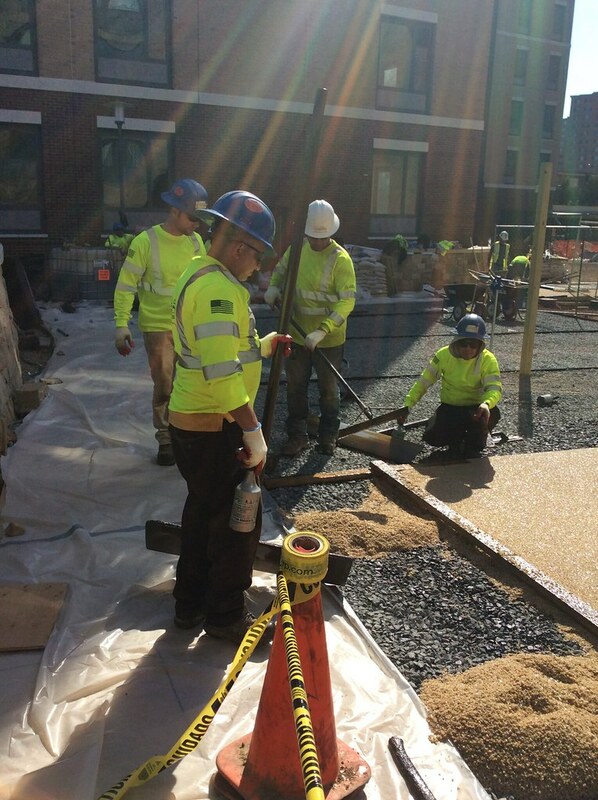 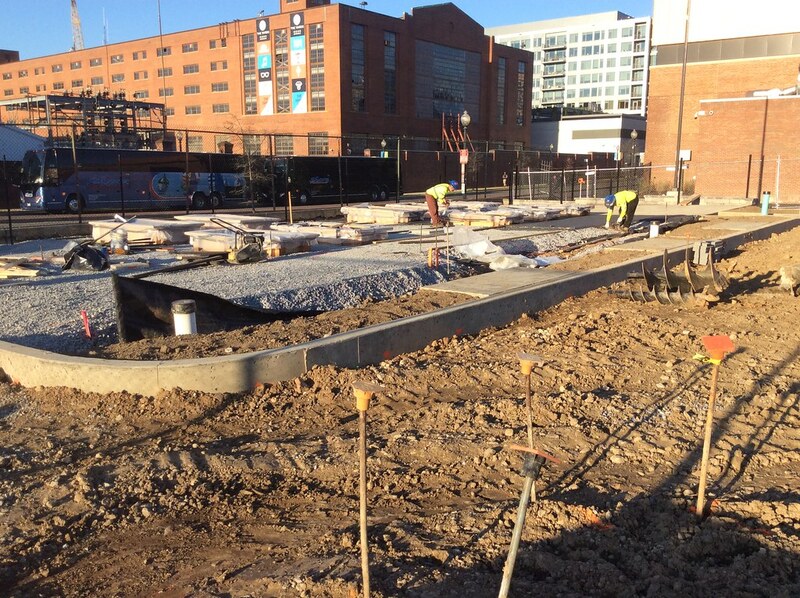 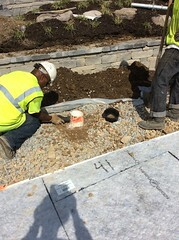 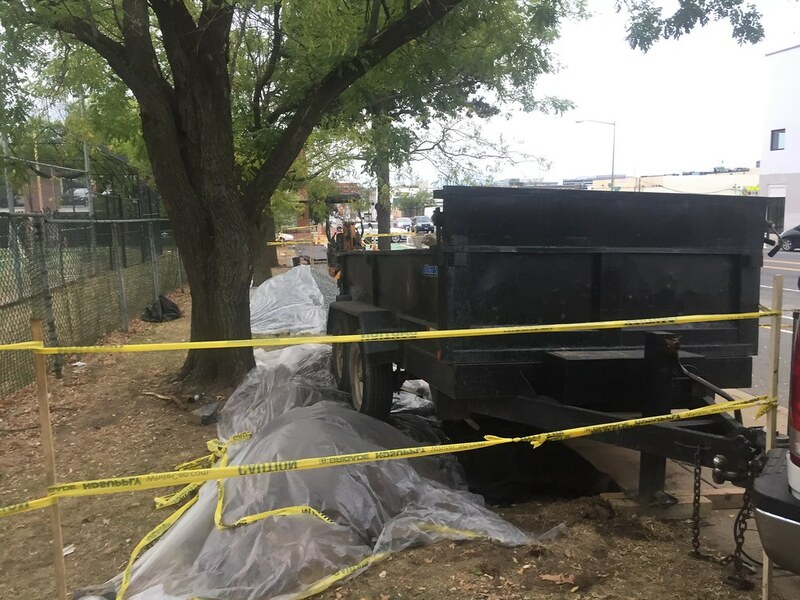 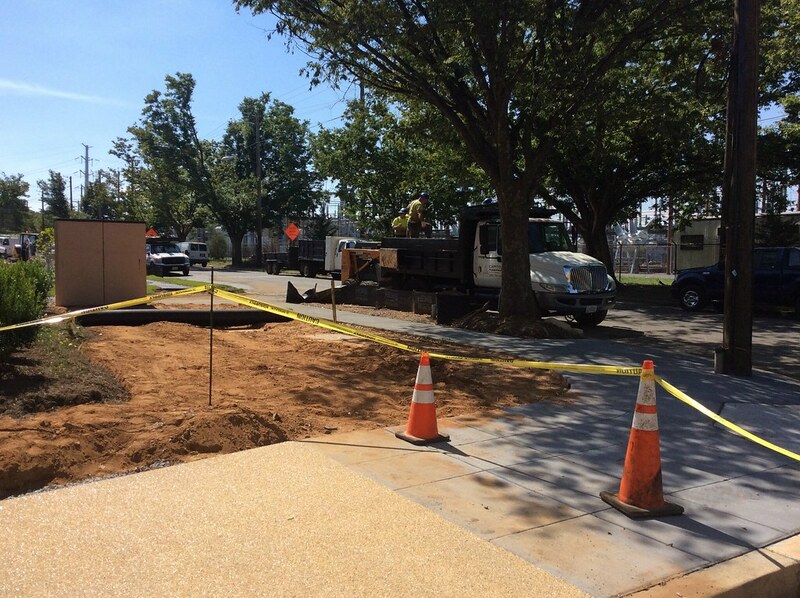 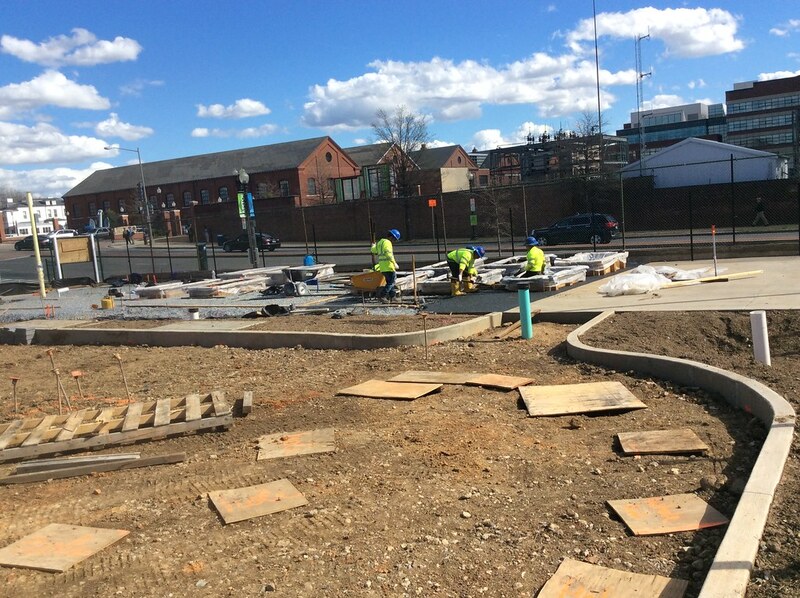 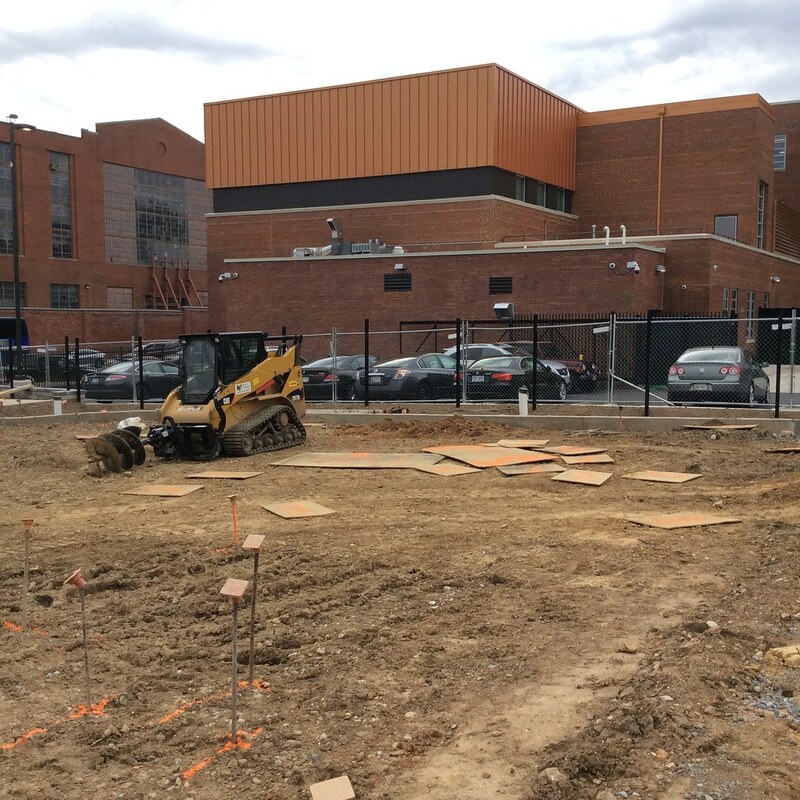 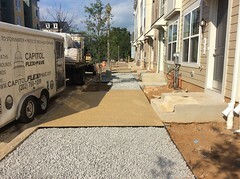 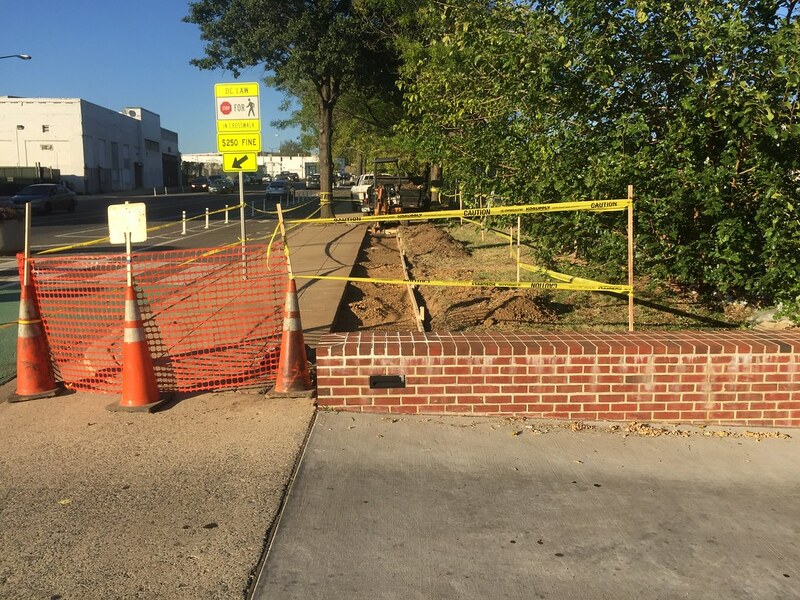 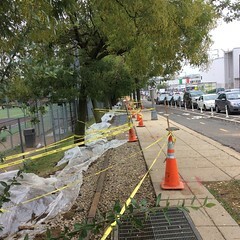 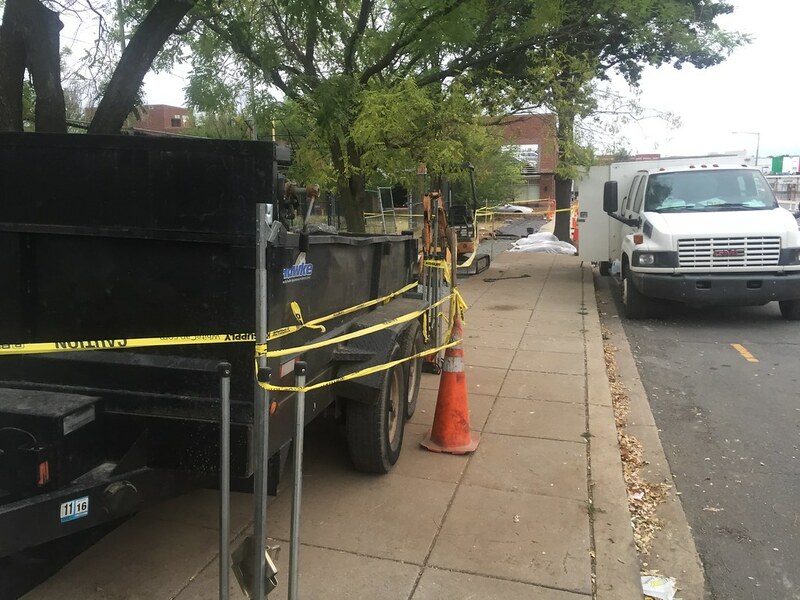 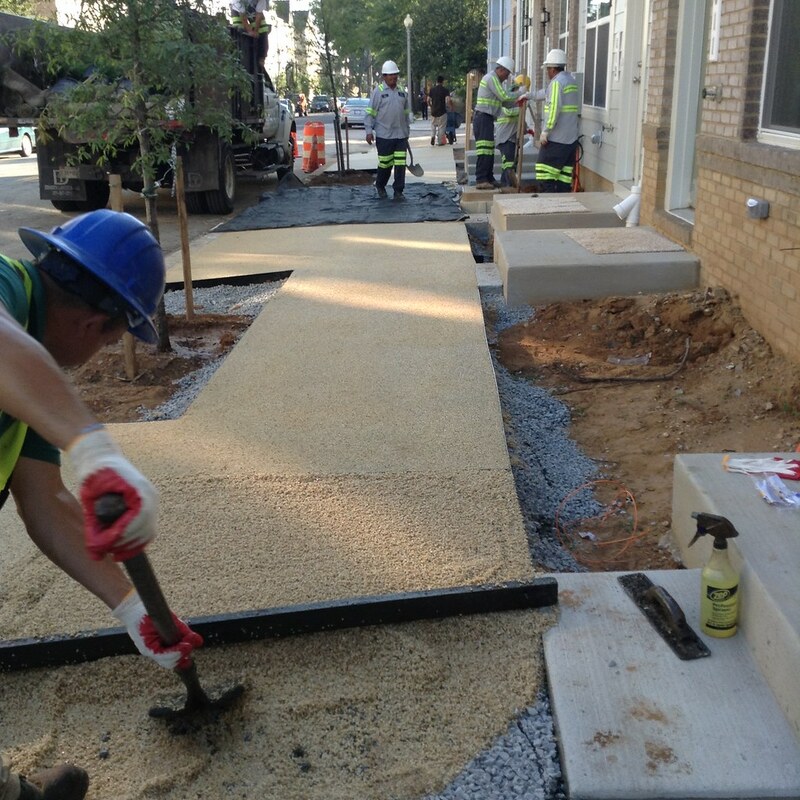 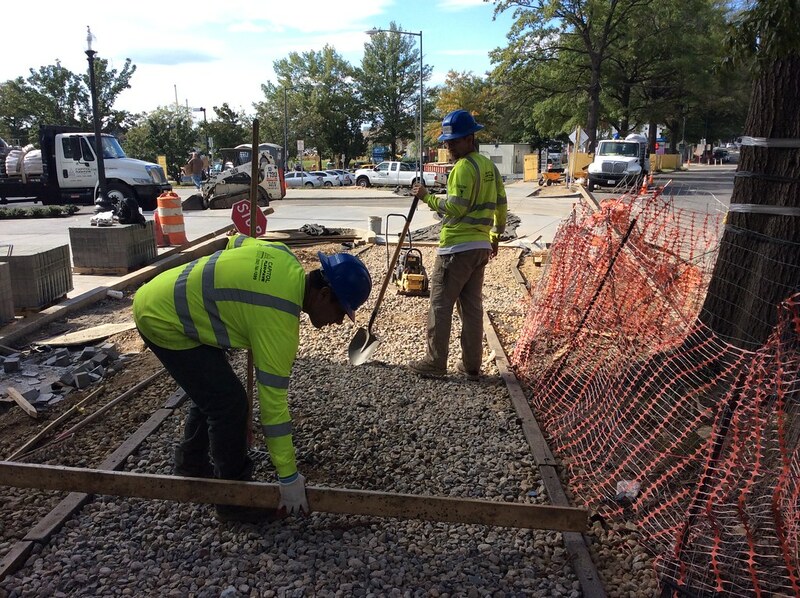 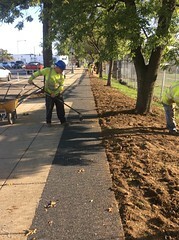 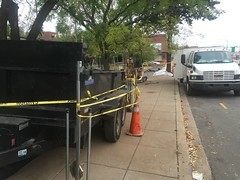 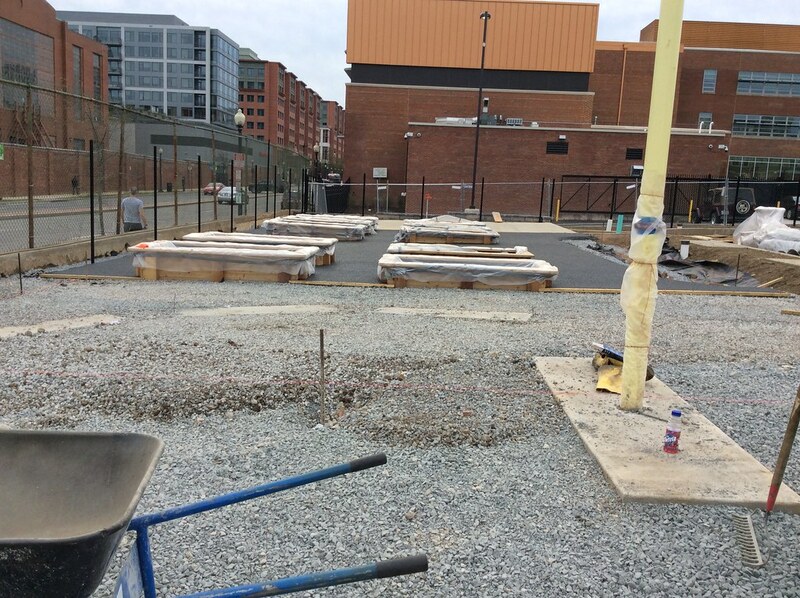 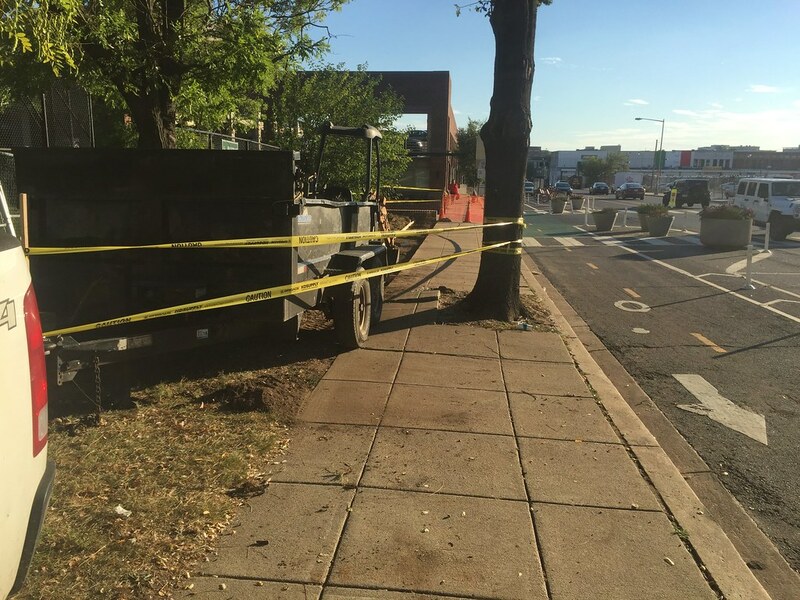 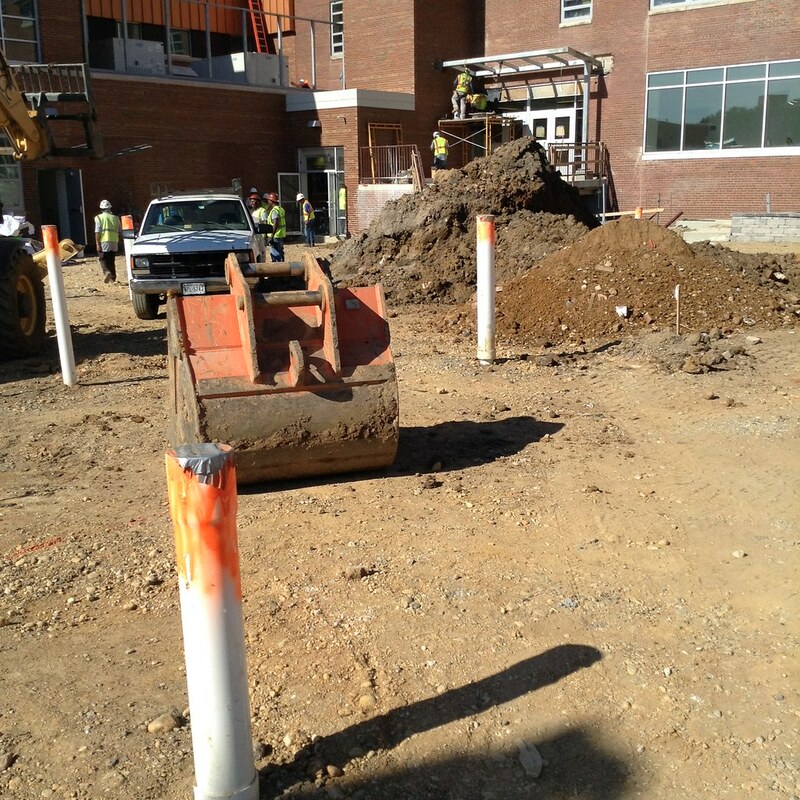 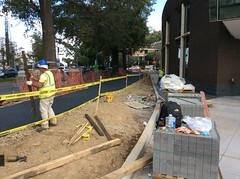 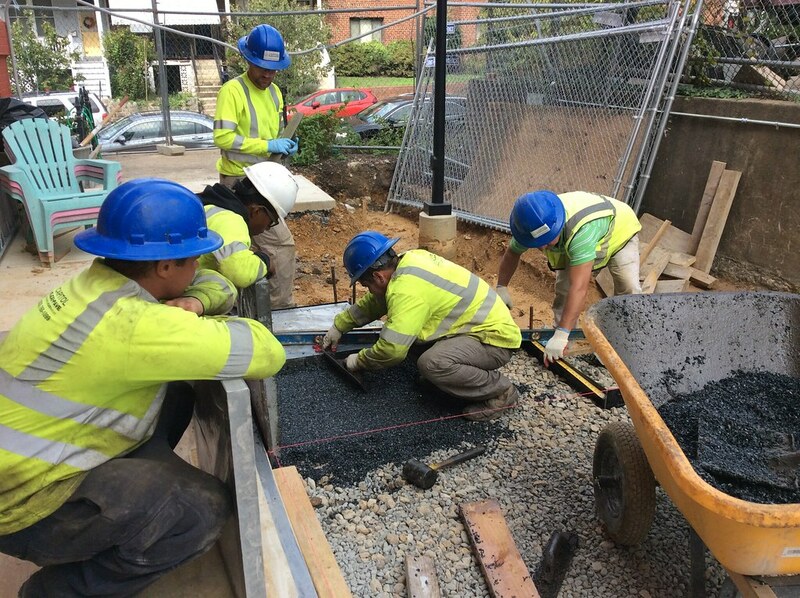 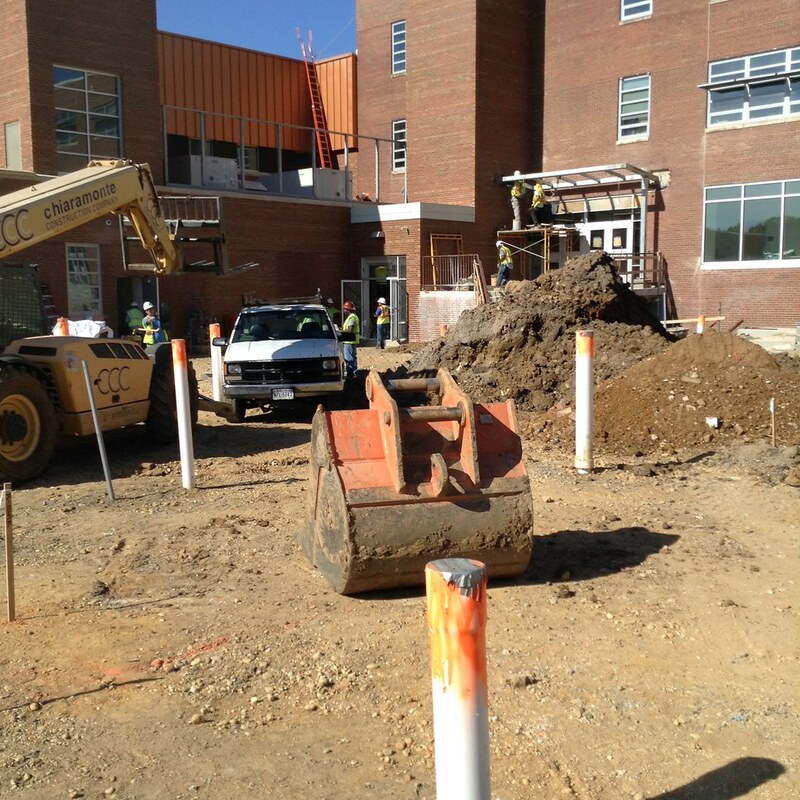 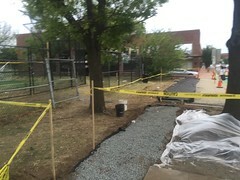 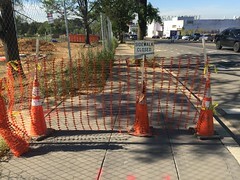 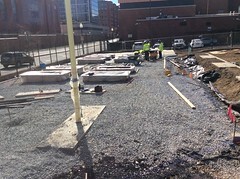 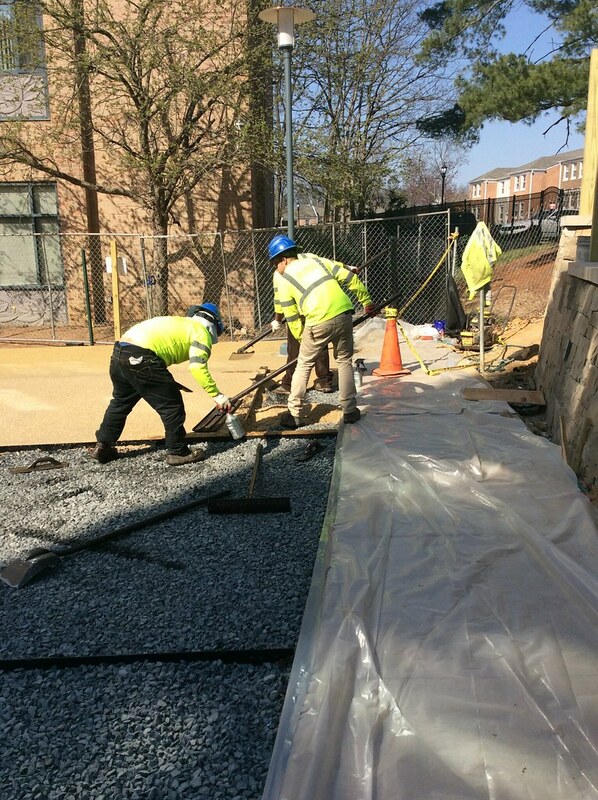 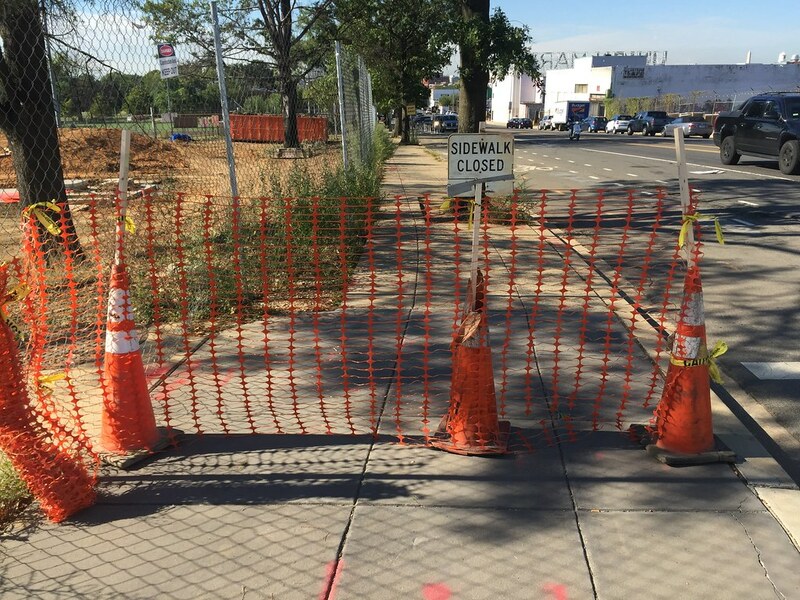 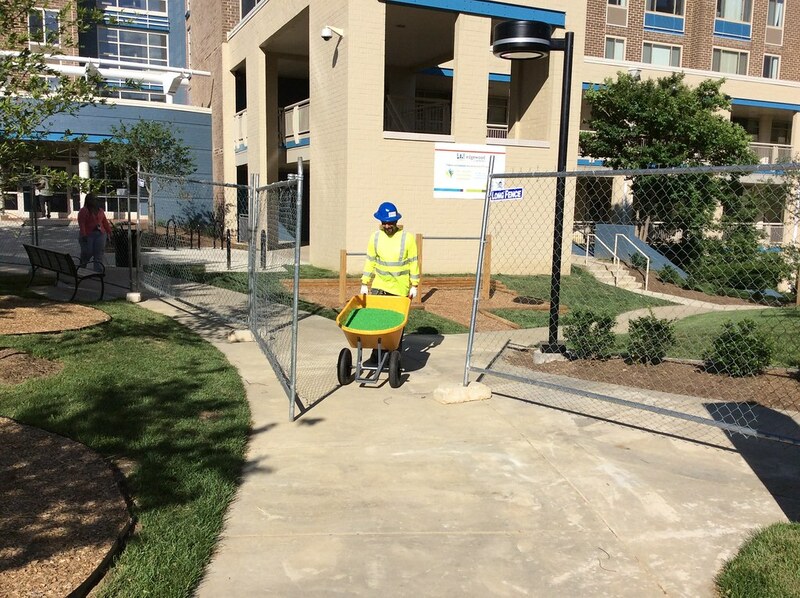 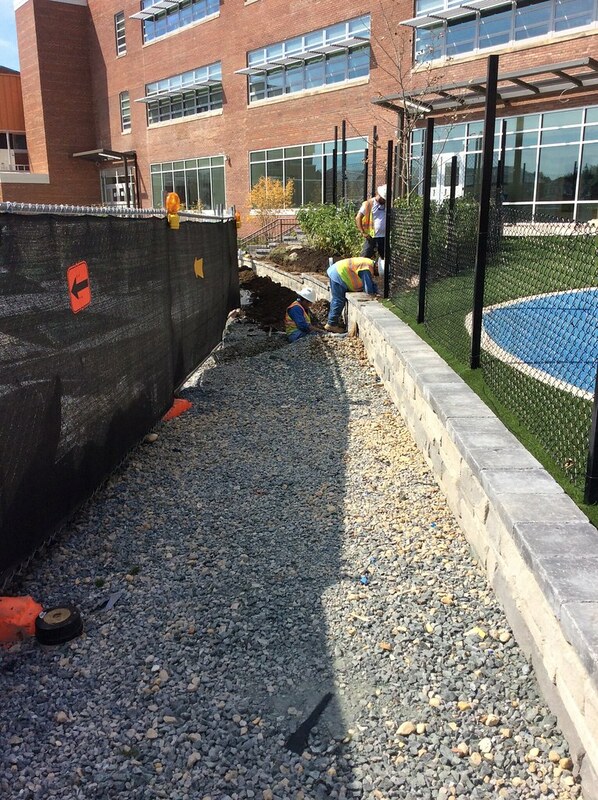 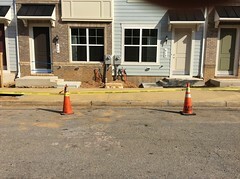 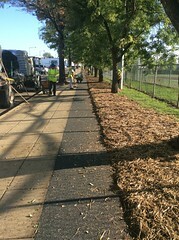 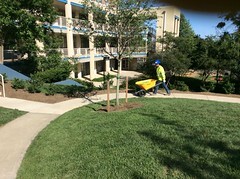 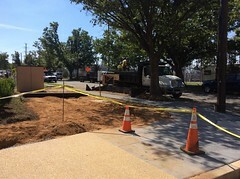 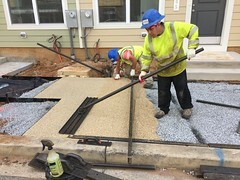 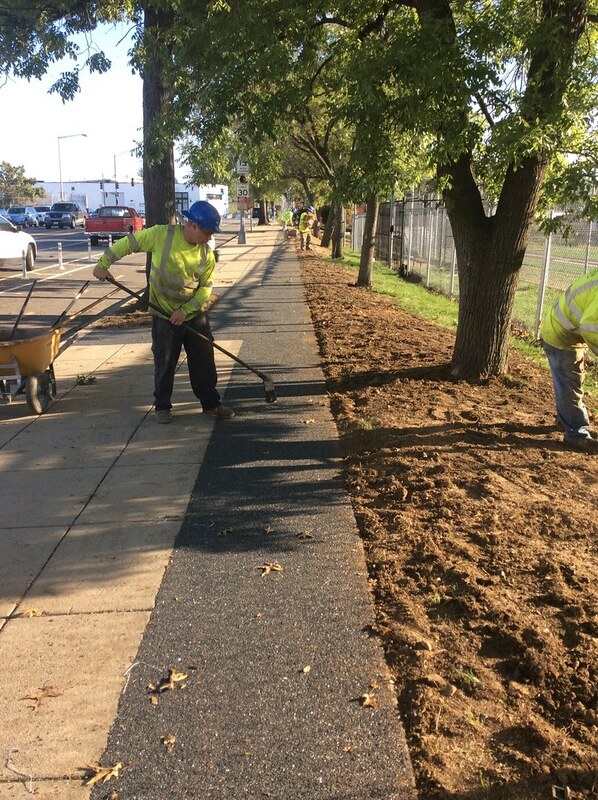 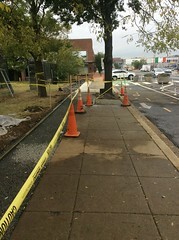 Phase I and II of the permeable All-Stone sidewalks was completed in March of 2017. 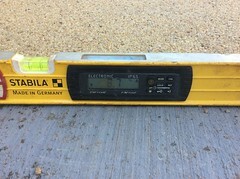 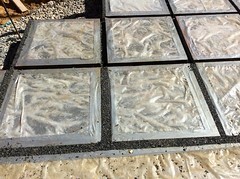 All-Stone color chosen is Beach Stone. 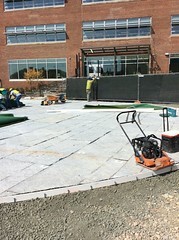 This 2,030 SF All-Stone courtyard was completed in March 2017. 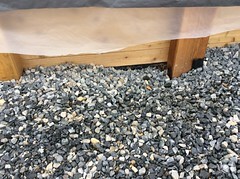 Color chosen is Beach Stone. 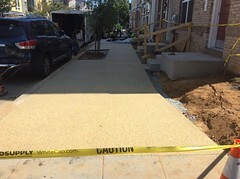 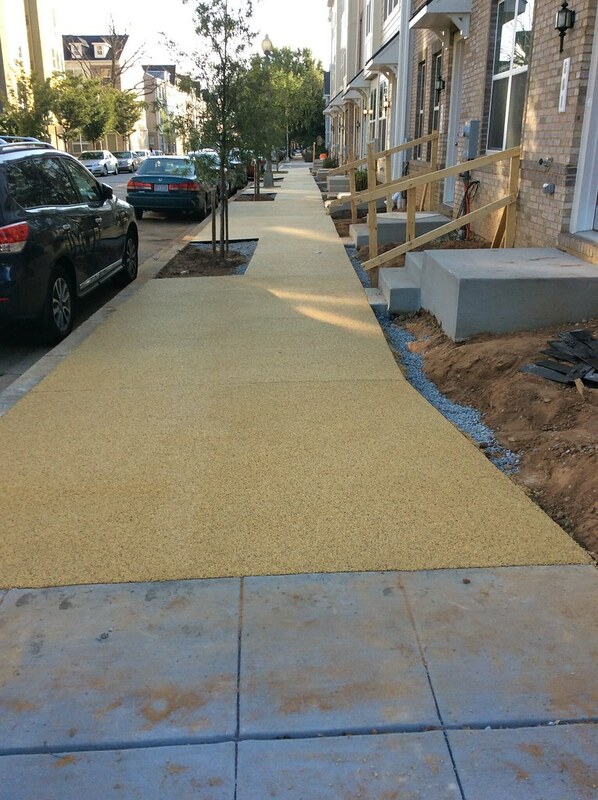 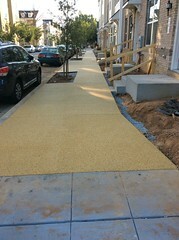 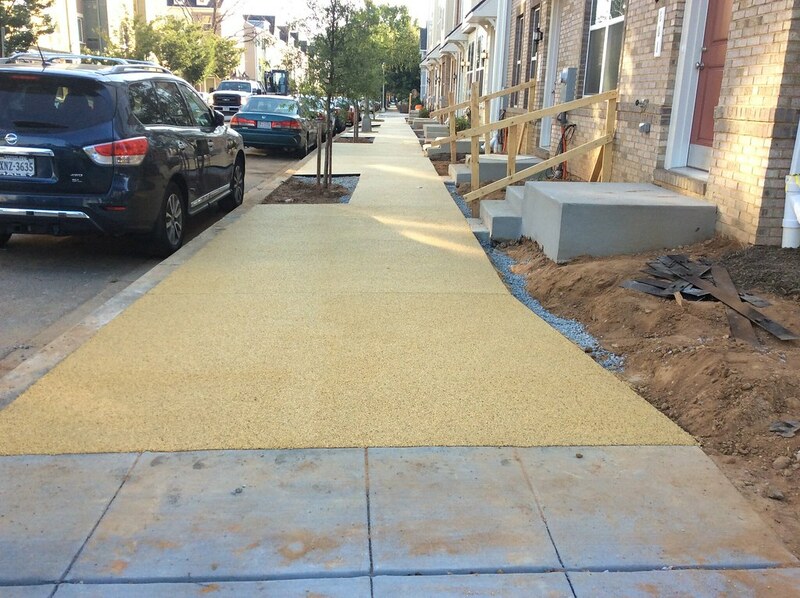 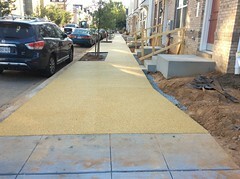 This 1735 SF Flexi-Pave sidewalk was completed in late November 2016. 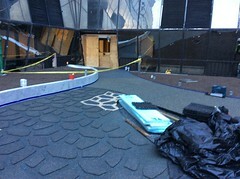 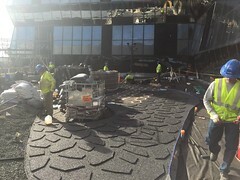 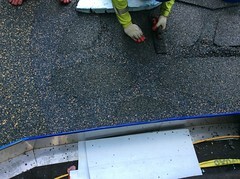 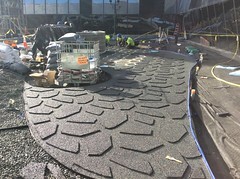 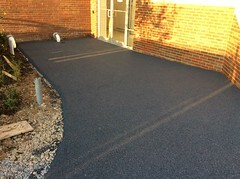 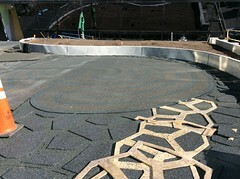 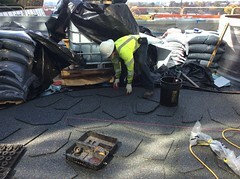 Flexi-Pave color chosen is Mossy Slate. 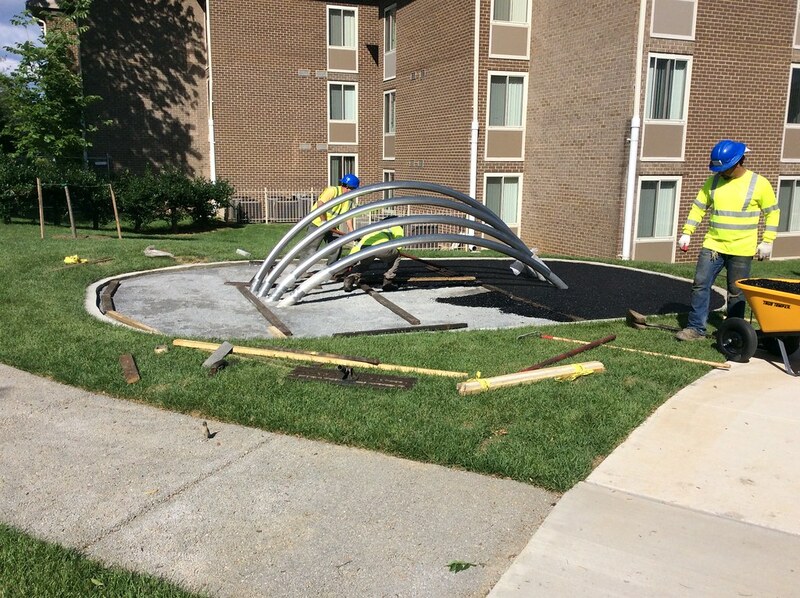 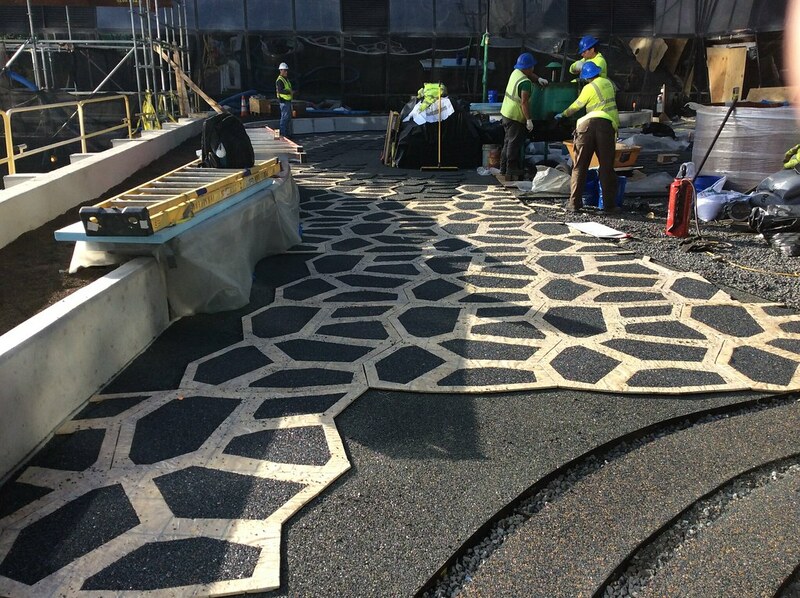 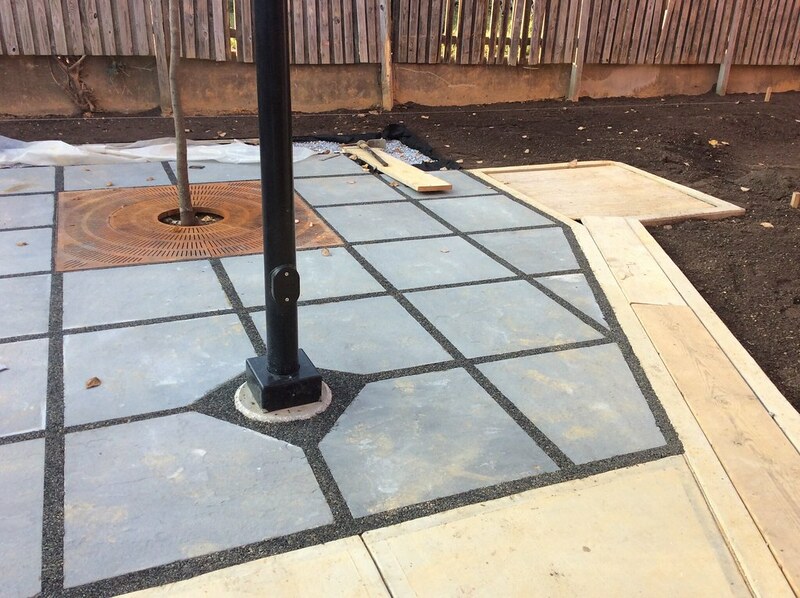 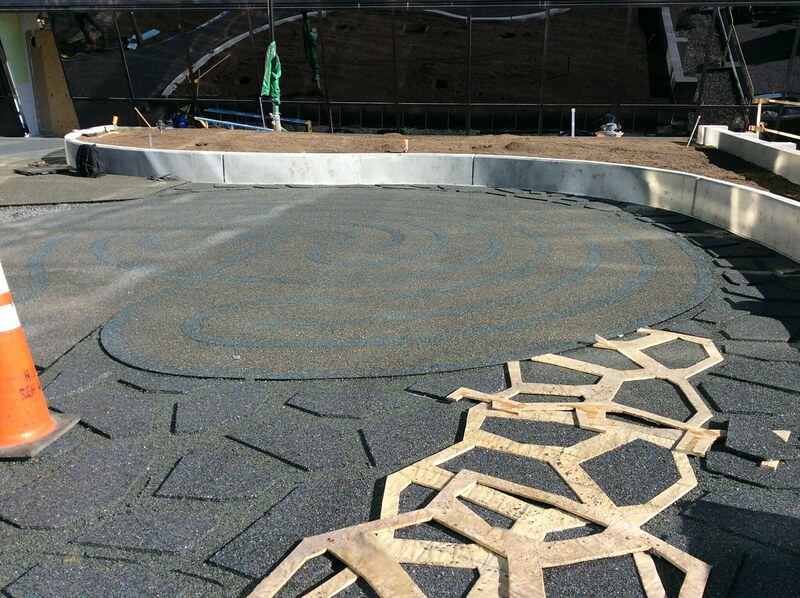 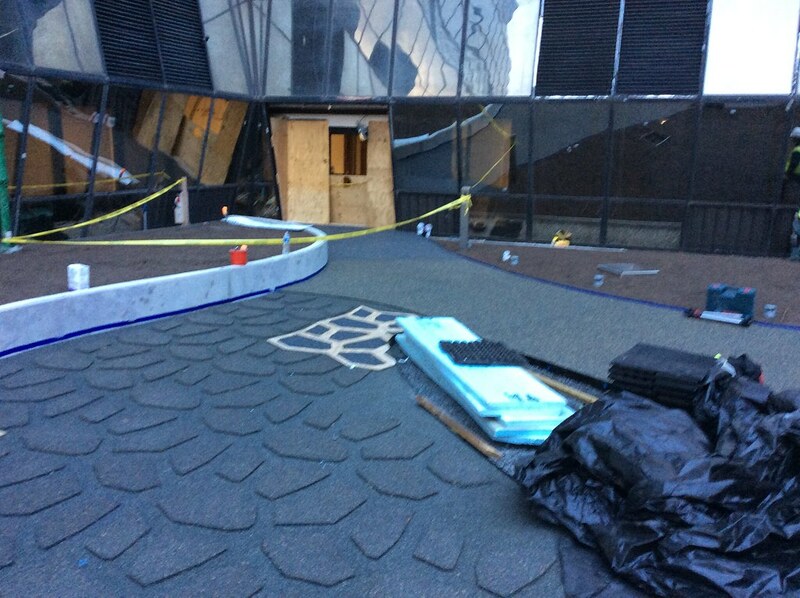 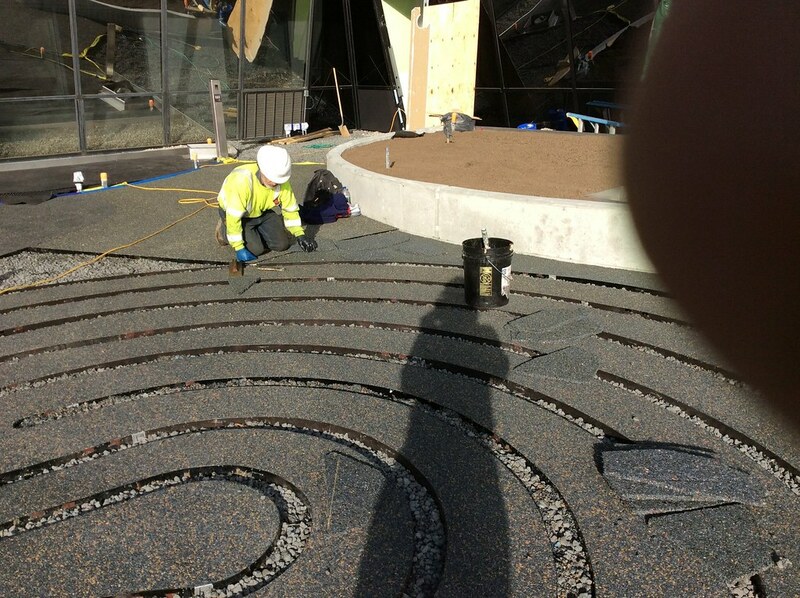 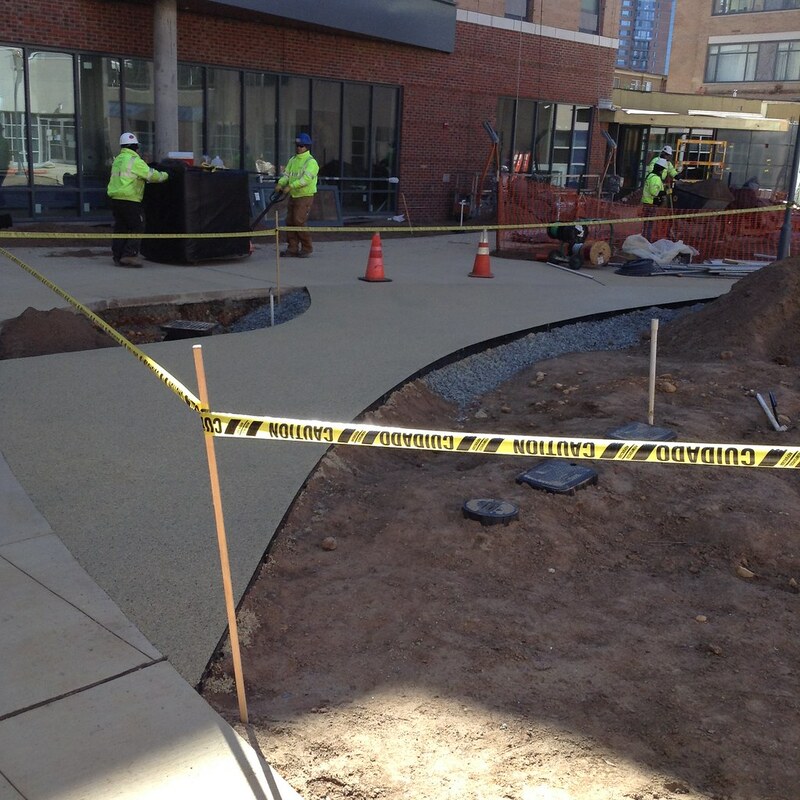 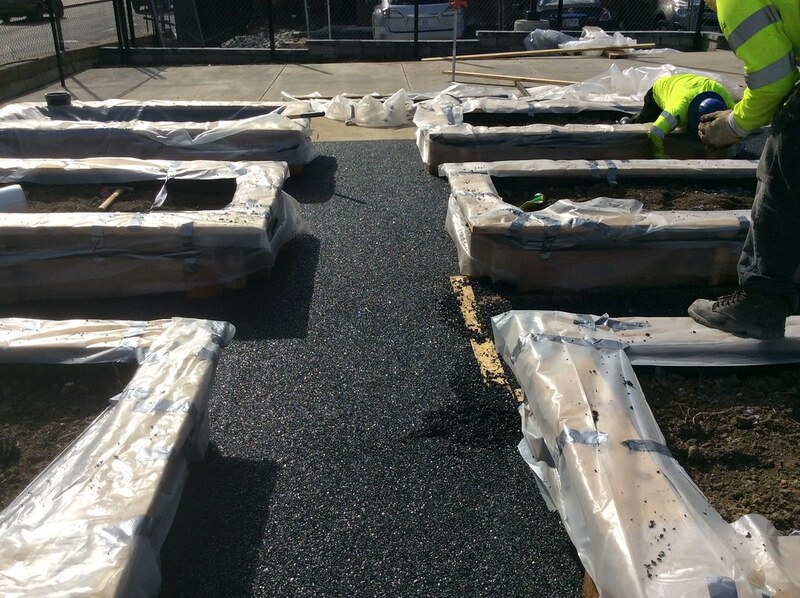 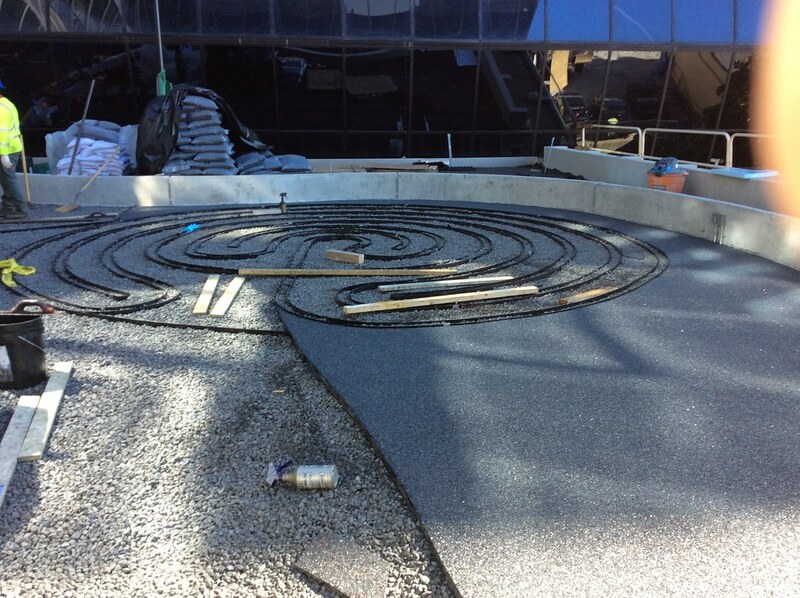 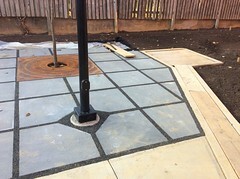 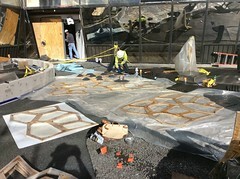 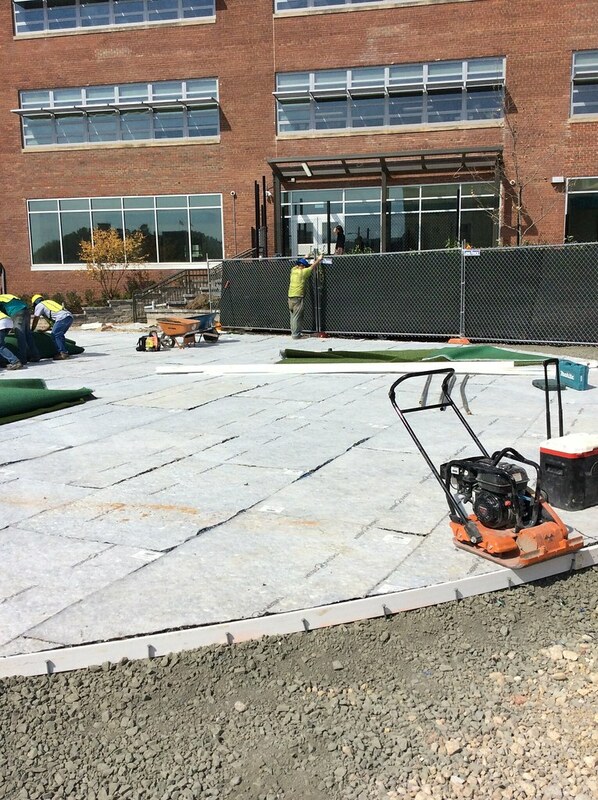 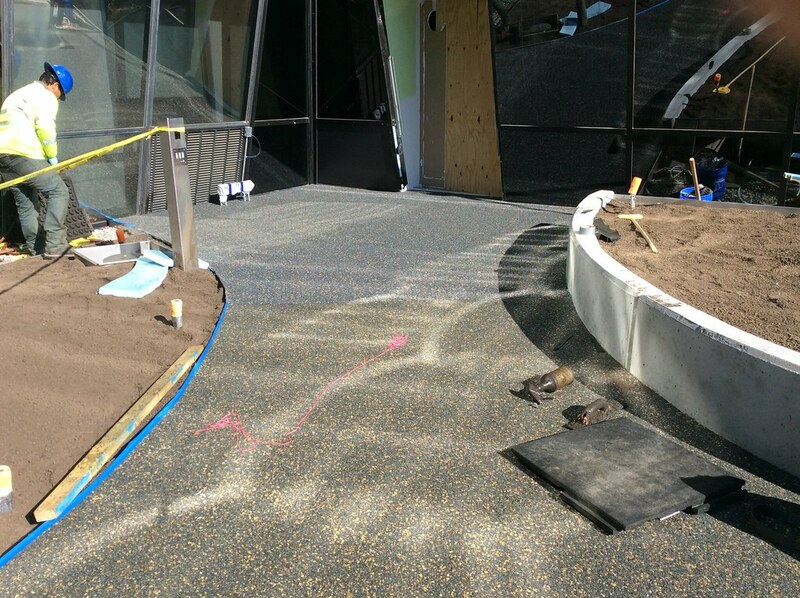 In mid-November 2016, we finished installing a 2911 SF Flexi-Pave HDA2000 Architectural path, maze, and courtyard at the CNHC Healing Garden. 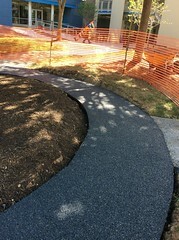 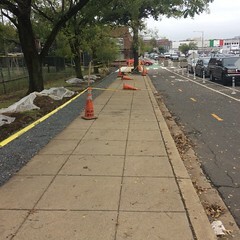 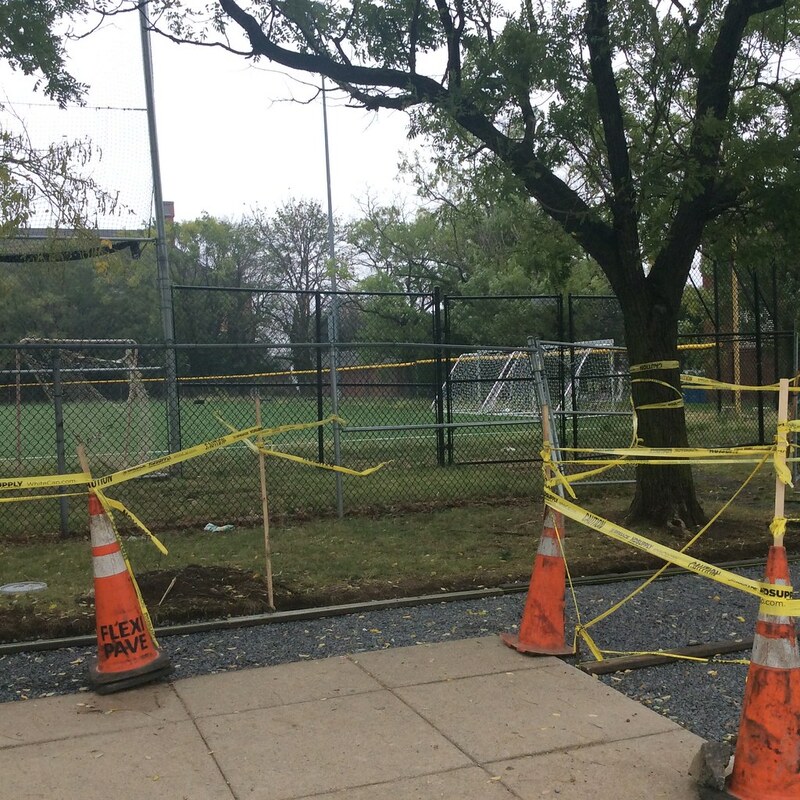 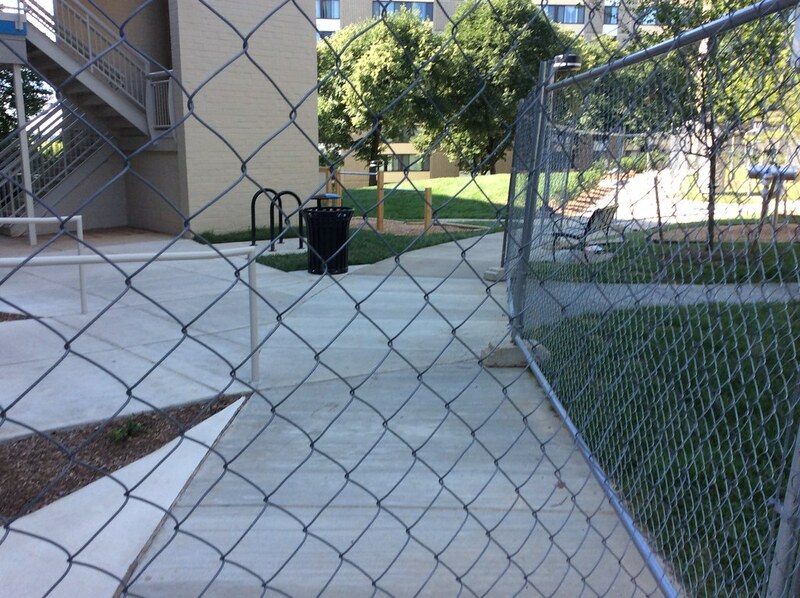 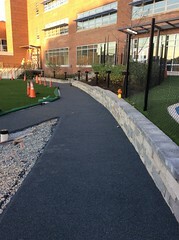 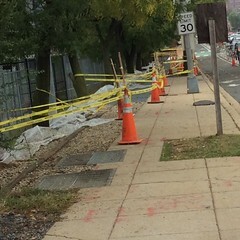 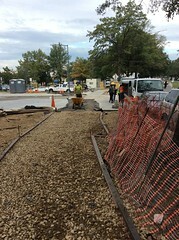 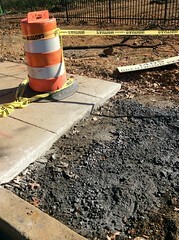 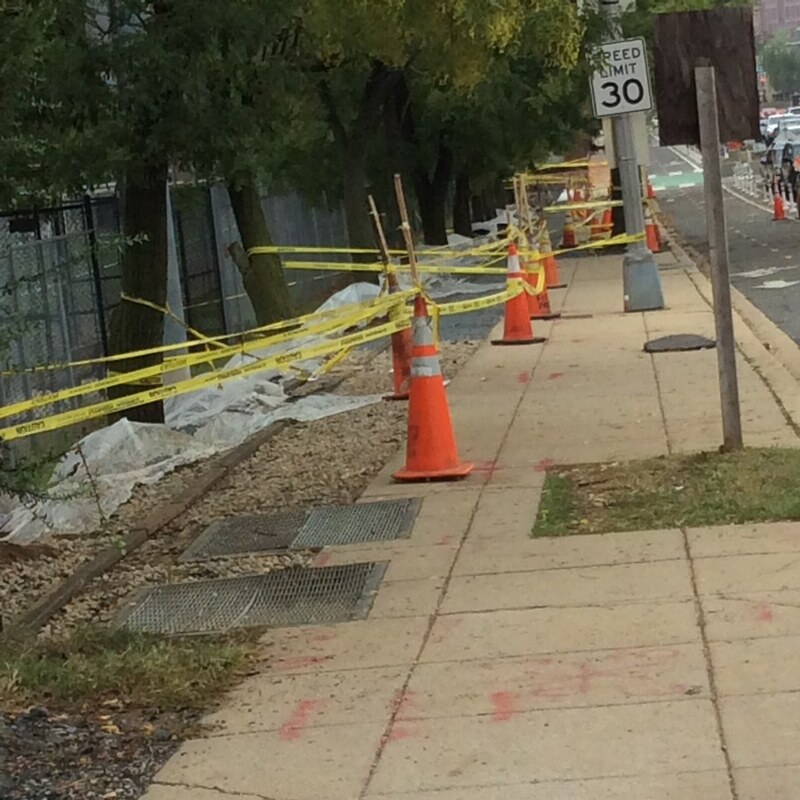 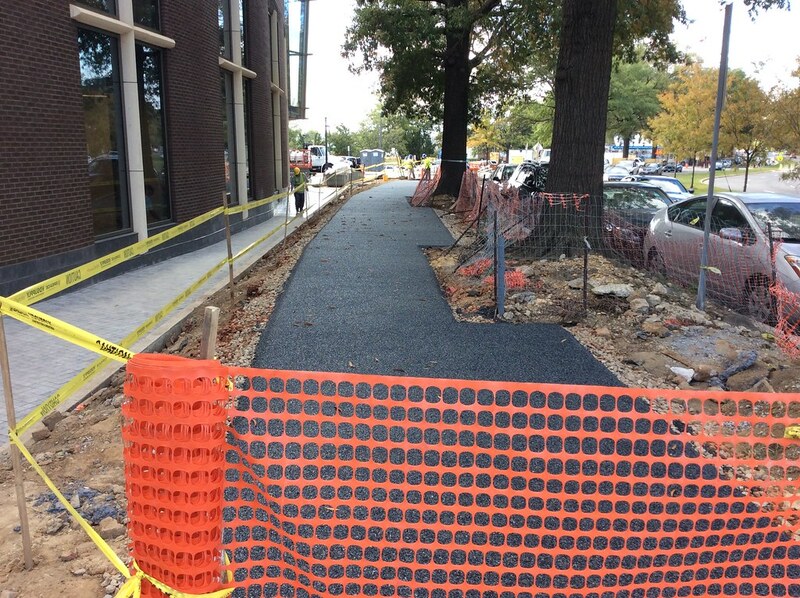 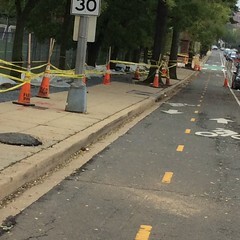 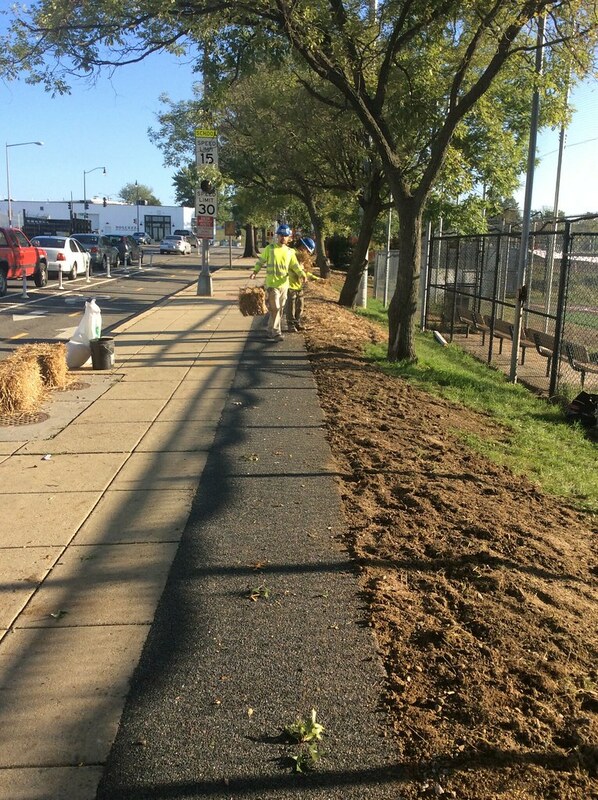 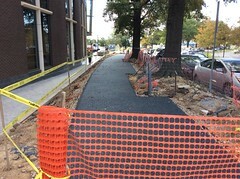 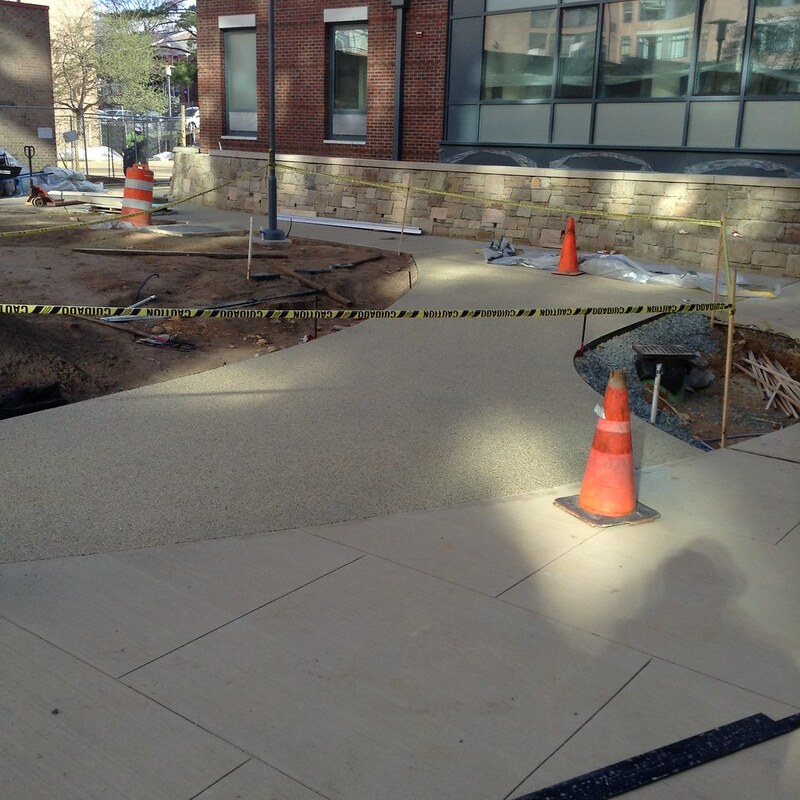 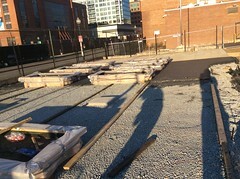 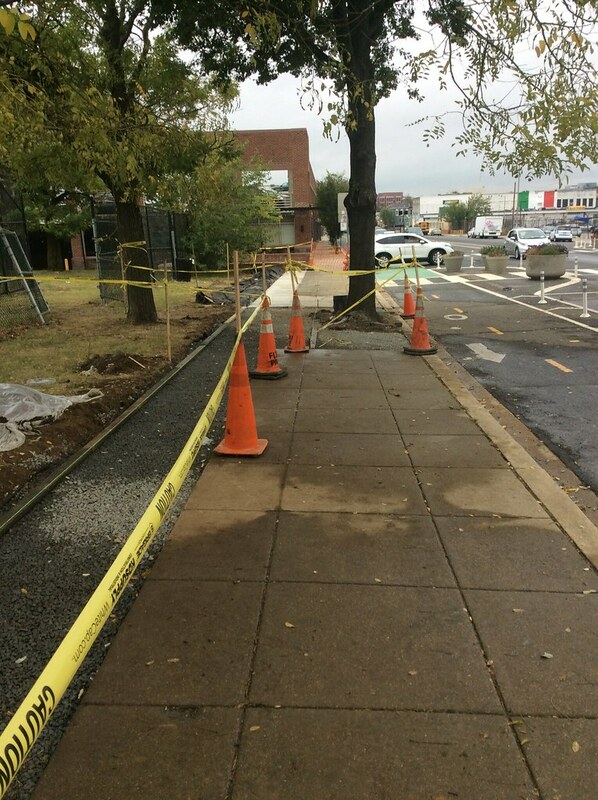 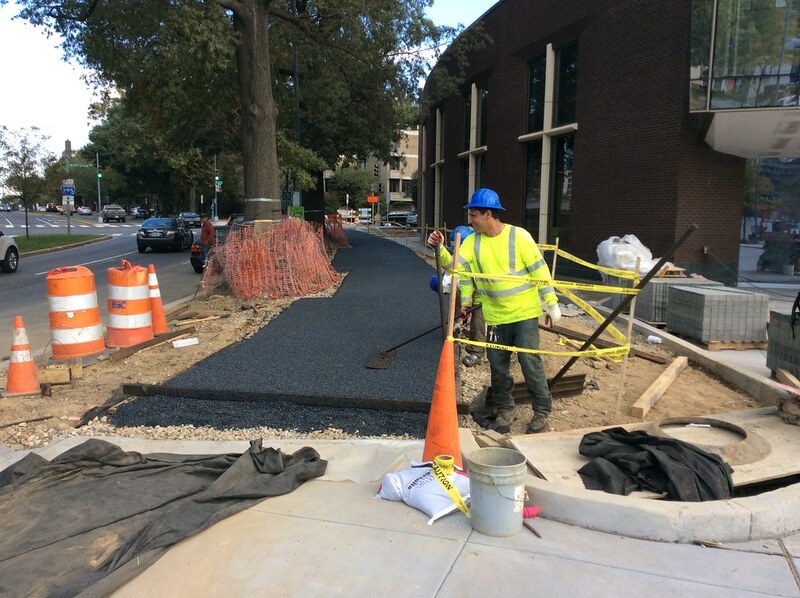 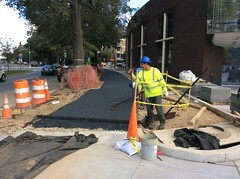 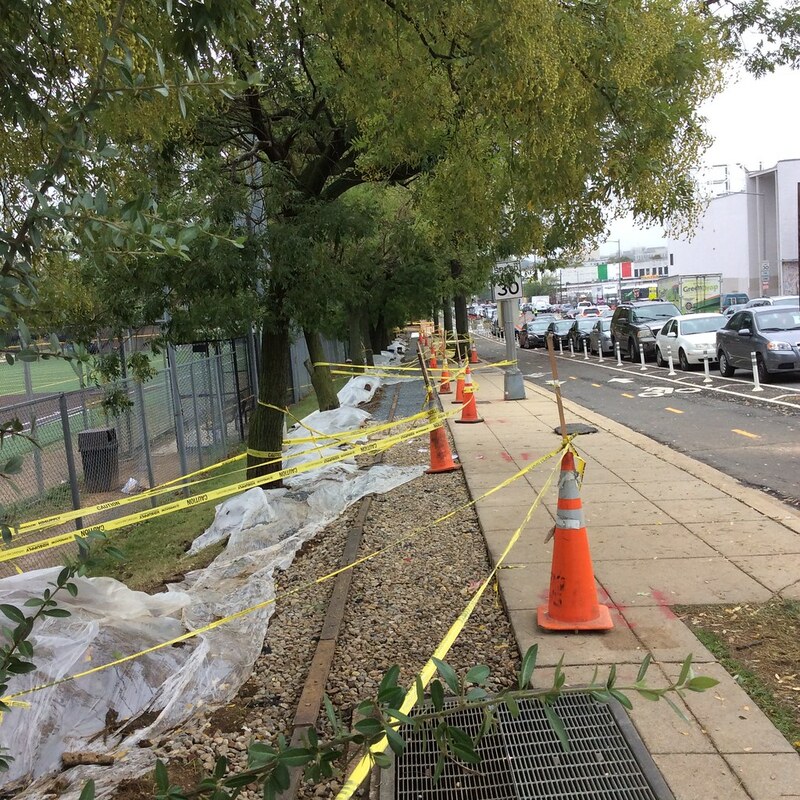 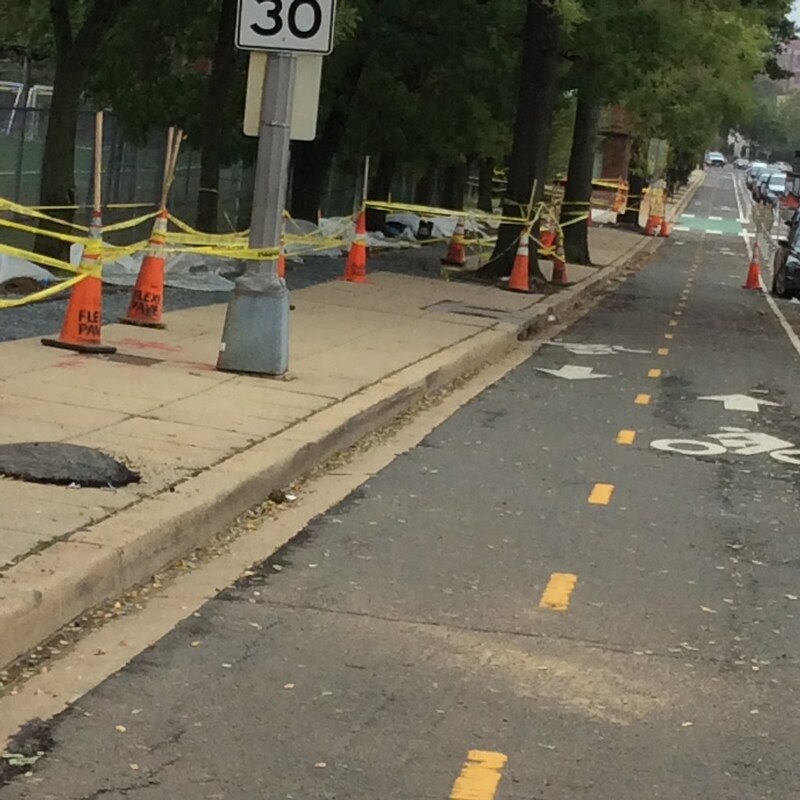 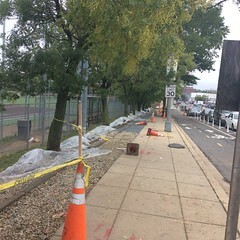 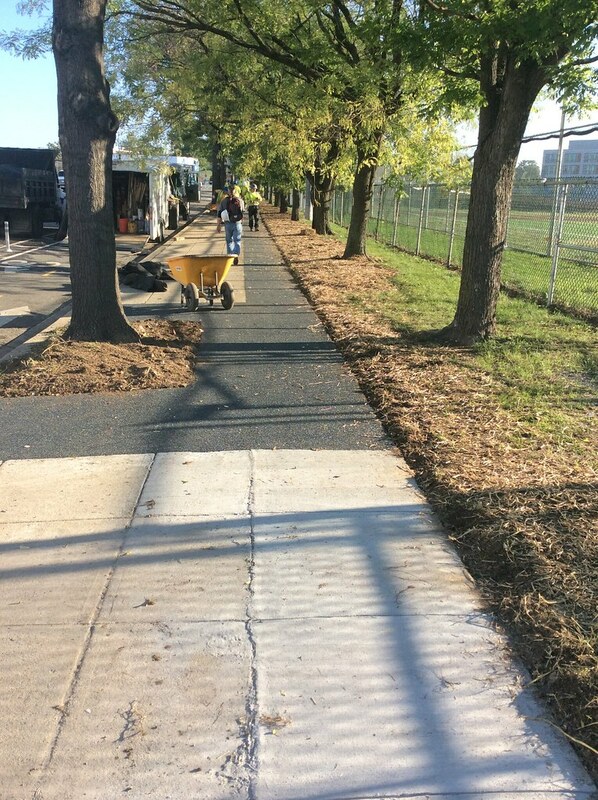 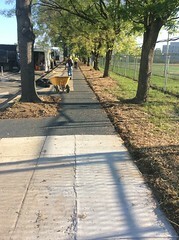 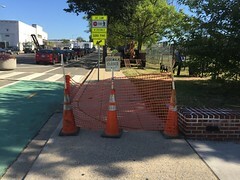 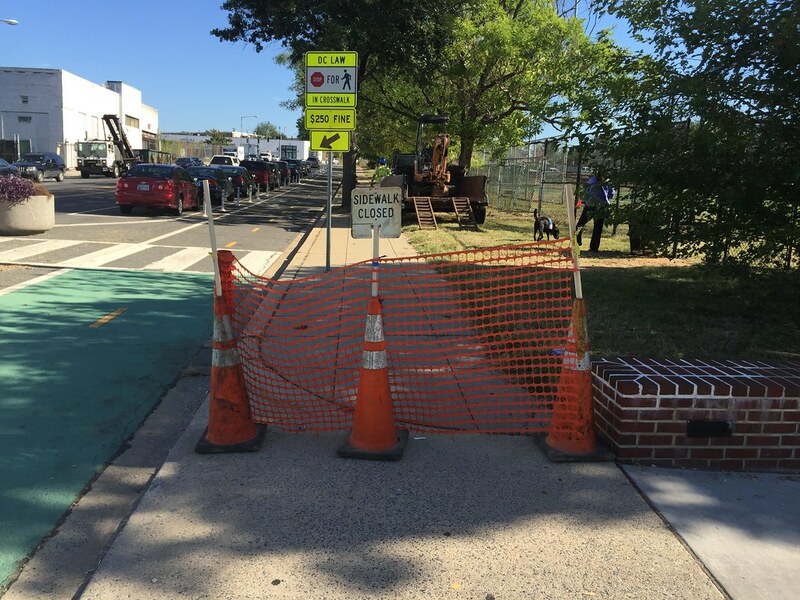 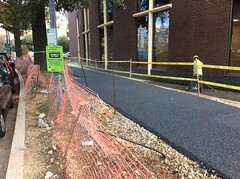 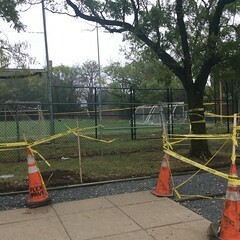 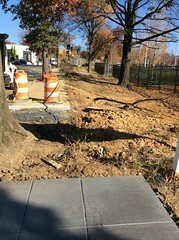 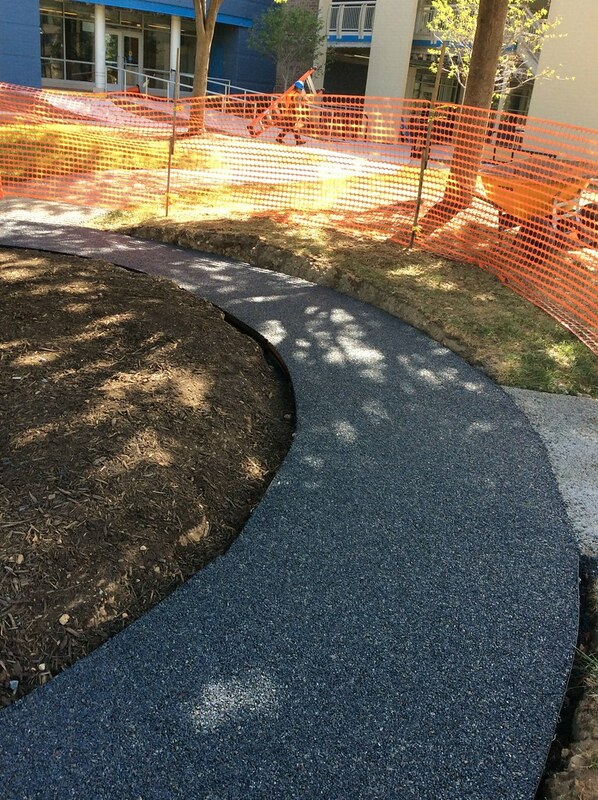 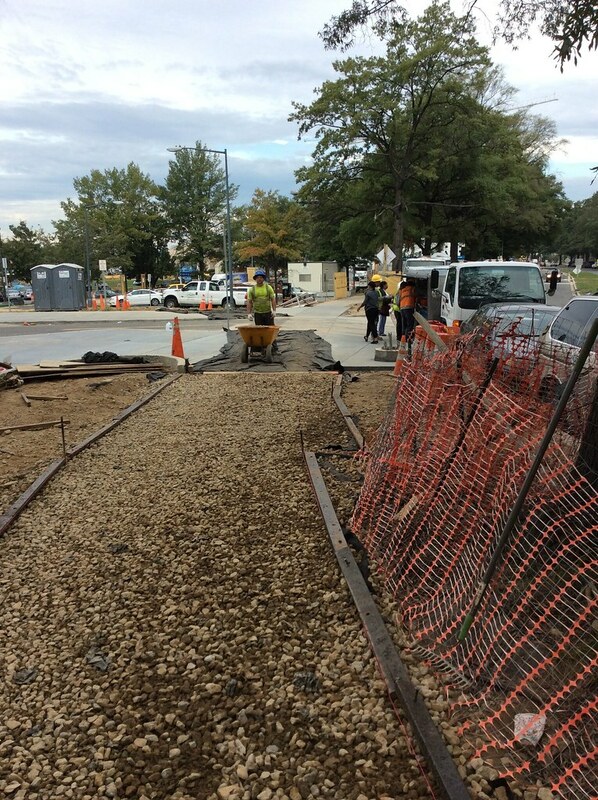 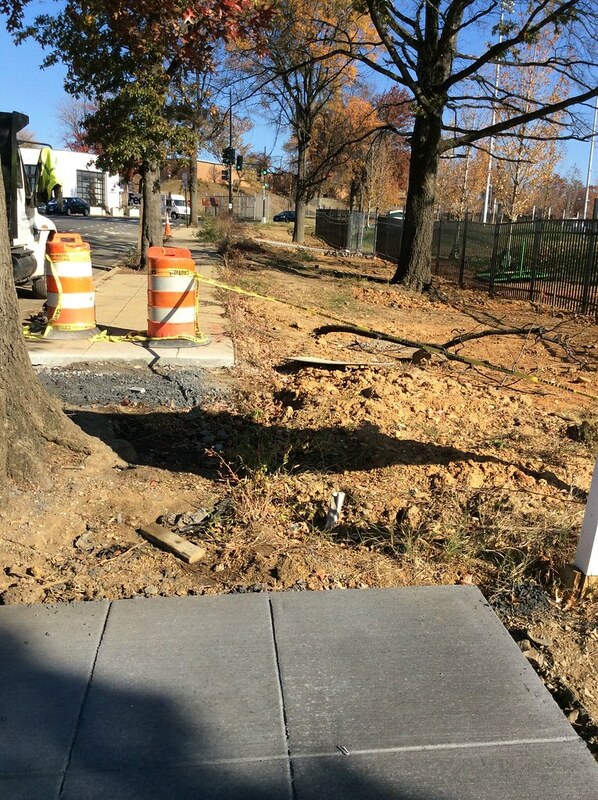 This Flexi-Pave trail & sidewalk was completed in late October 2016. 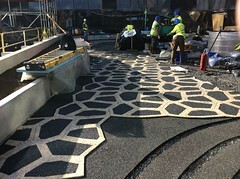 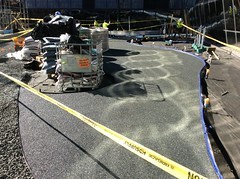 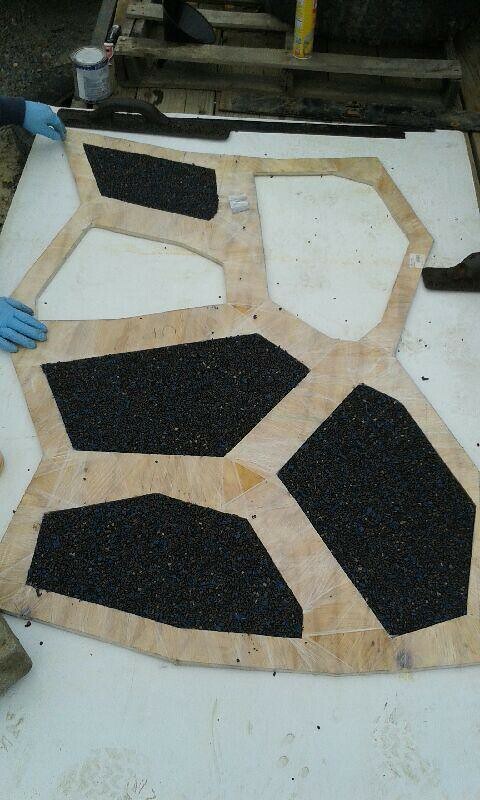 Flexi-Pave colors chosen are Olive Fog and Peppermill. 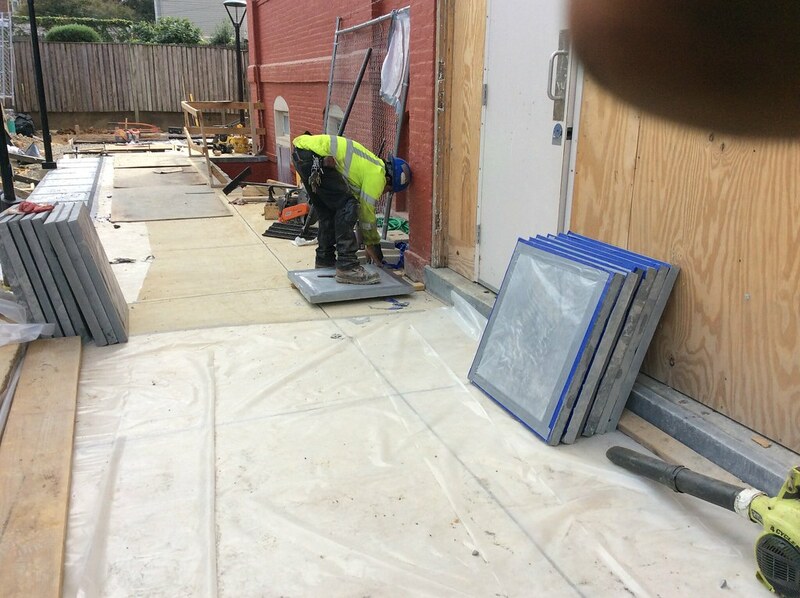 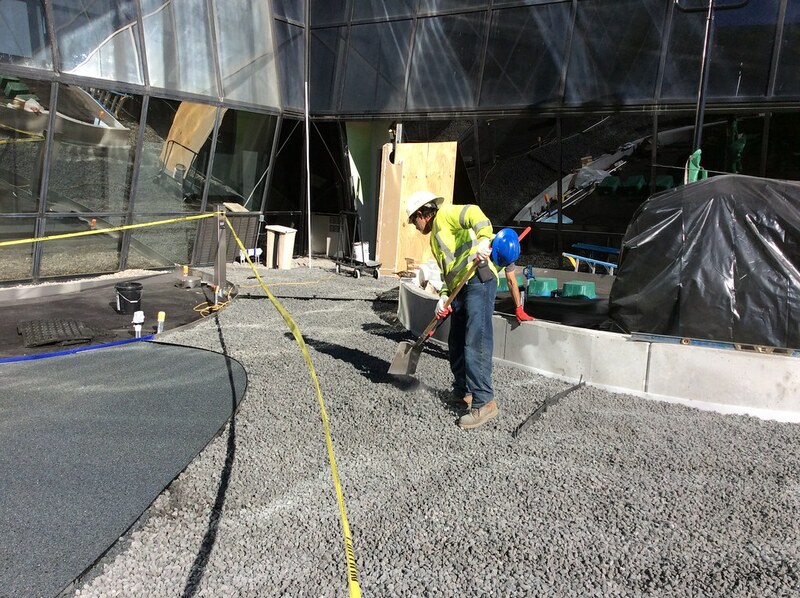 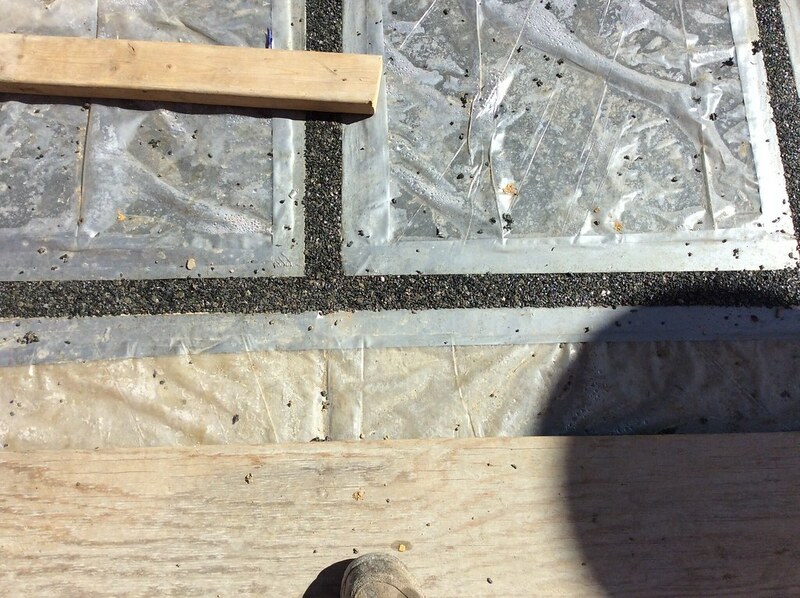 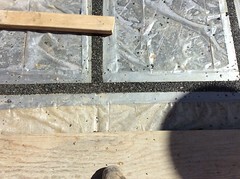 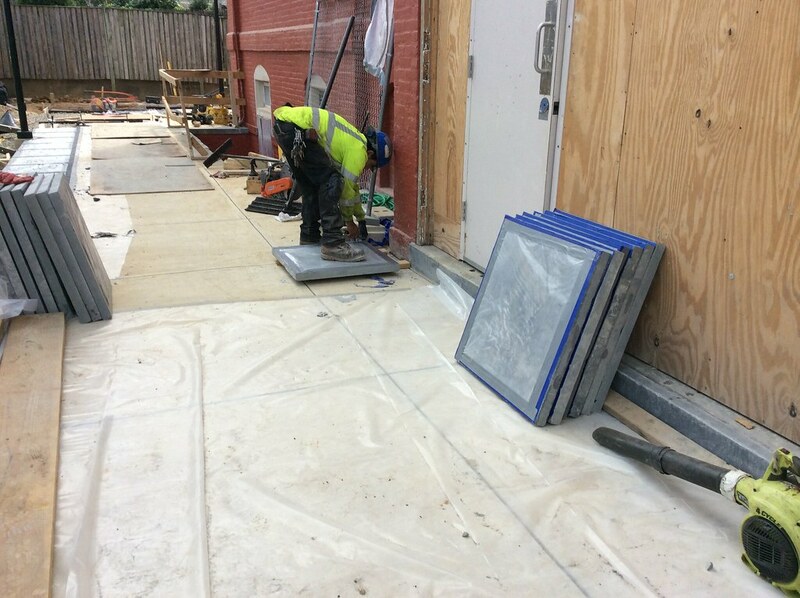 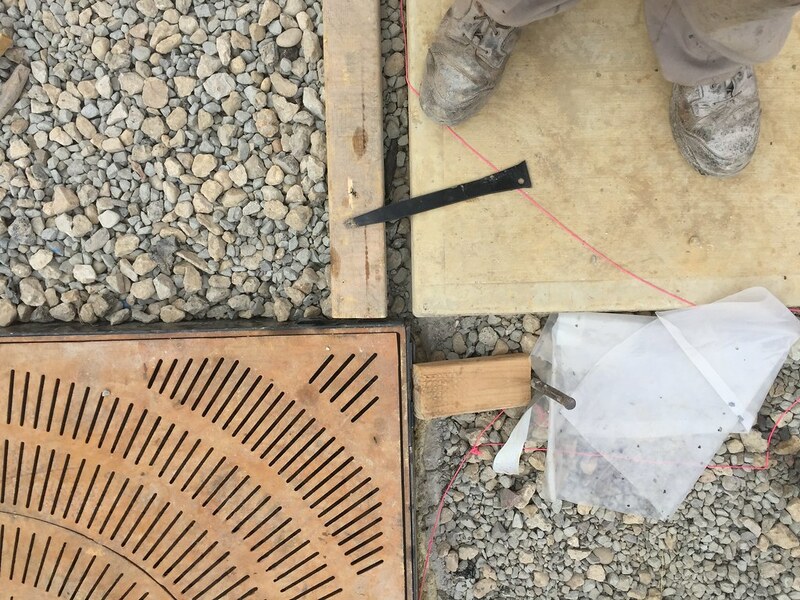 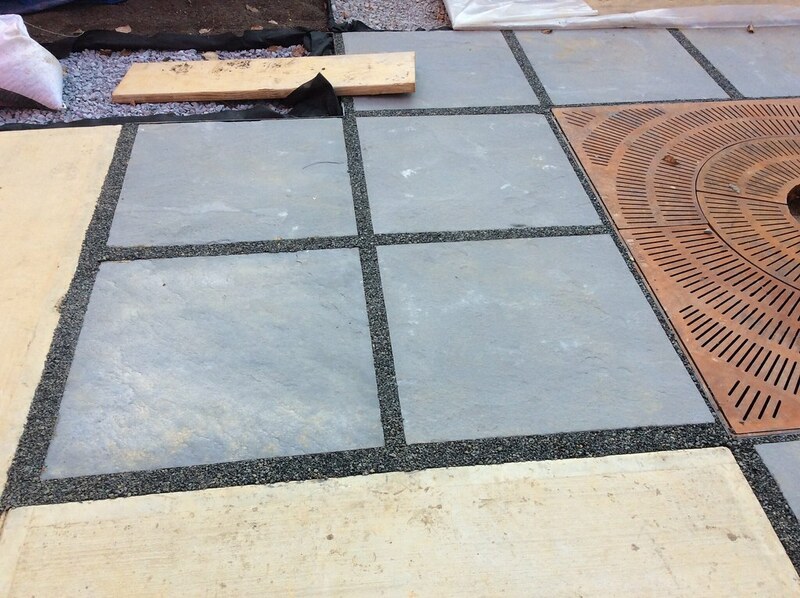 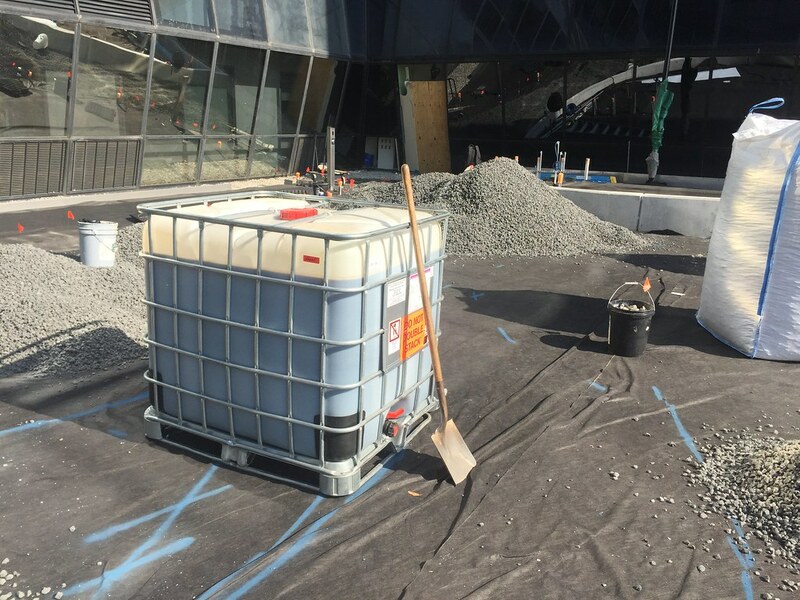 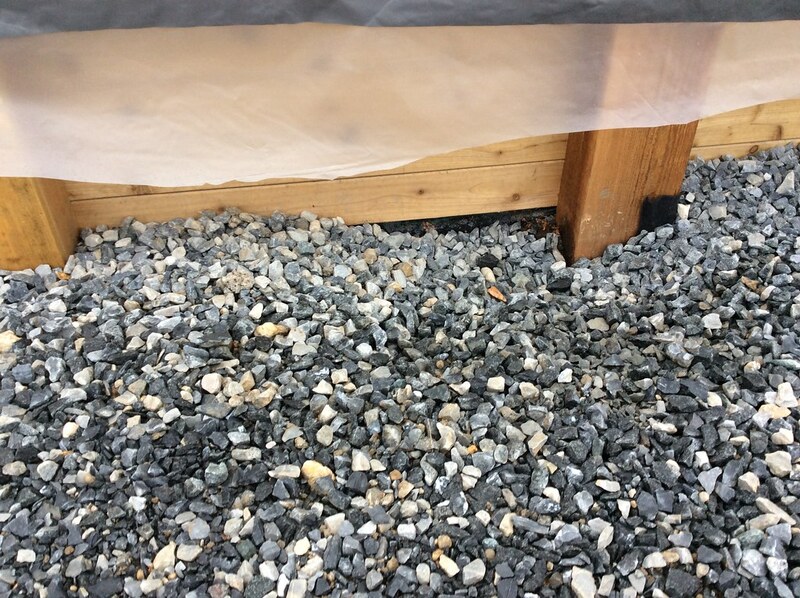 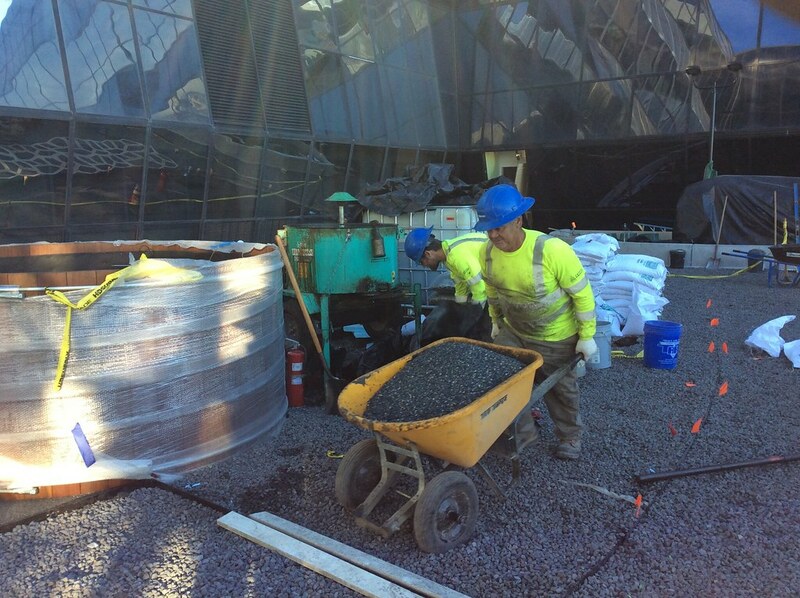 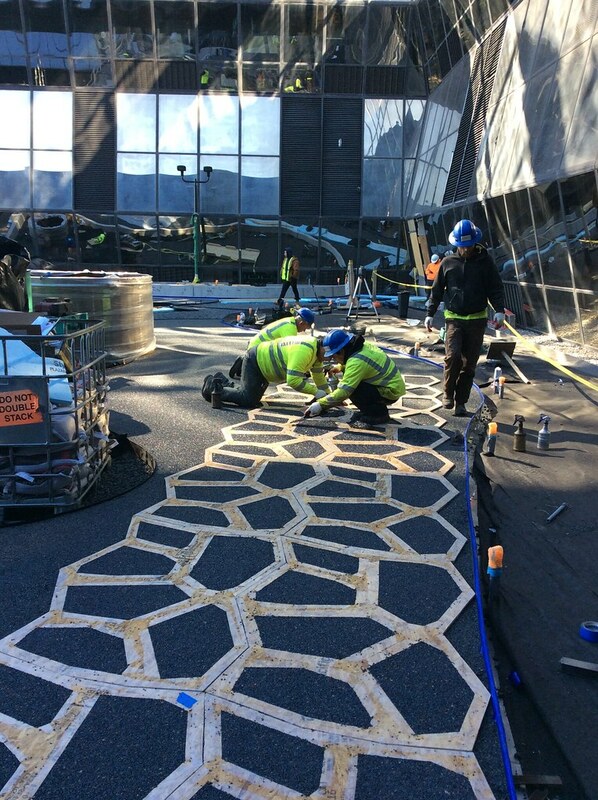 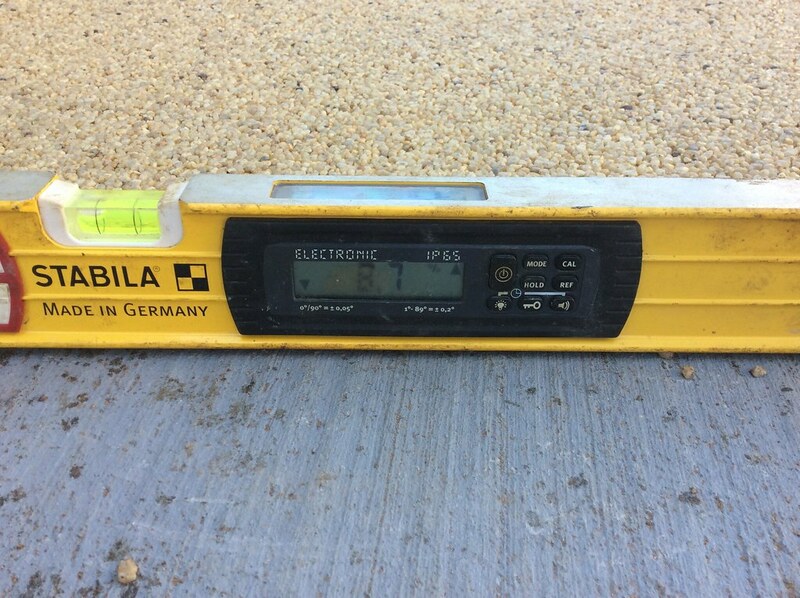 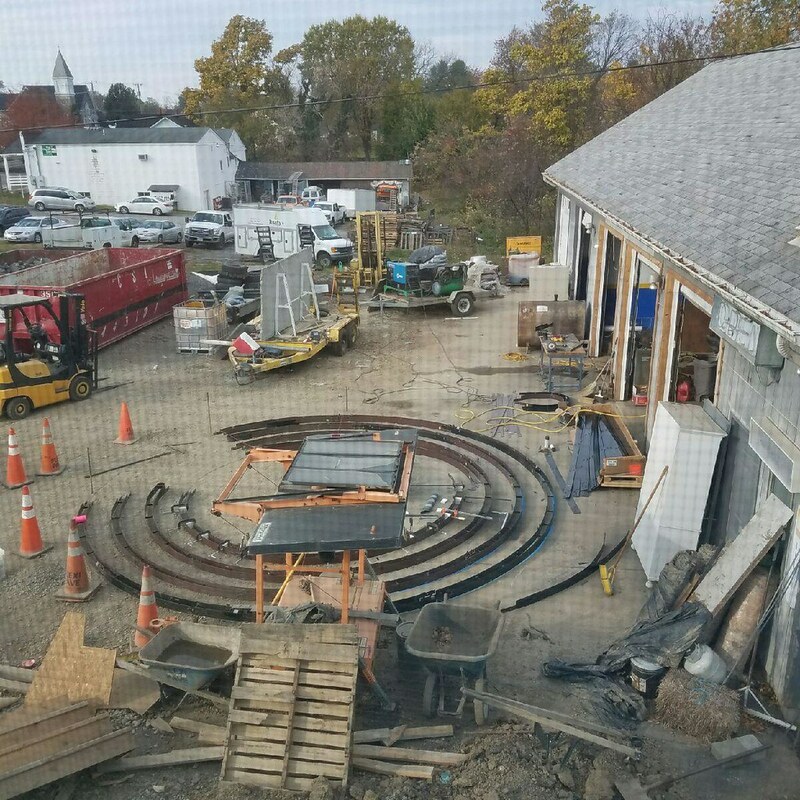 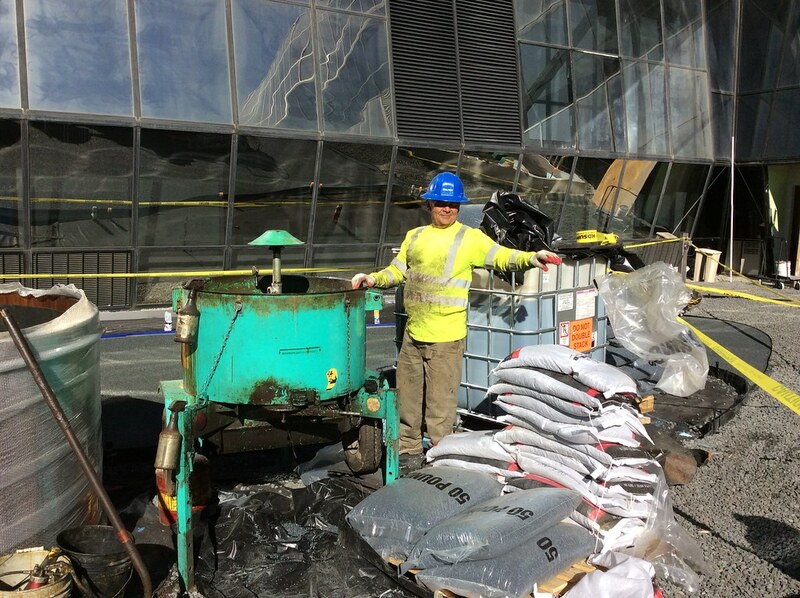 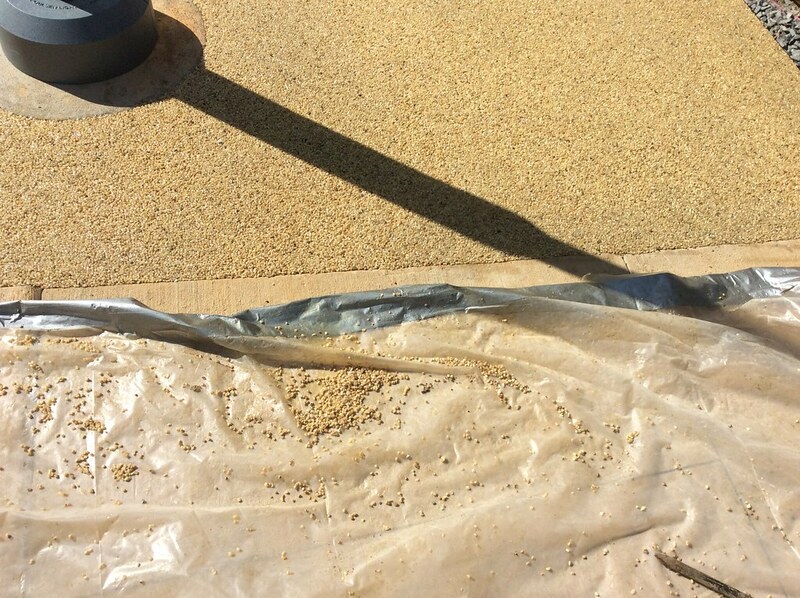 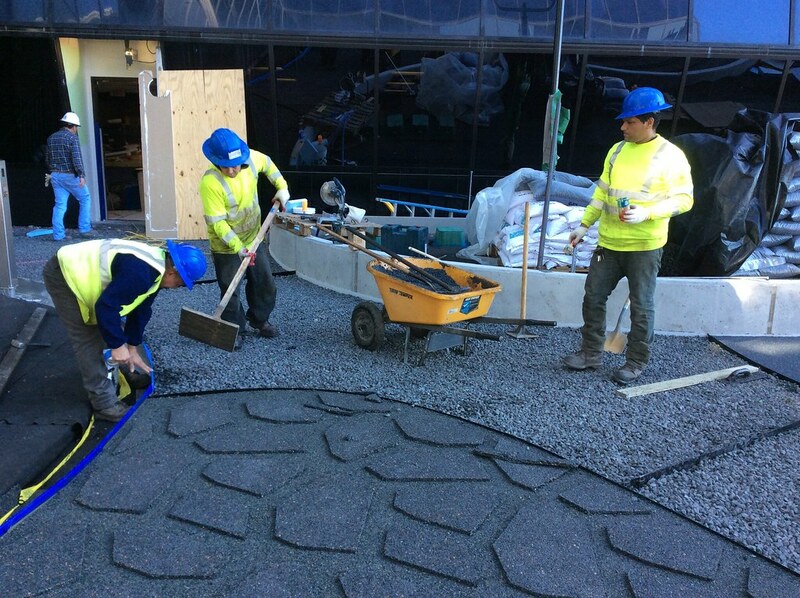 In late October 2016 we installed 561 SF of Flexi-Pave base and grout around flagstones. 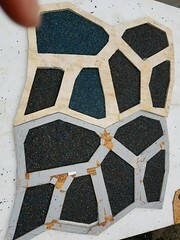 Flexi-Pave color chosen is Peppermill. 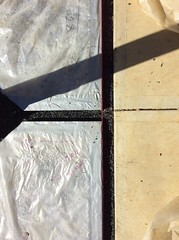 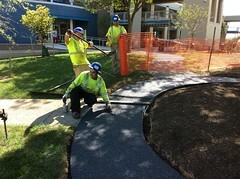 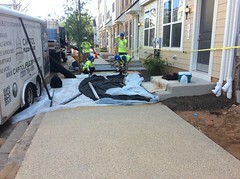 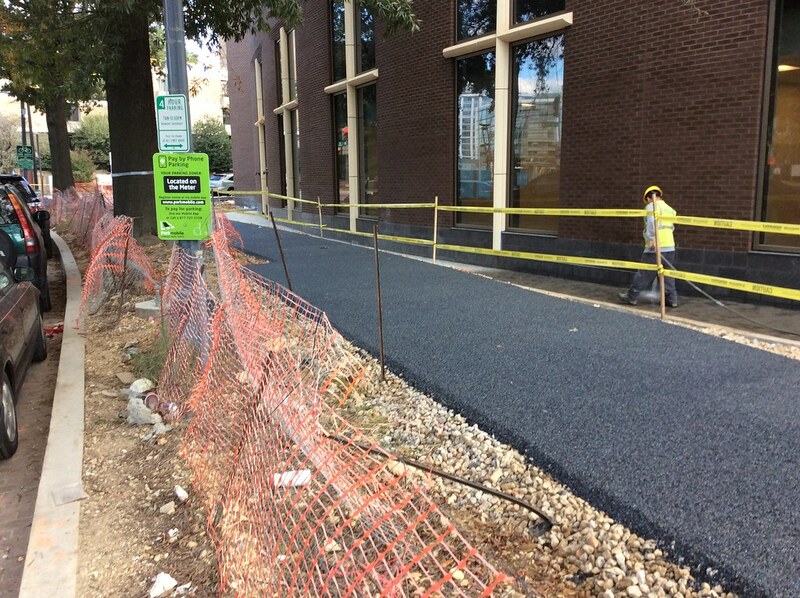 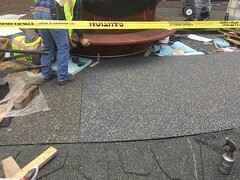 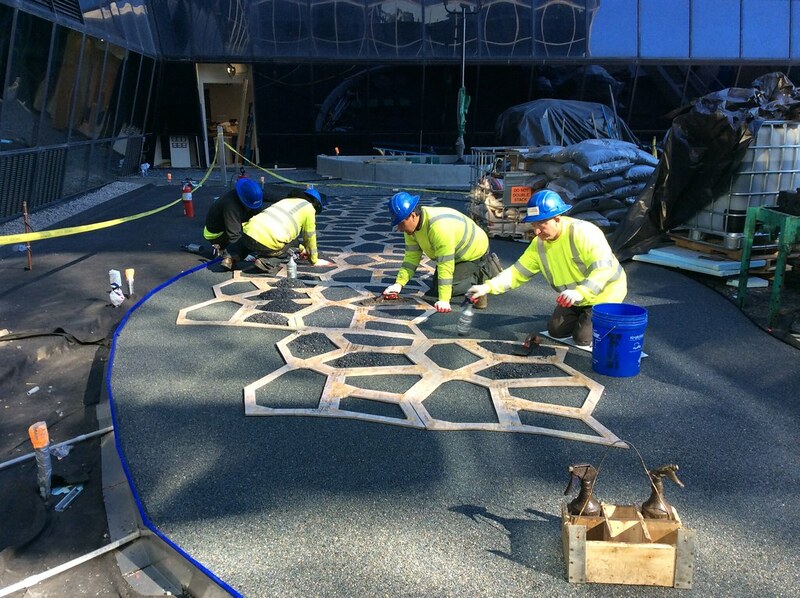 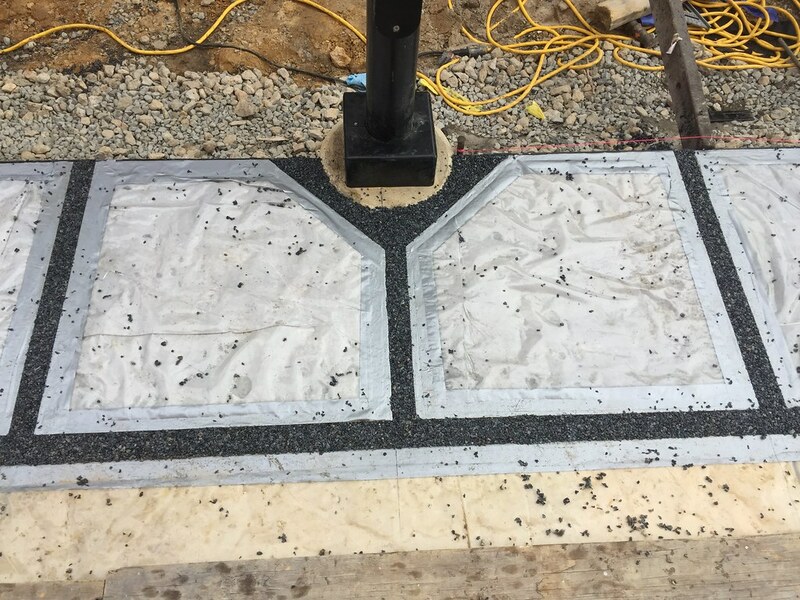 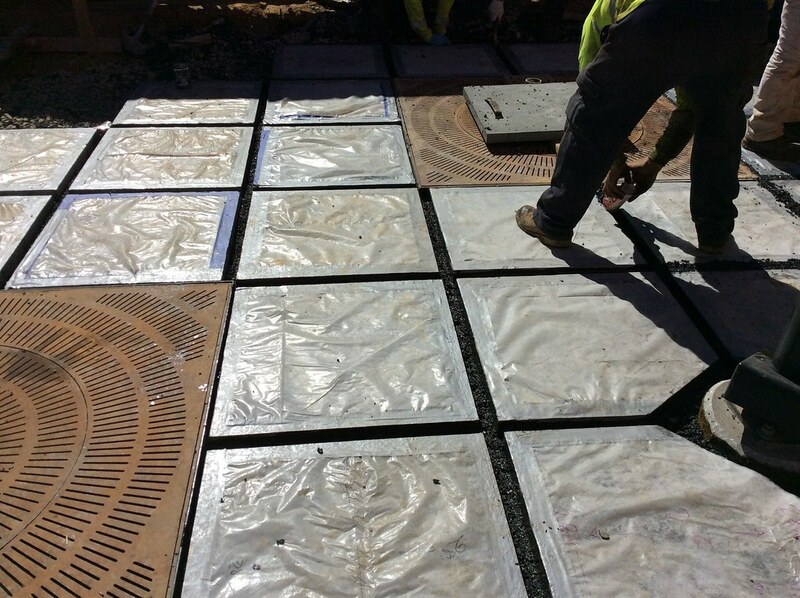 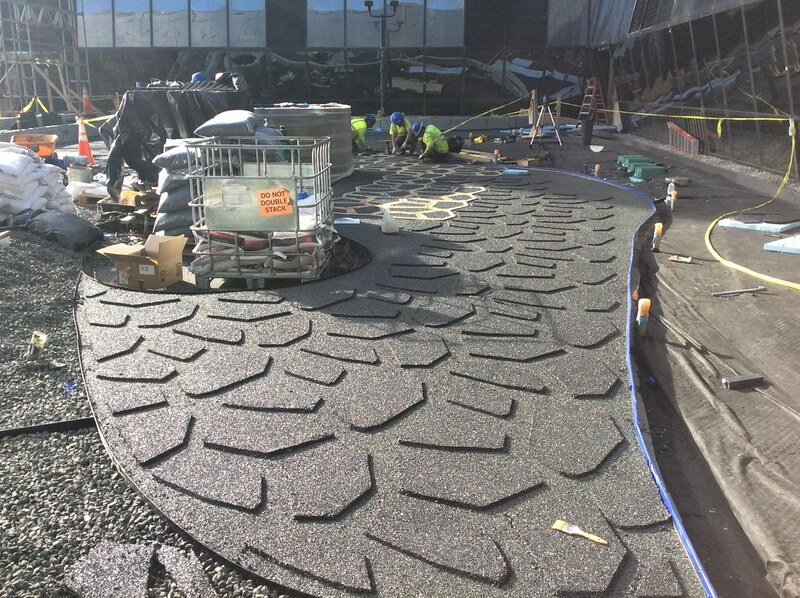 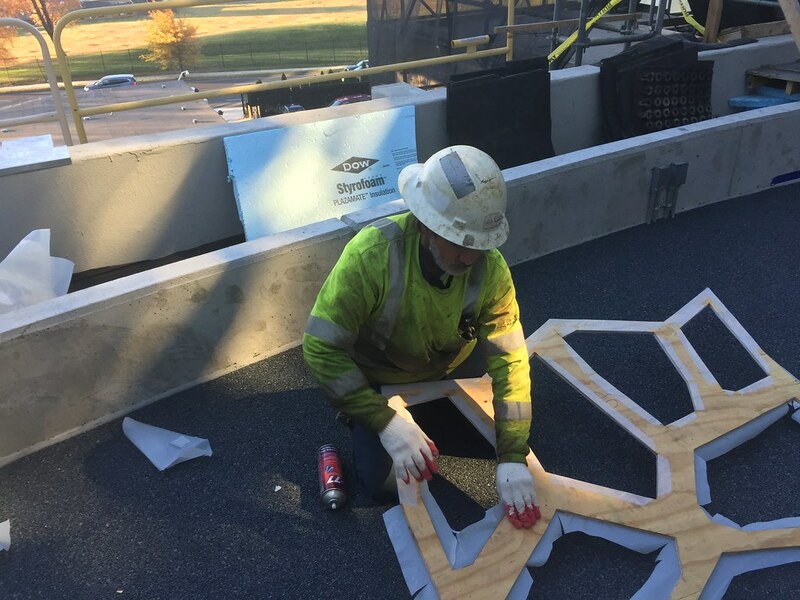 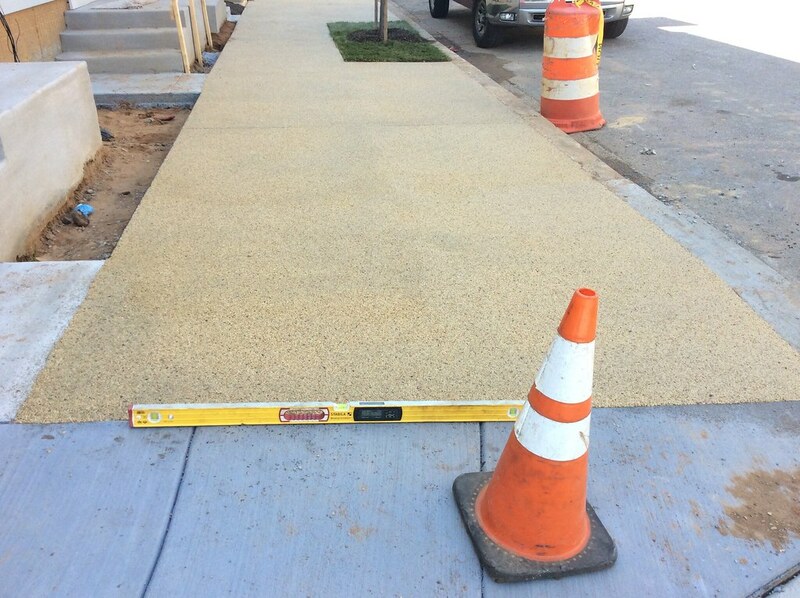 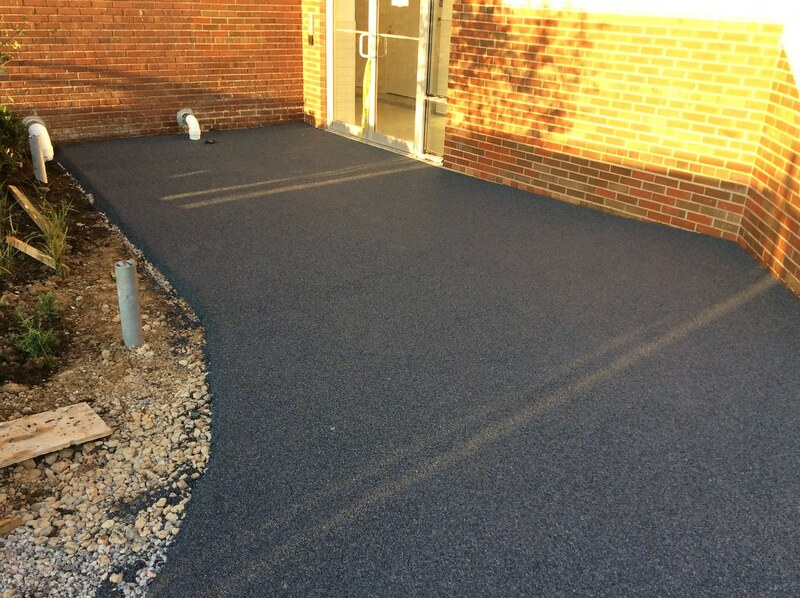 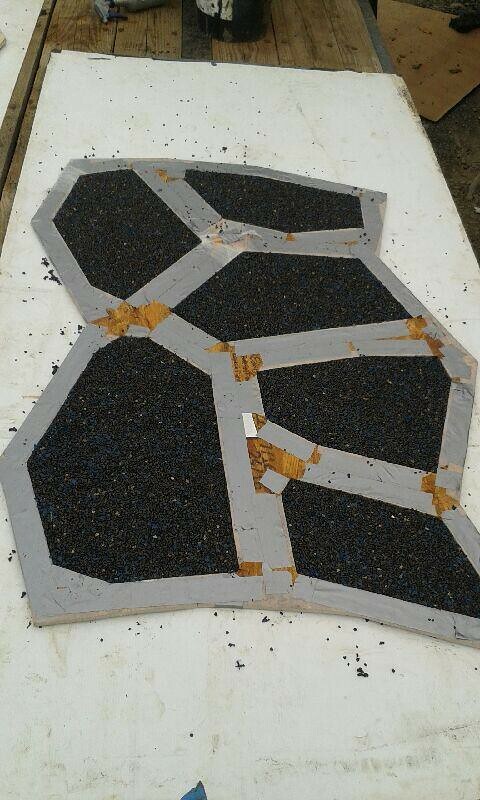 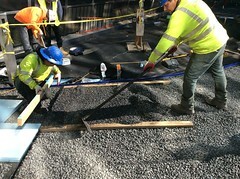 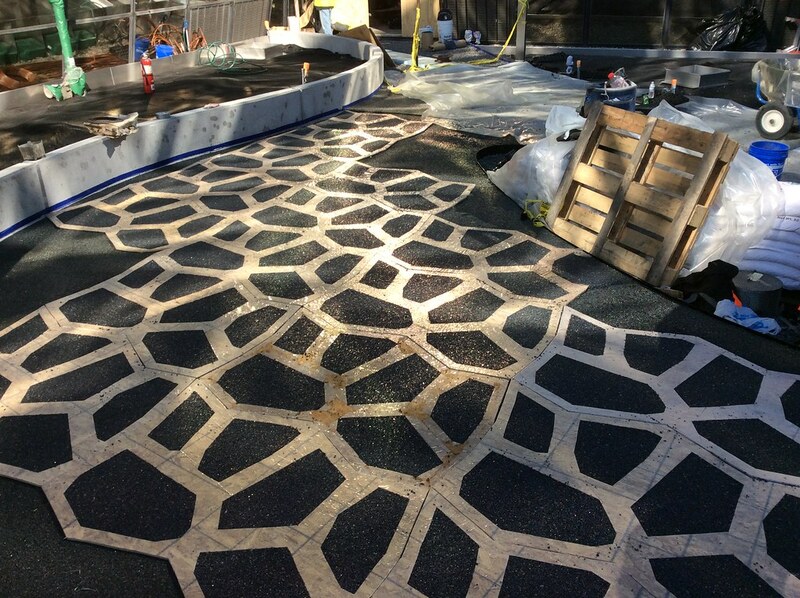 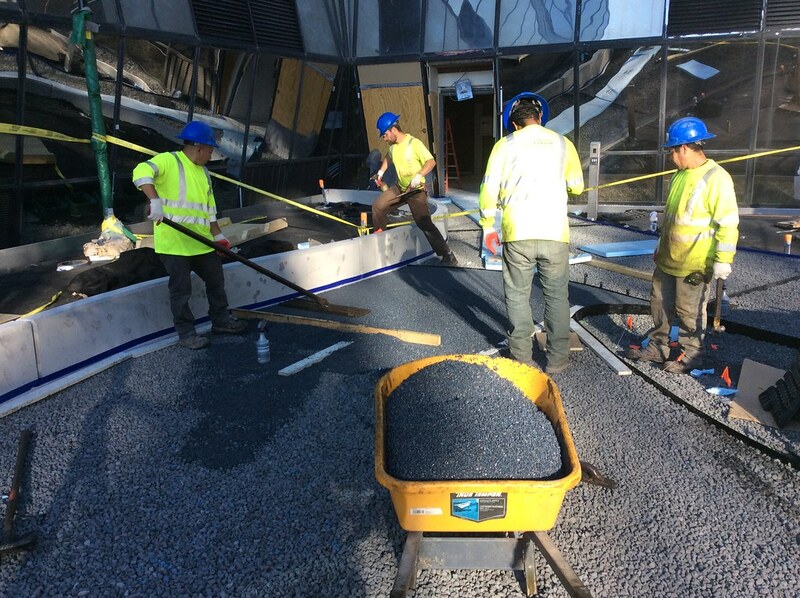 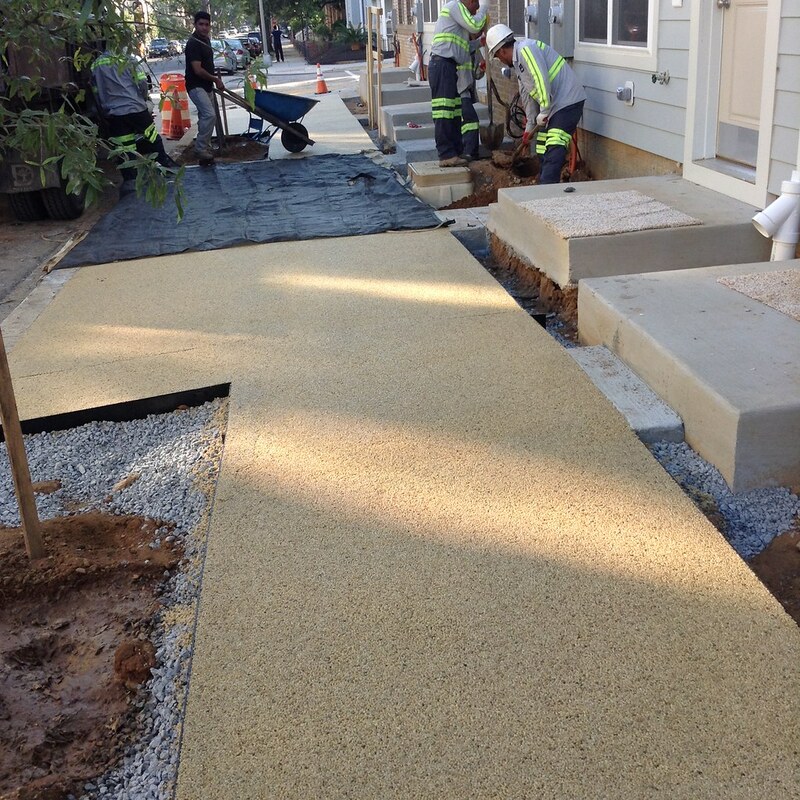 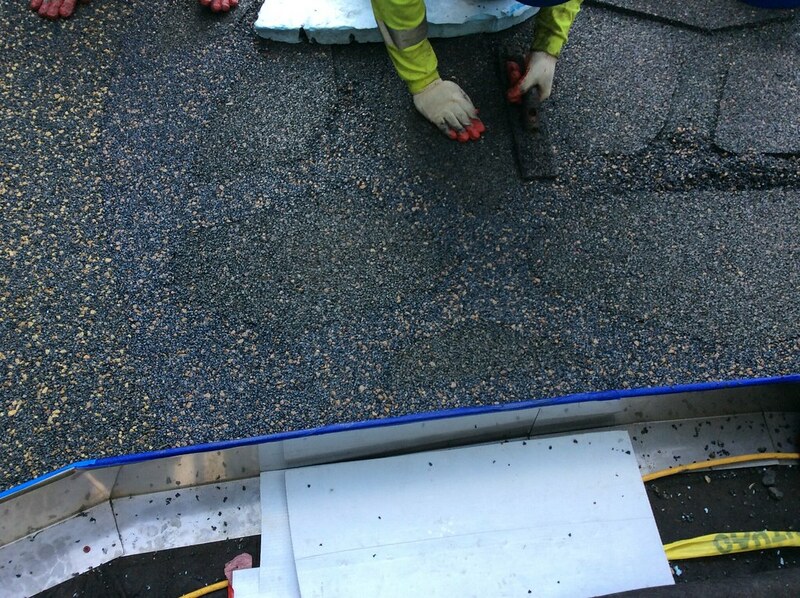 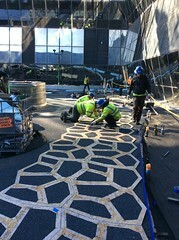 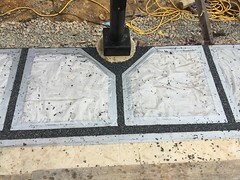 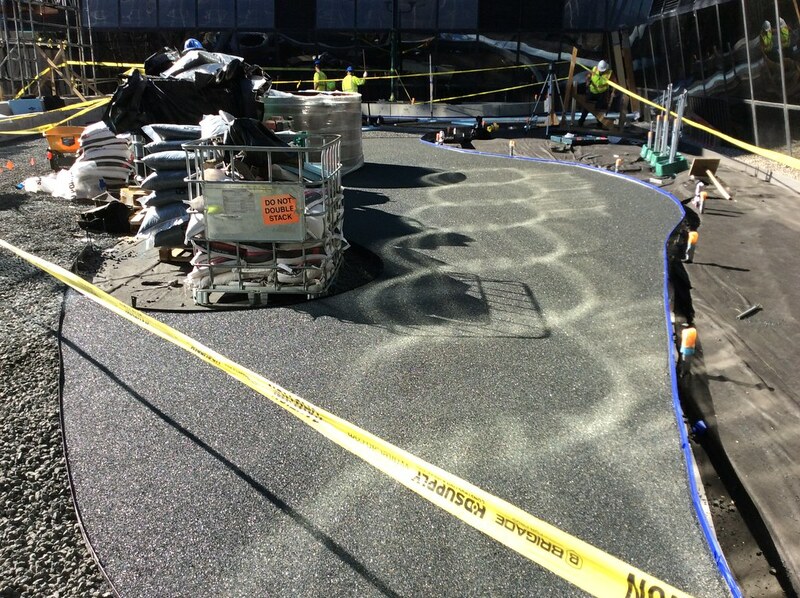 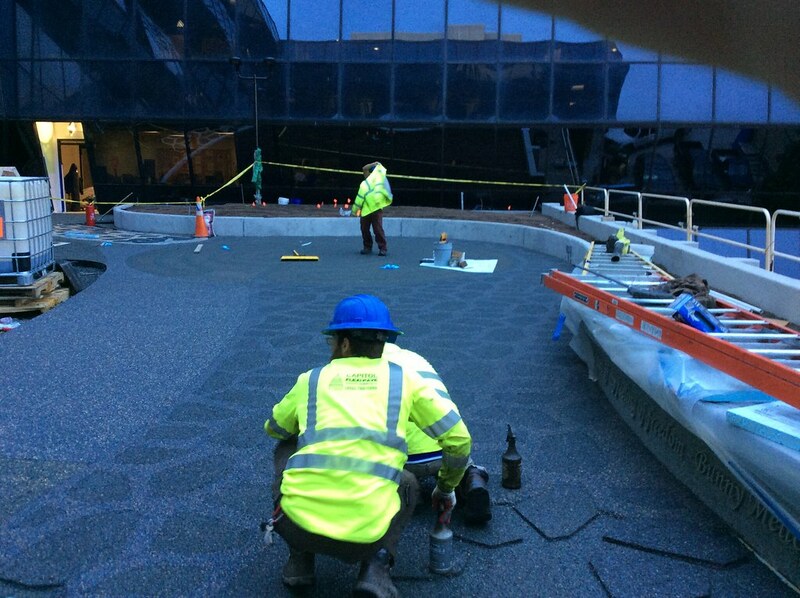 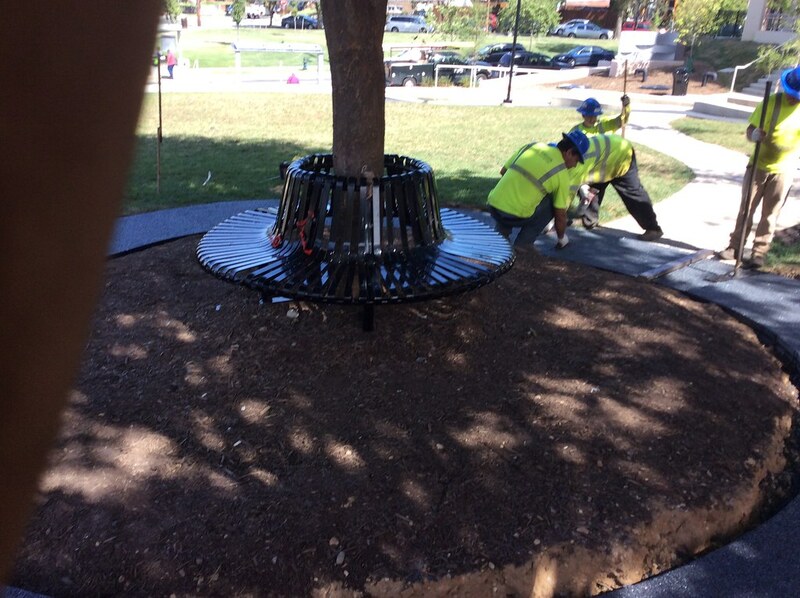 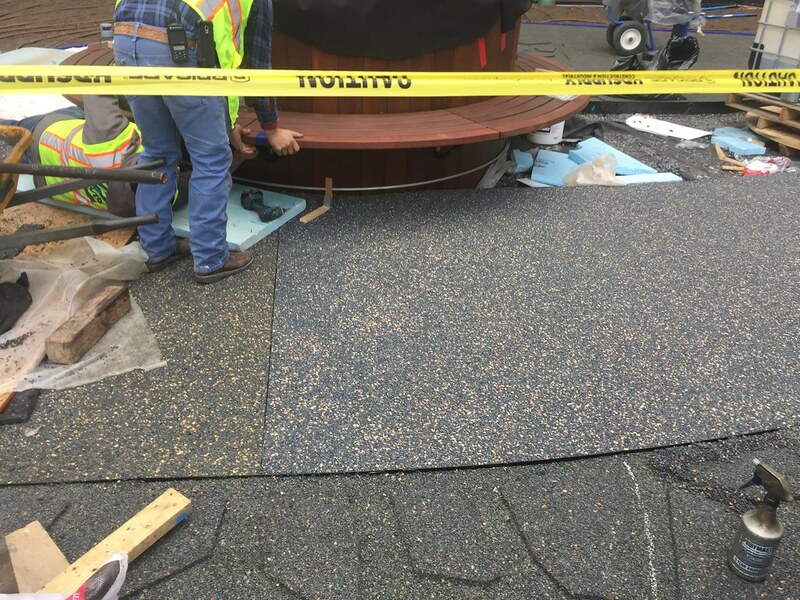 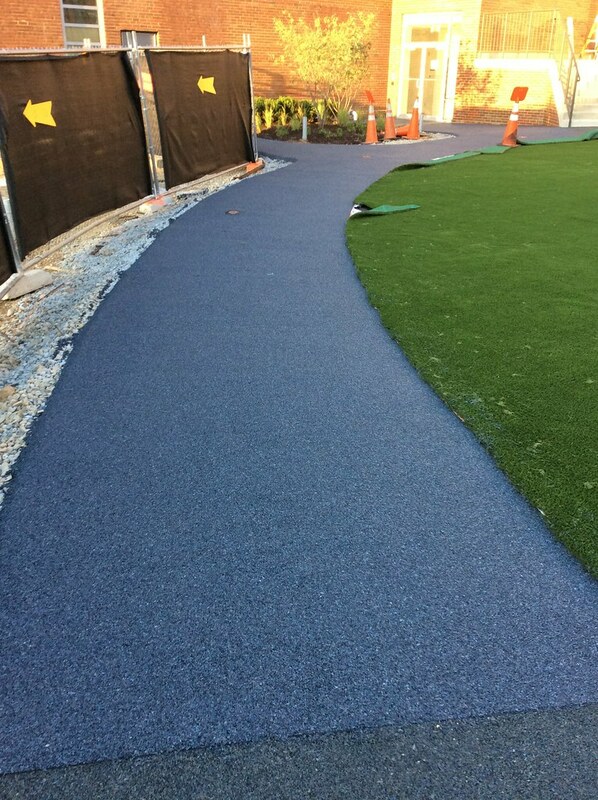 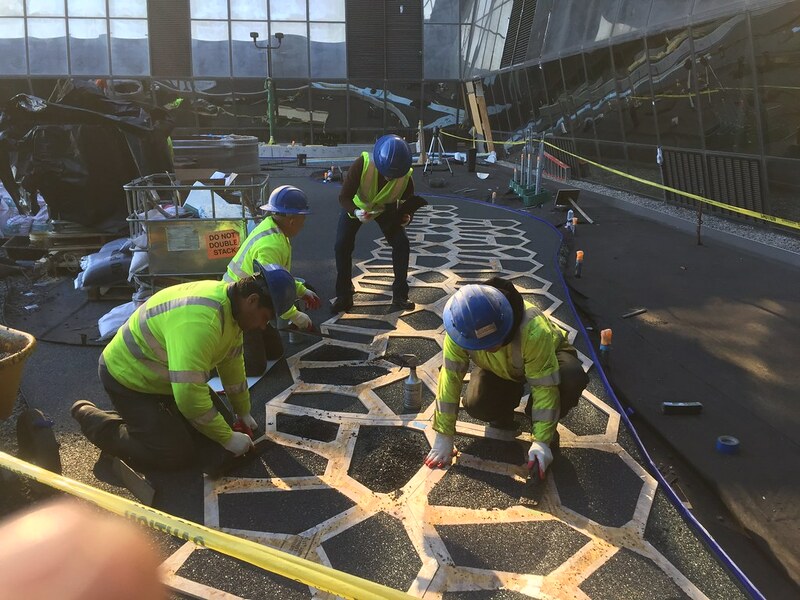 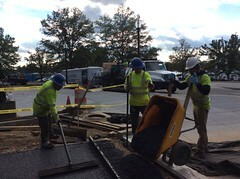 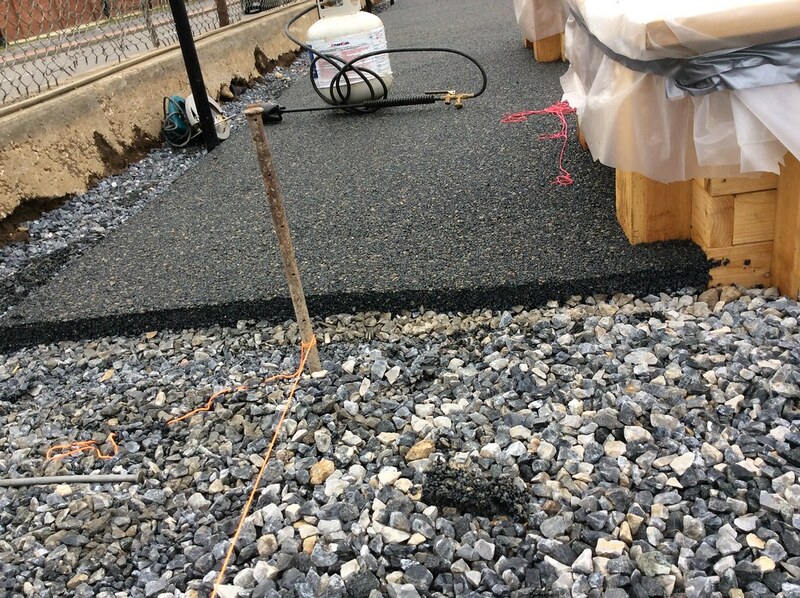 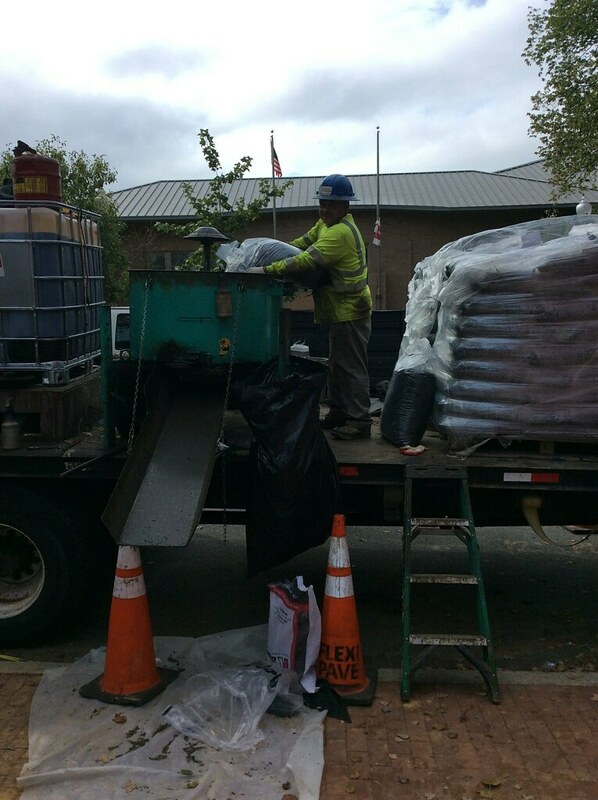 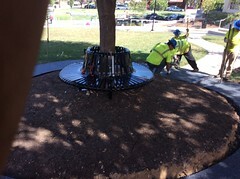 Installation of a 1380 SF Flexi-Pave sidewalk in color of Peppermill was completed in mid-October 2016. 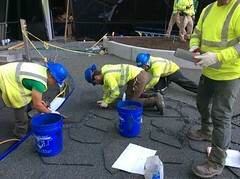 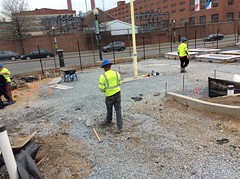 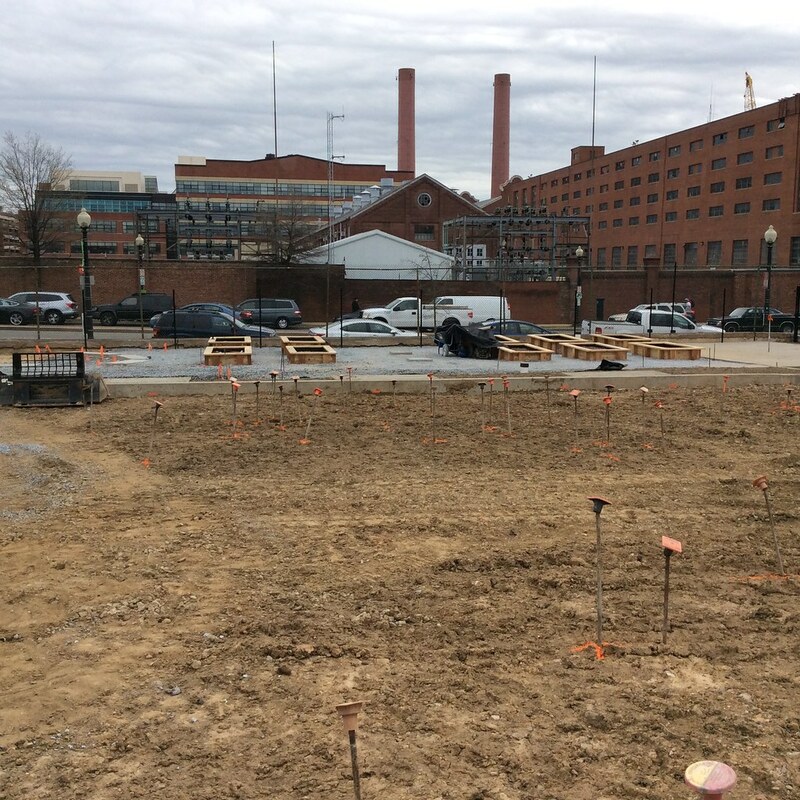 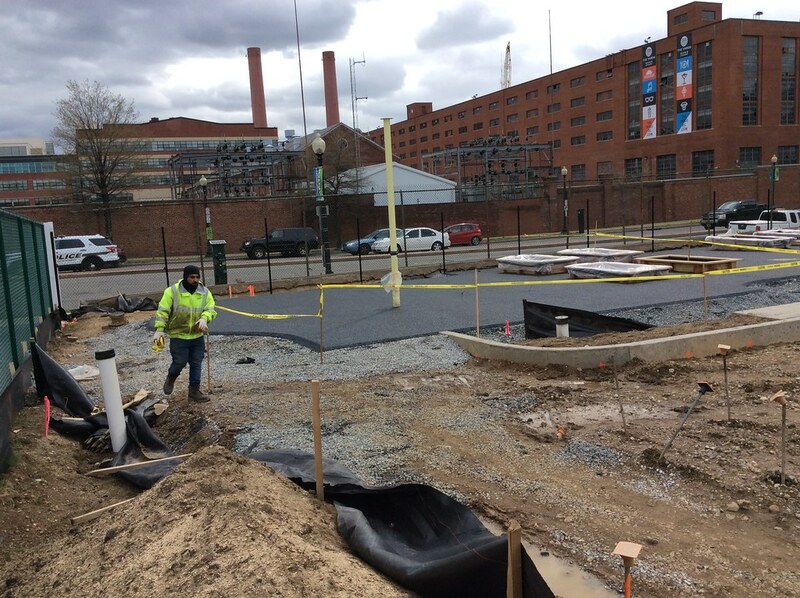 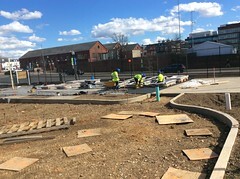 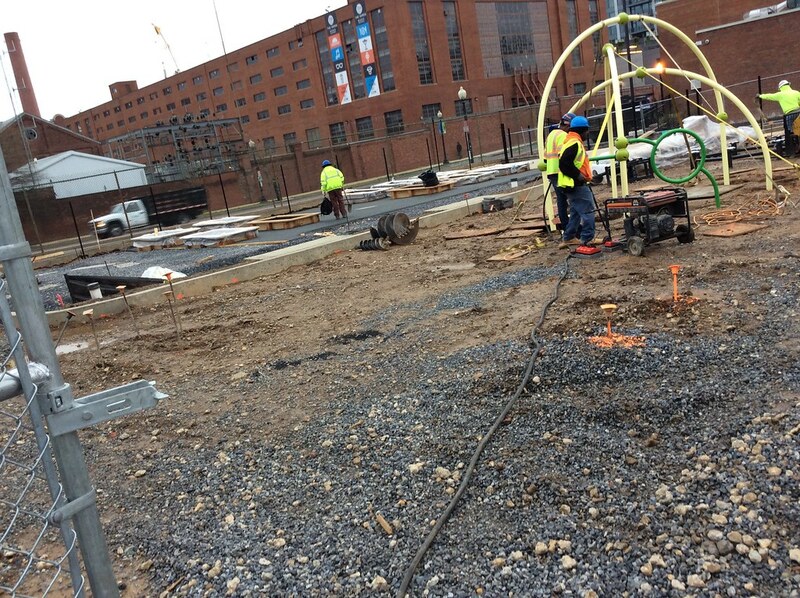 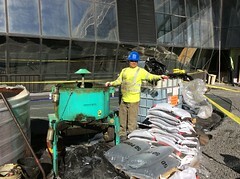 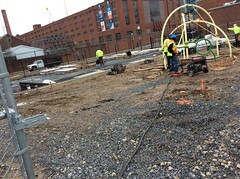 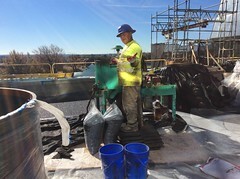 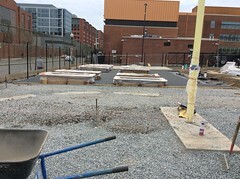 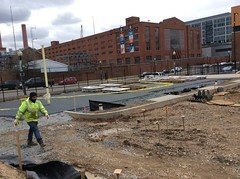 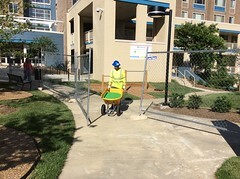 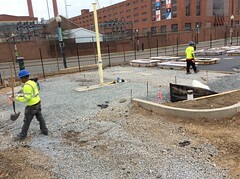 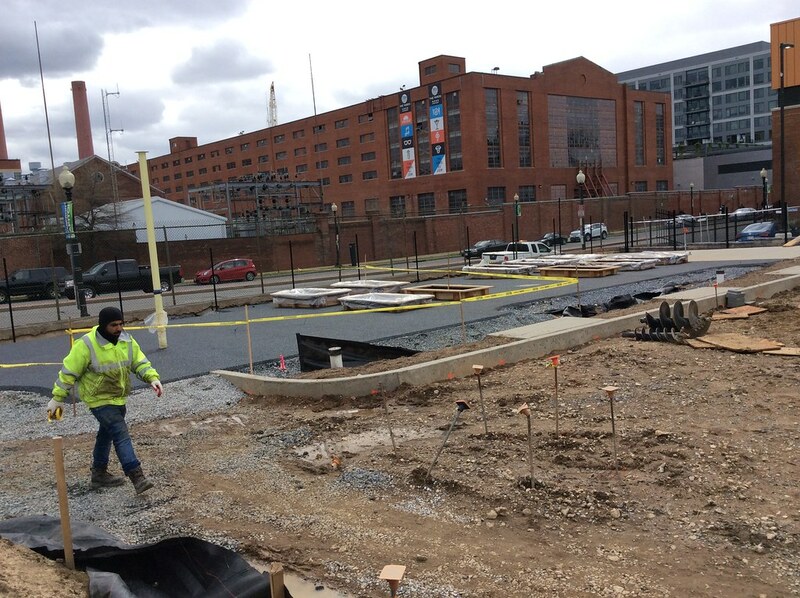 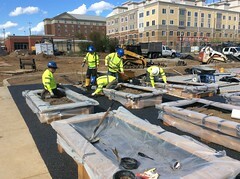 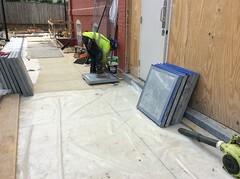 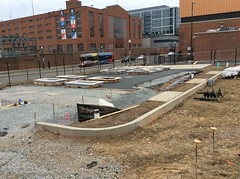 The redevelopment of the Southwest Waterfront, known as The Wharf, is a public-private partnership between Hoffman Madison Waterfront and the District of Columbia, by and through the Office of the Deputy Mayor for Planning and Economic Development. 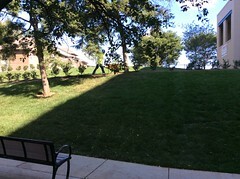 The project site includes 27 acres of land and 24 acres of riparian rights. 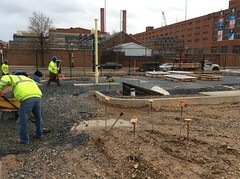 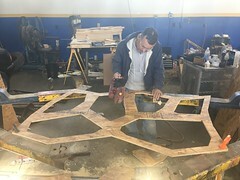 The site is located between Maine Avenue, SW, 6th Street, SW, the Maine Avenue Municipal Fish Market, and the historic Washington Channel. The Wharf is a mixed-use development that includes residential apartment units, residential condominiums, hotels, office buildings, retail and restaurants, and a major cultural component. 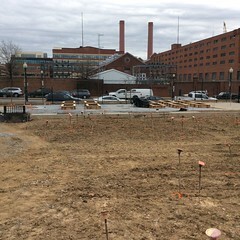 Phase 1 of the project will include two residential buildings containing 800 units, 225,000 square-feet of Class A office space, 145,000 square-feet of retail and restaurant development, a 140,000 square foot multi-use cultural facility, a 700,000 square foot underground garage, several small outbuildings/piers, and two public parks. 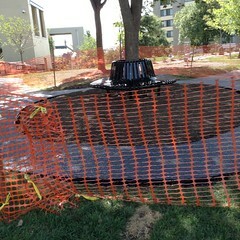 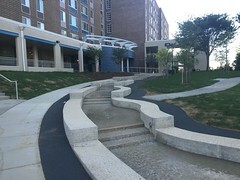 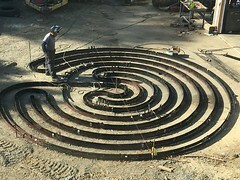 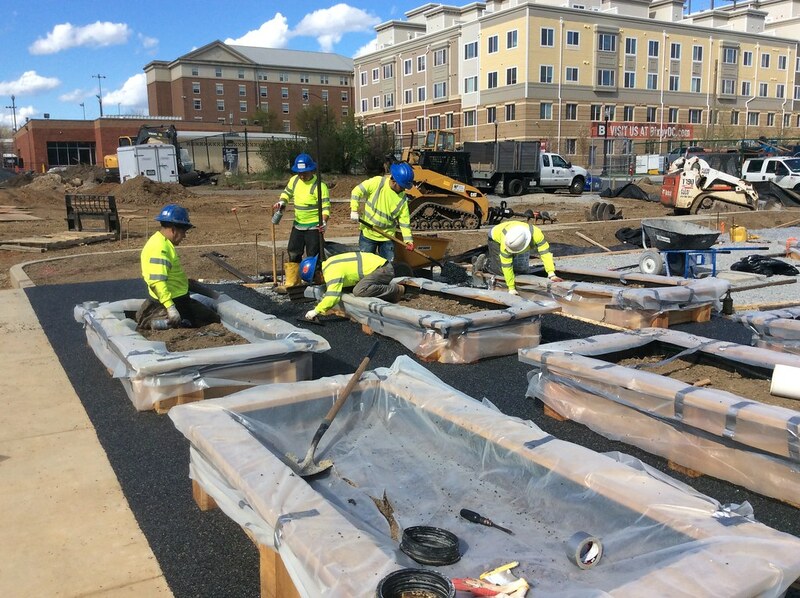 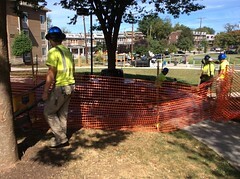 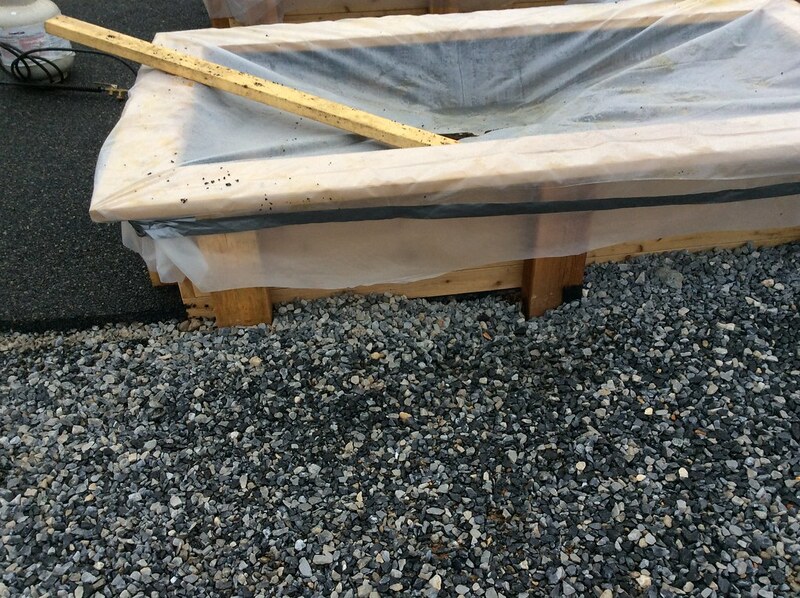 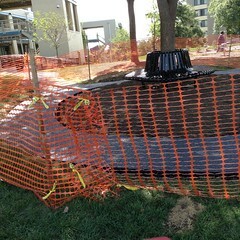 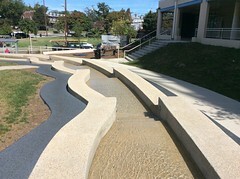 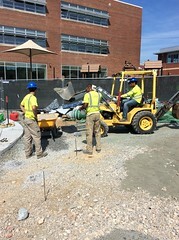 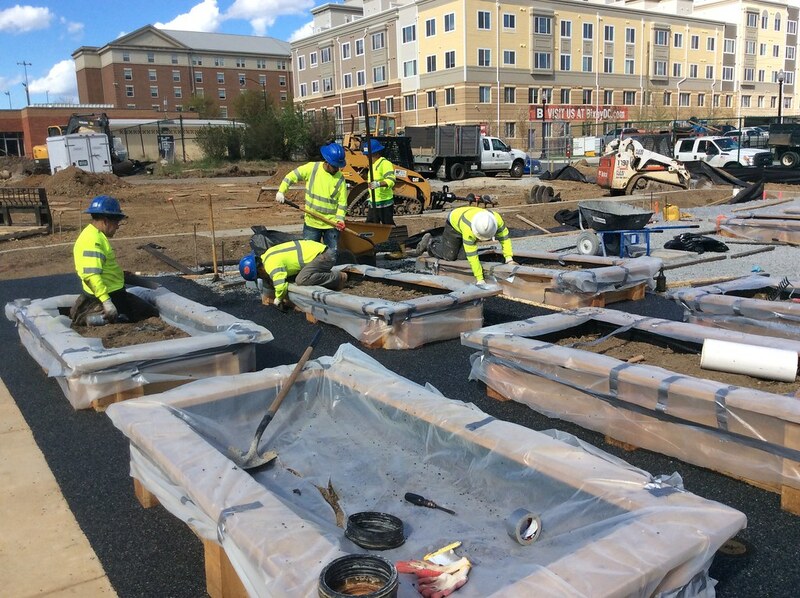 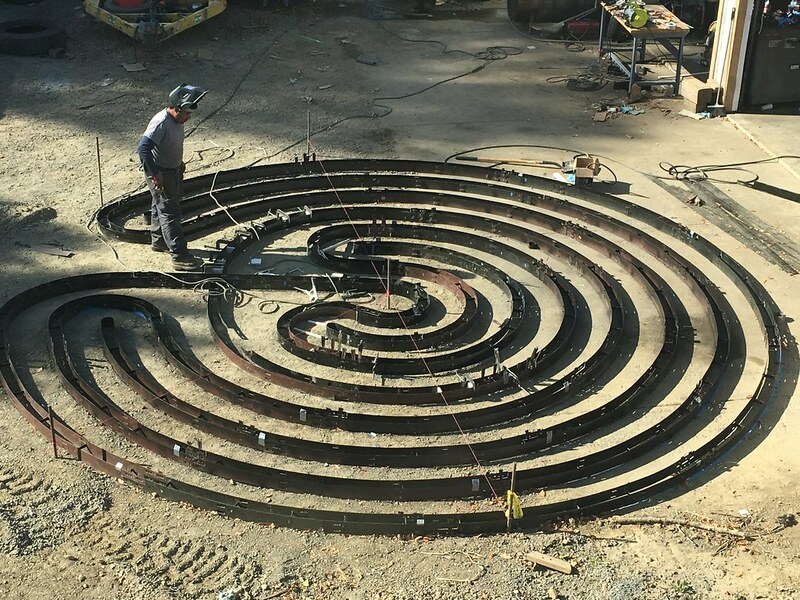 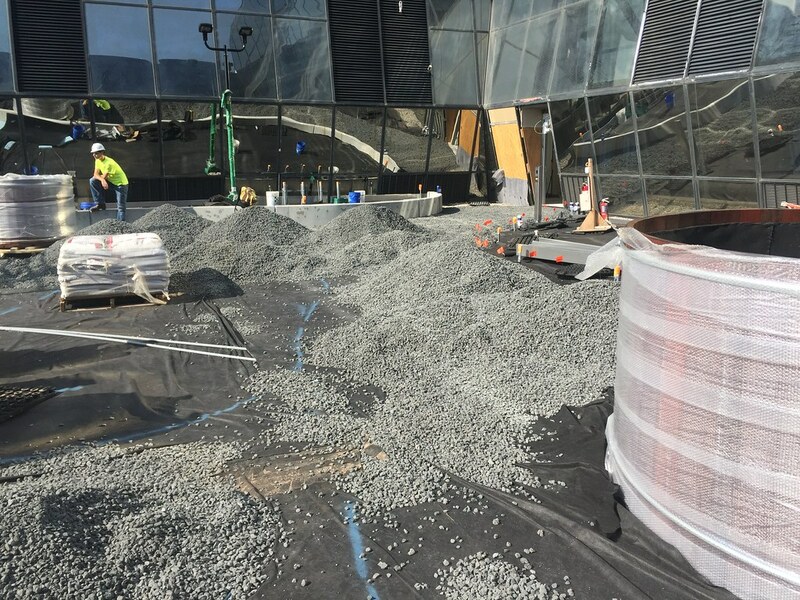 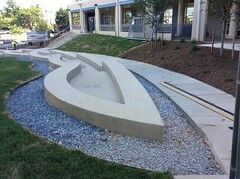 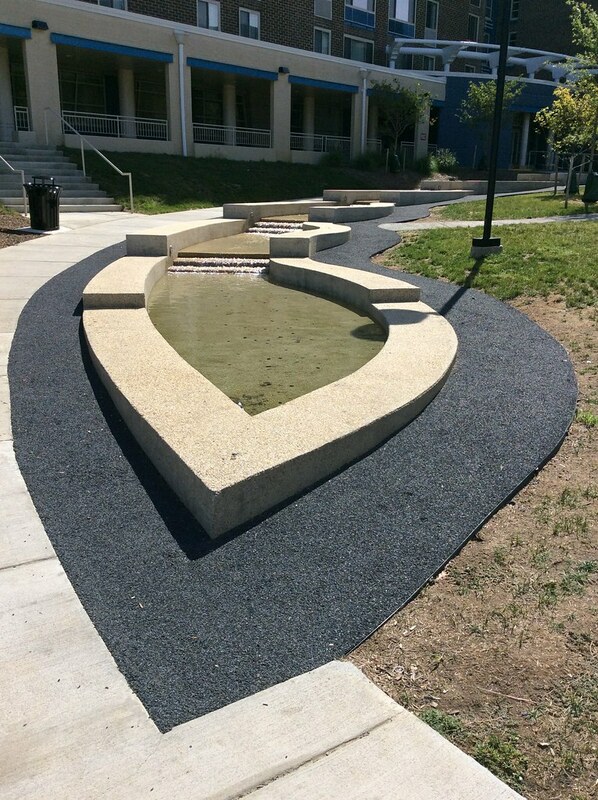 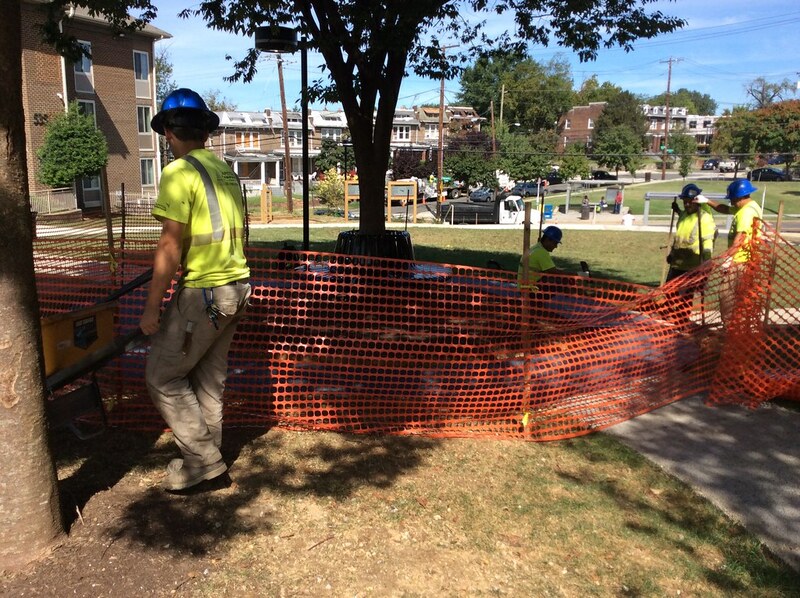 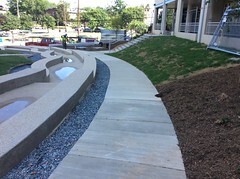 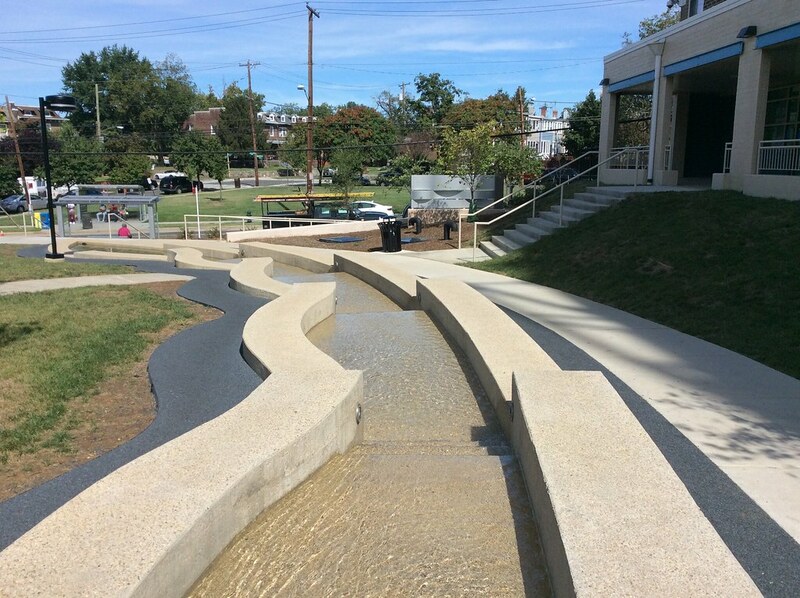 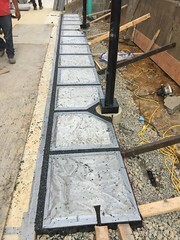 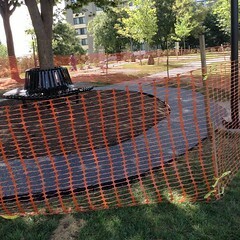 This 60 SF Flexi-Pave fountain overflow basin was completed in late September 2016. 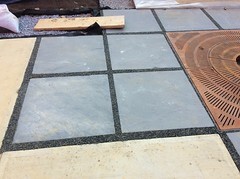 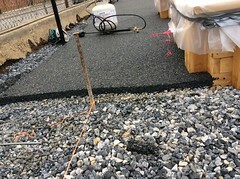 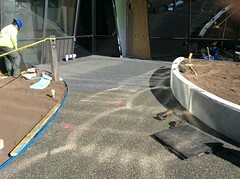 Flexi-Pave color chosen is Mossy Slate w/Mex Beach Pebbles. 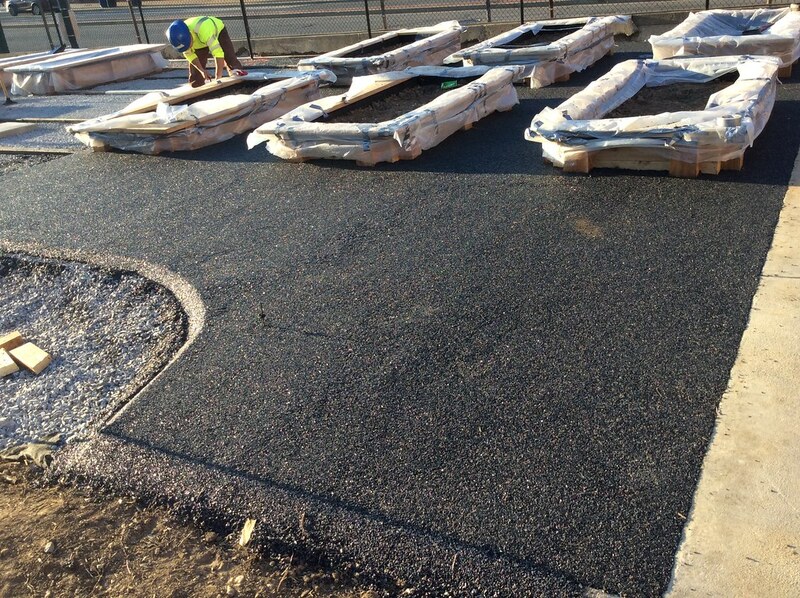 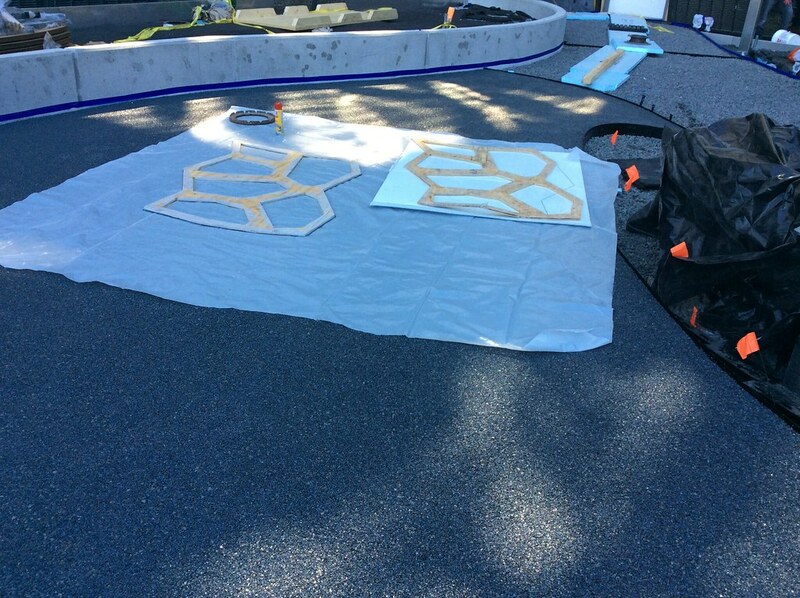 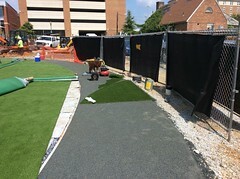 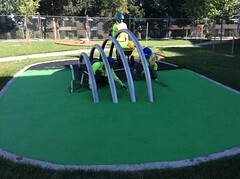 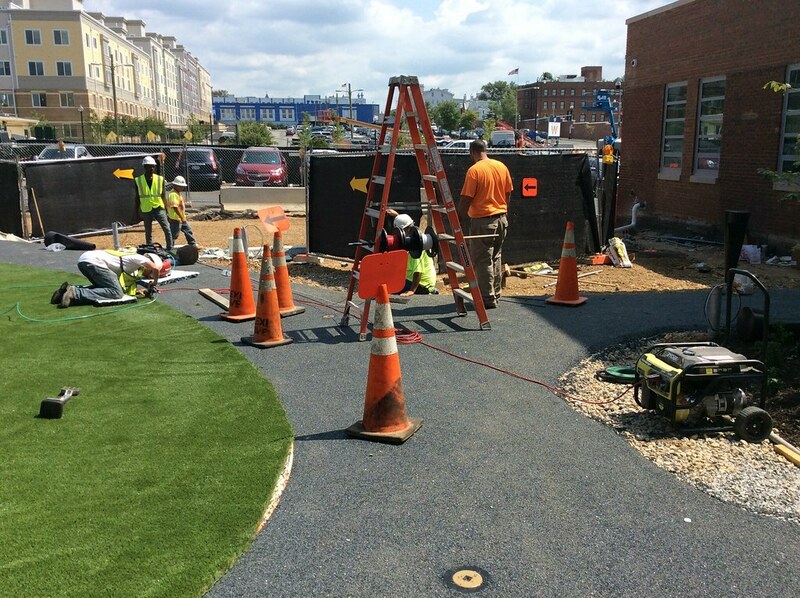 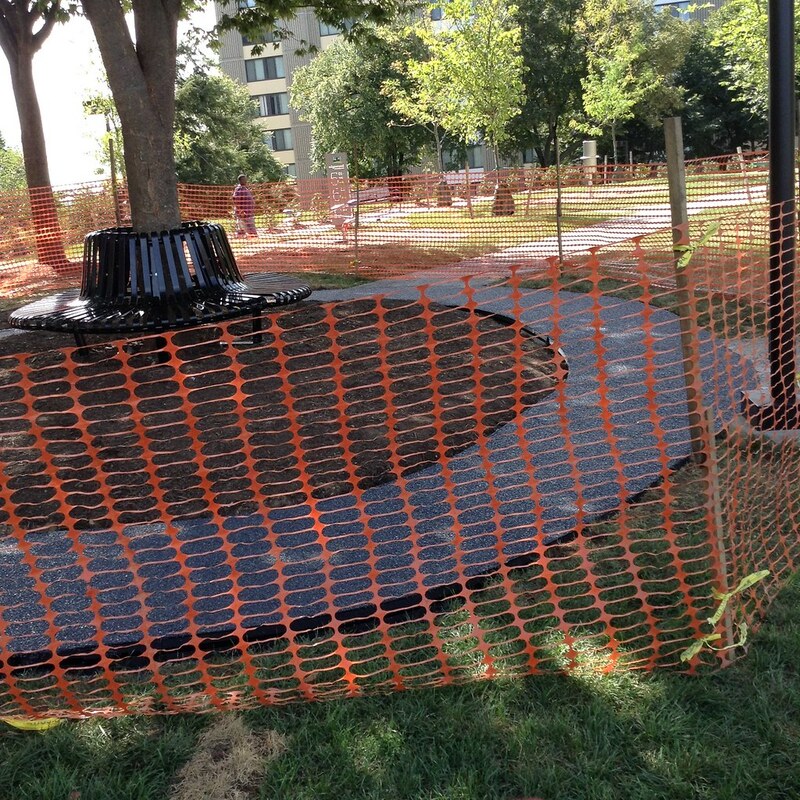 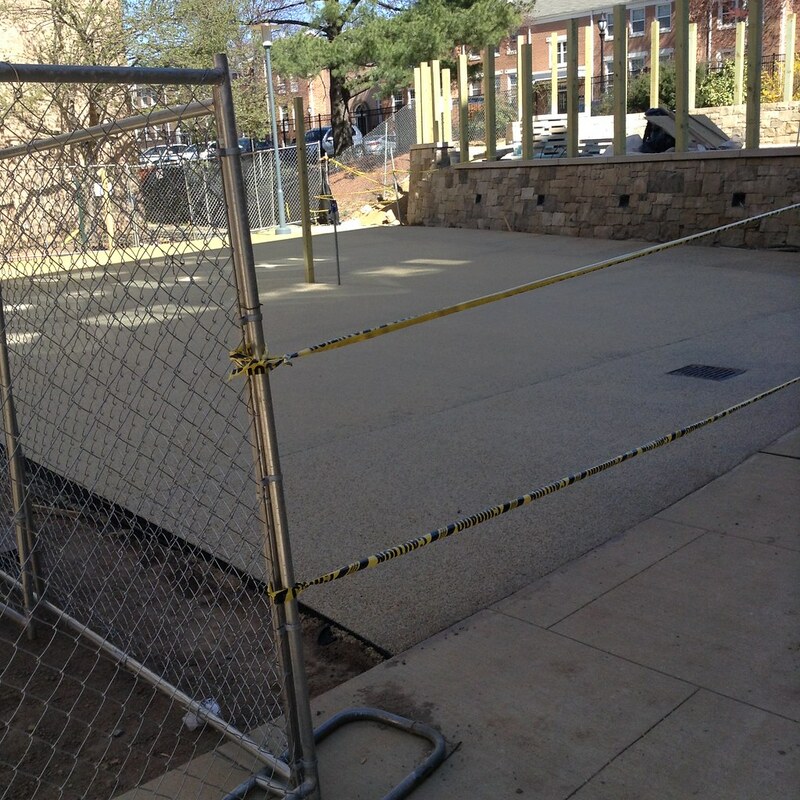 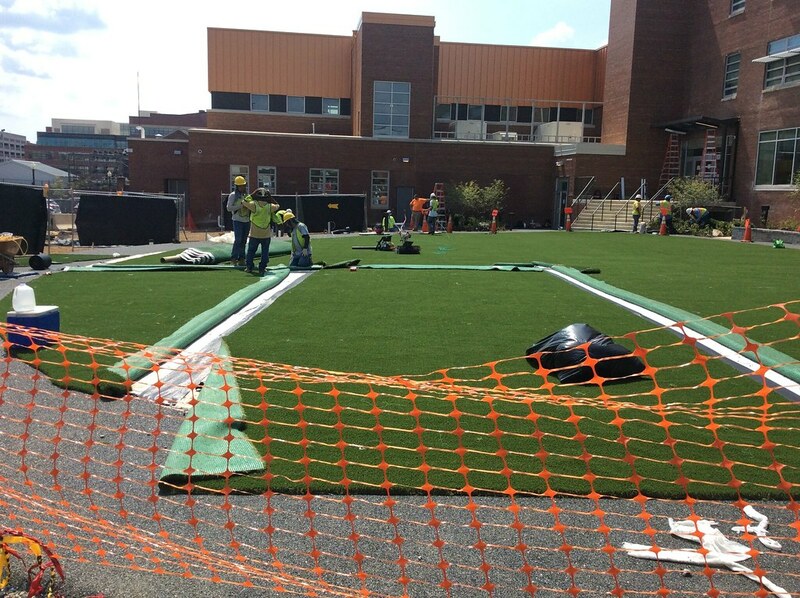 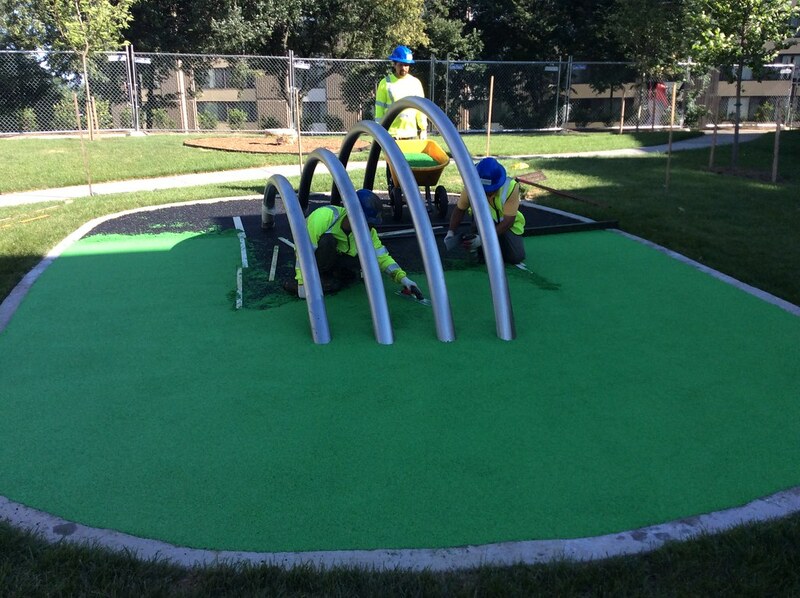 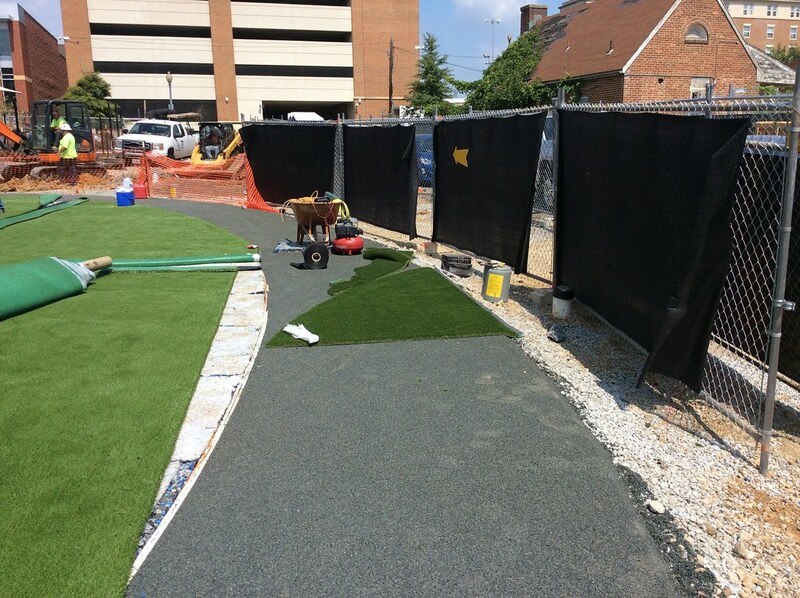 A 1510 SF Flexi-Pave playground and a 315 SF Flexi-Pave sidewalk was installed in early September 2016. 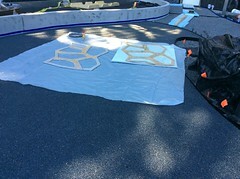 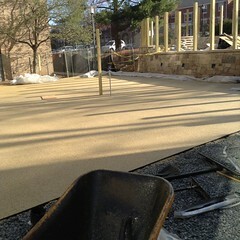 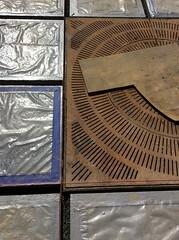 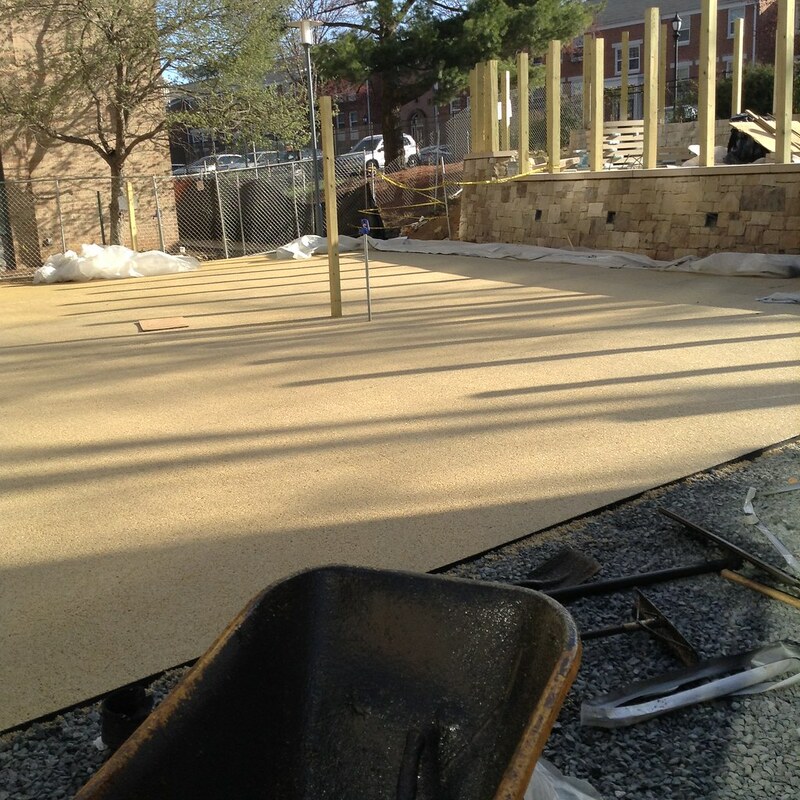 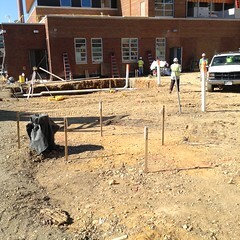 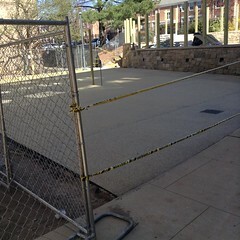 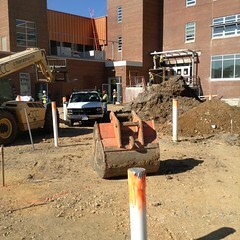 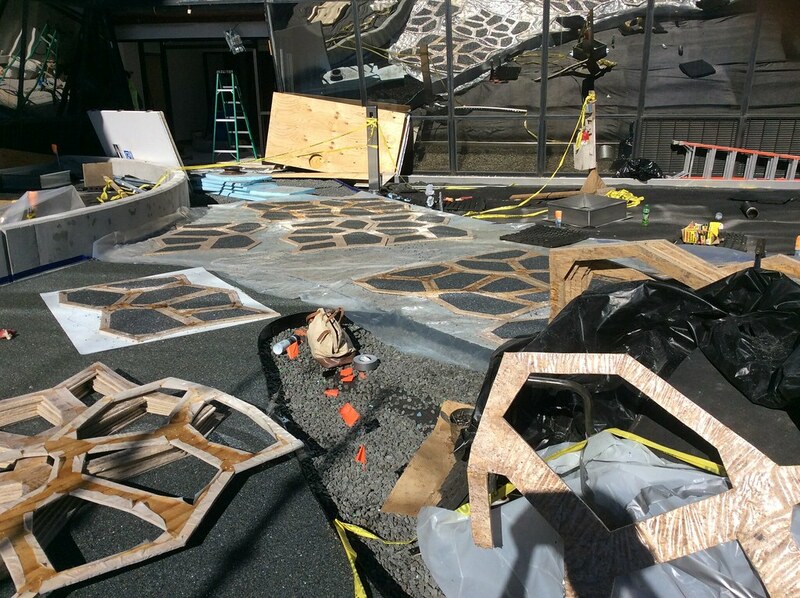 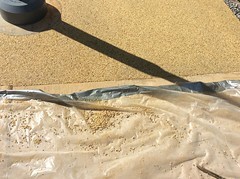 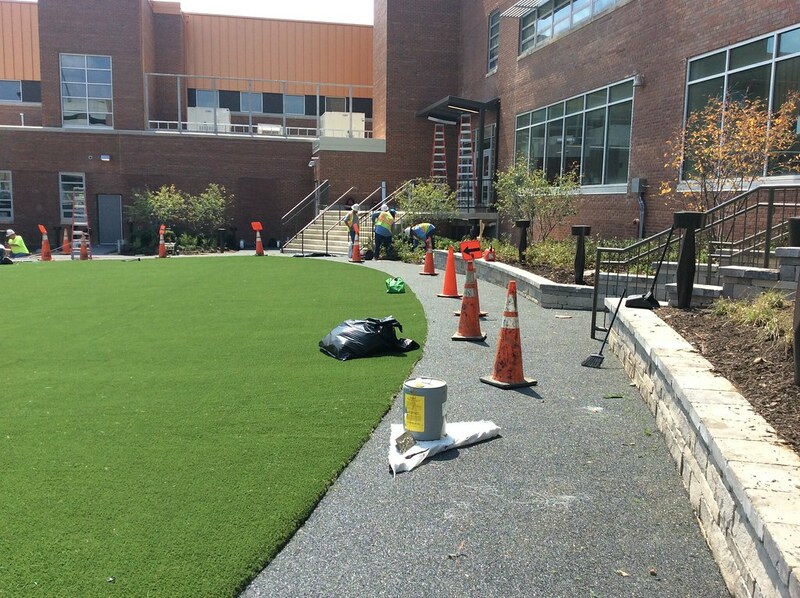 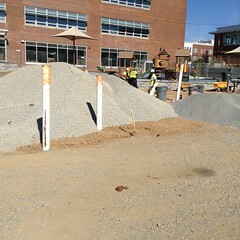 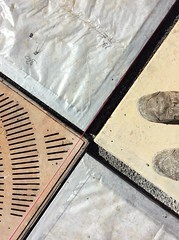 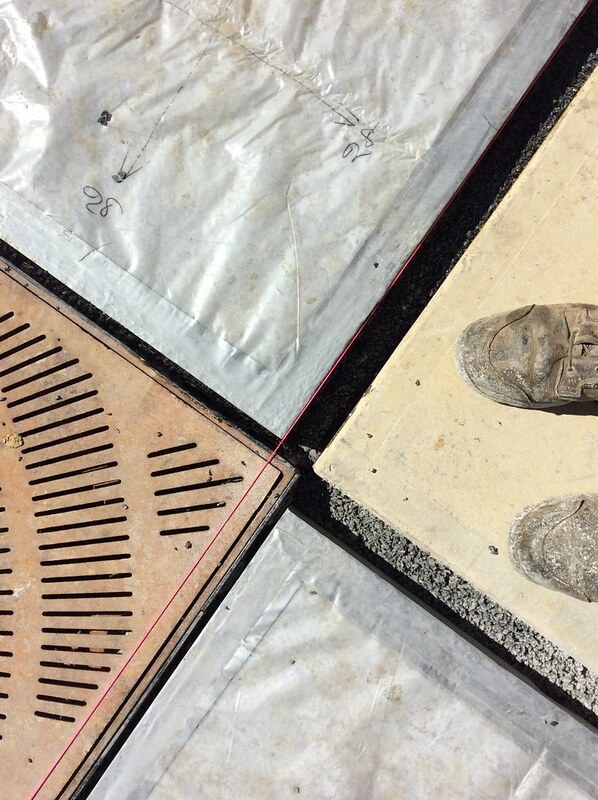 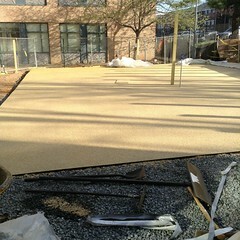 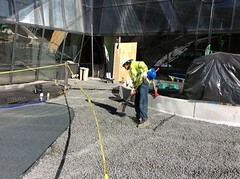 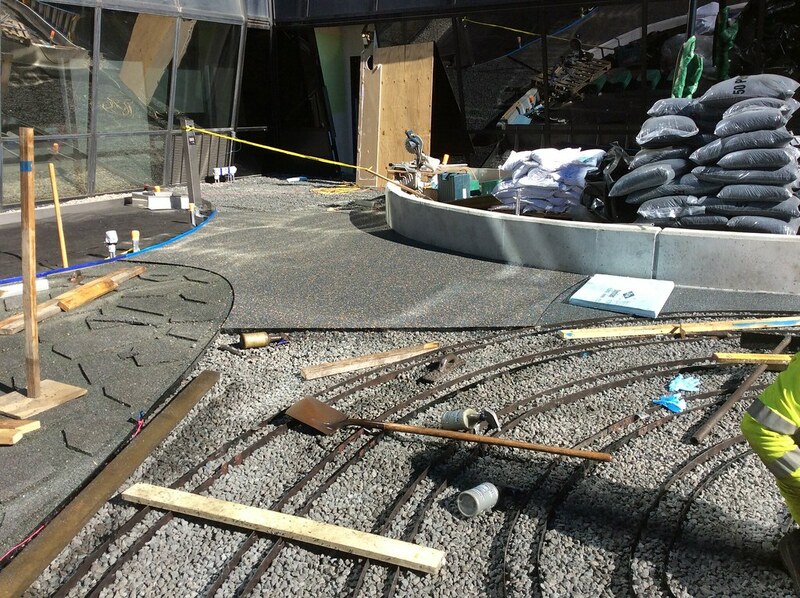 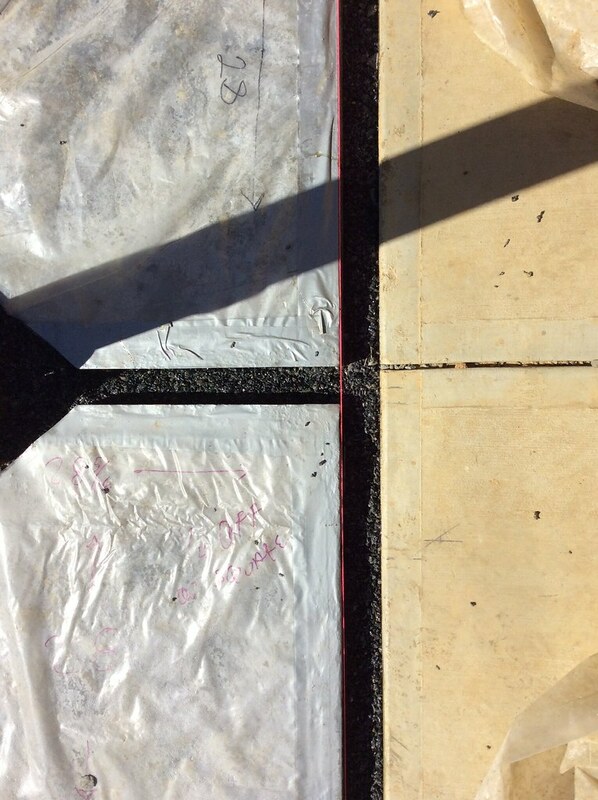 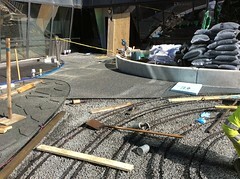 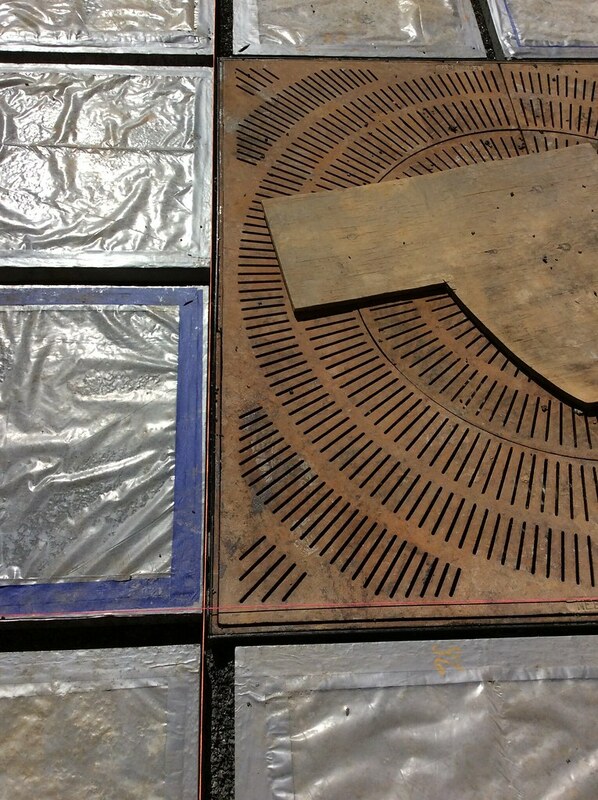 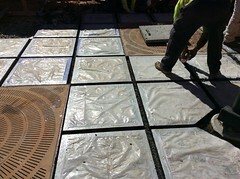 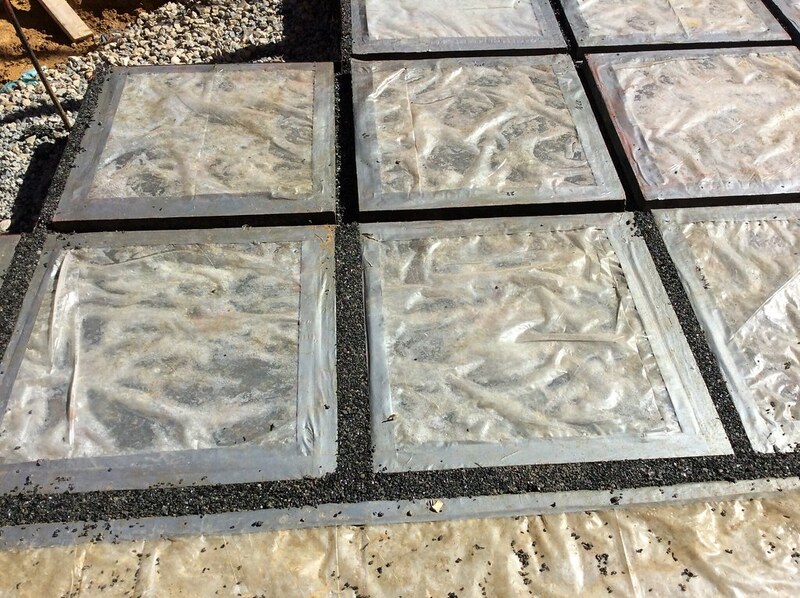 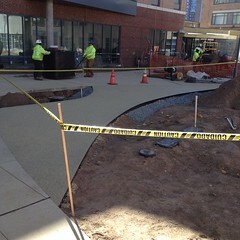 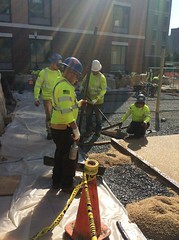 Chosen Flexi-Pave colors are Olive Fog for the playground and Mossy Slate for the sidewalk. 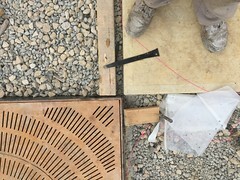 Host a 'lunch and learn'. 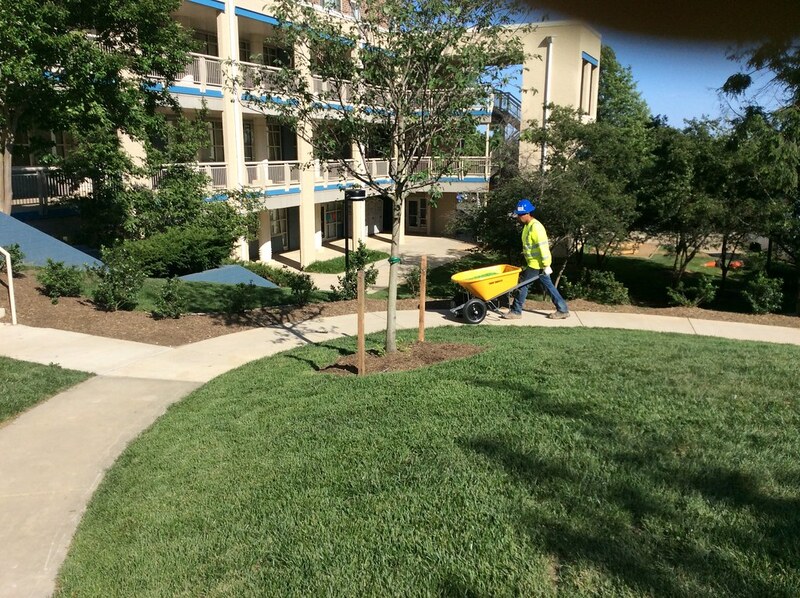 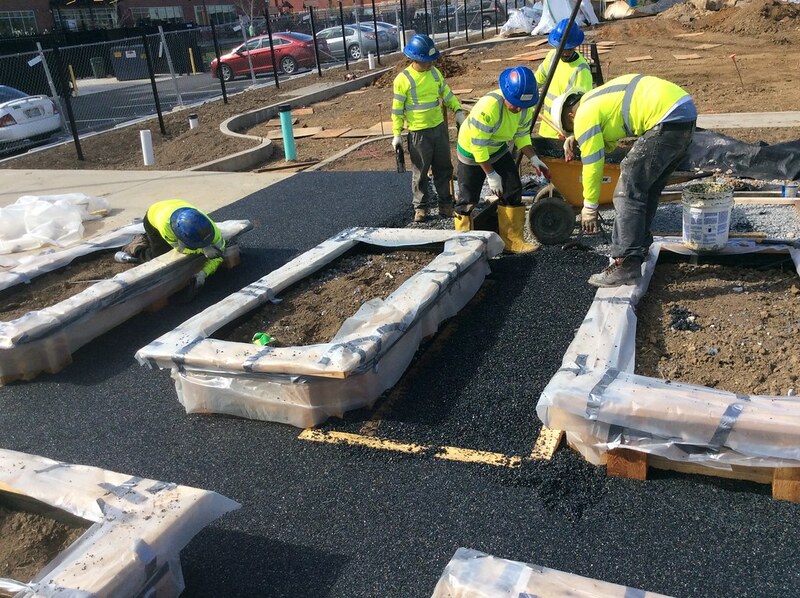 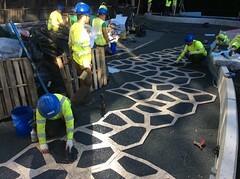 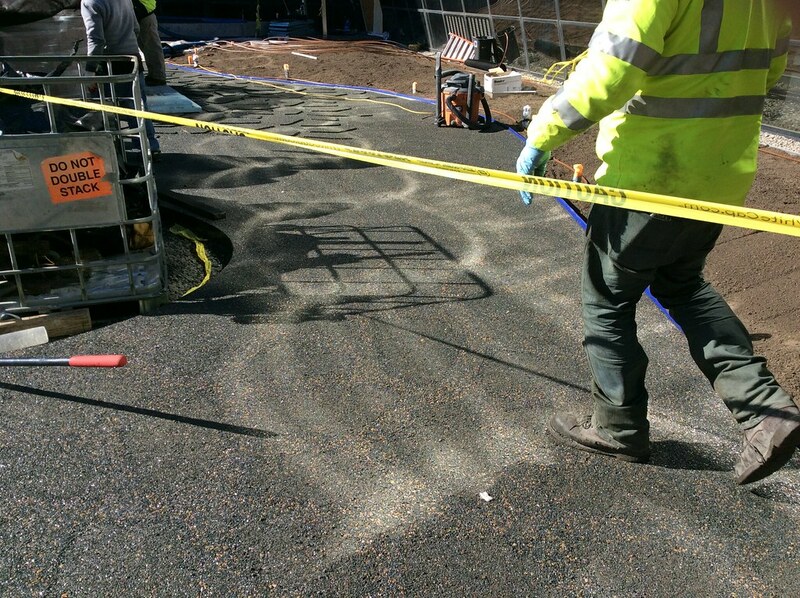 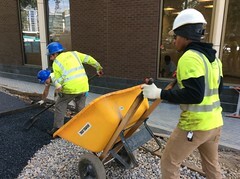 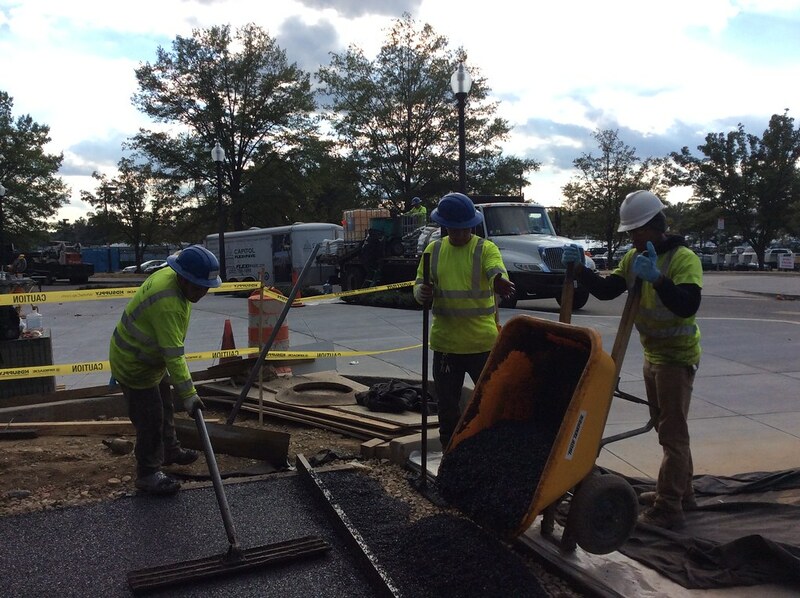 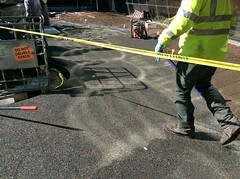 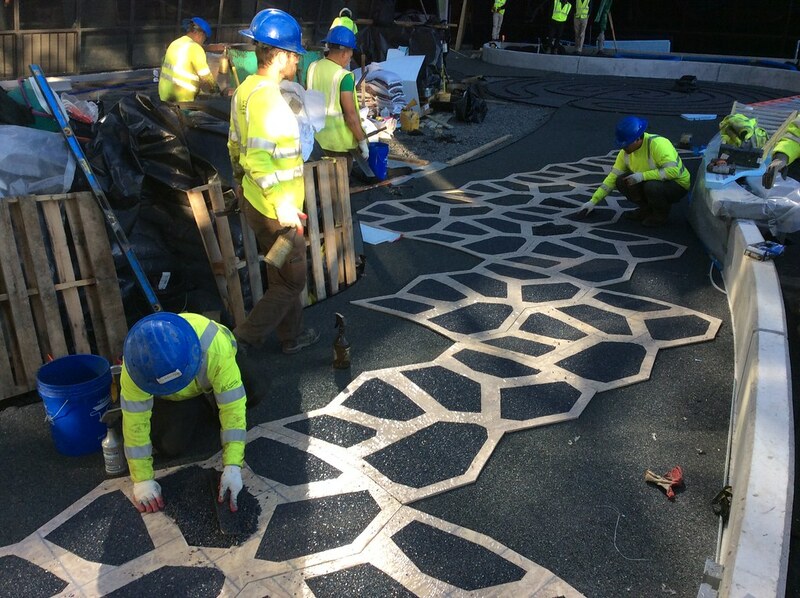 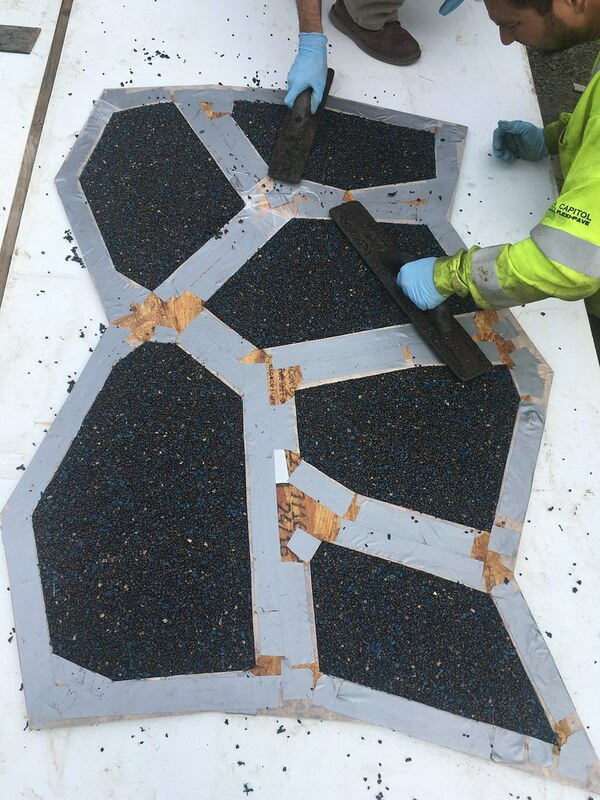 We'll teach your team about how Flexi-Pave can provide you with a beautiful, sustainable, and low maintenance pavement solution!